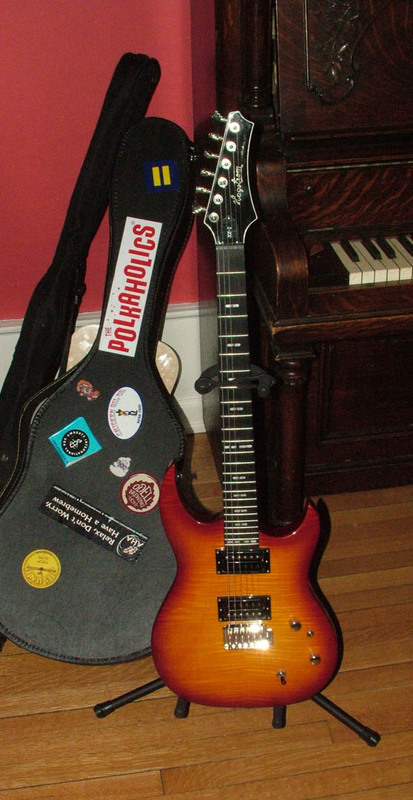 A skeuomorph is “a design feature copied from a similar artifact in another material, even when not functionally necessary.” Like the body shape of an electric guitar. Examples include the shutter sound on a digital camera, lightbulbs shaped like candle flames, the newstand app that looks like a wooden bookshelf, and plastic lumber with wood graining. 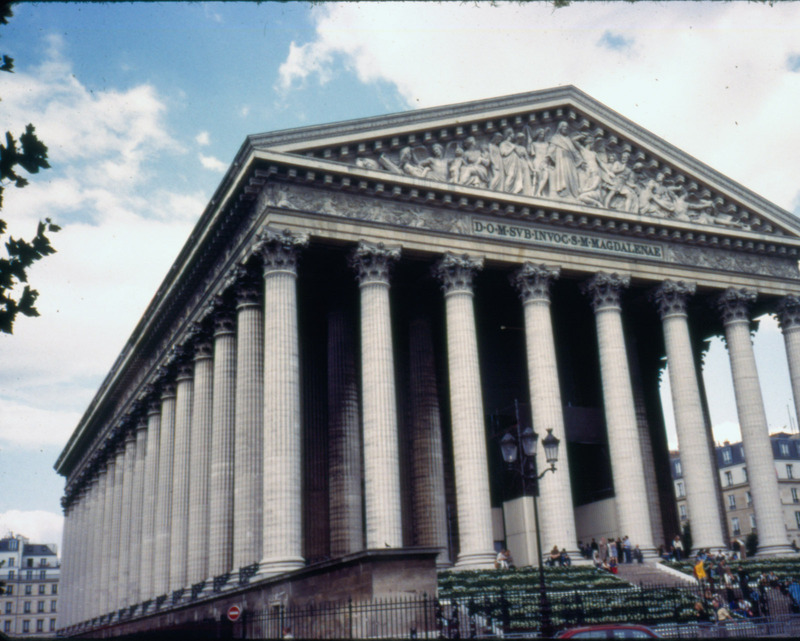 I announced my intention to write a blog about skeuomorphs in architecture and my dear friend Elizabeth Milnarik pointed out that “architectural history = skeuomorphism, or the rejection of skeuomorphism, more or less.” She is right. 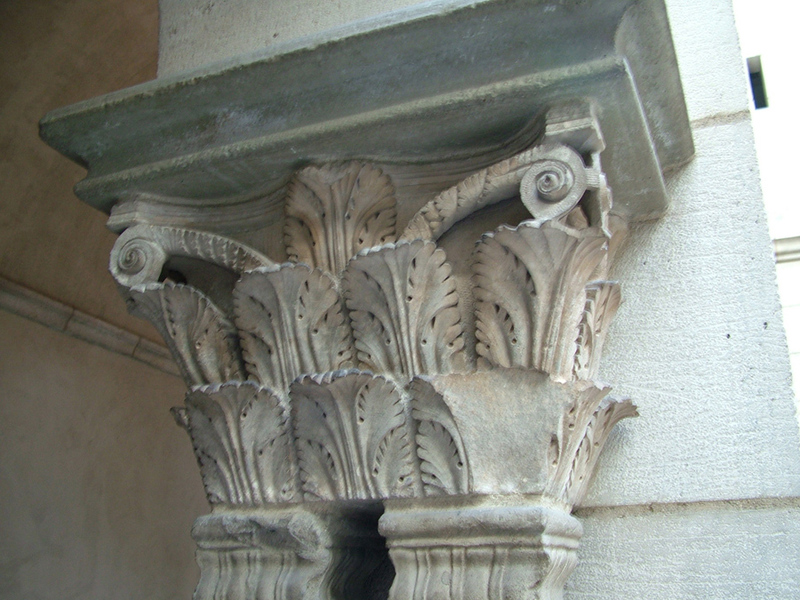 The classical (in every sense) example is the capital of the Corinthian column, derived in the 5th century BC by the sculptor Callimachus when he saw acanthus leaves growing around a votive urn or basket, according to Vitruvius. 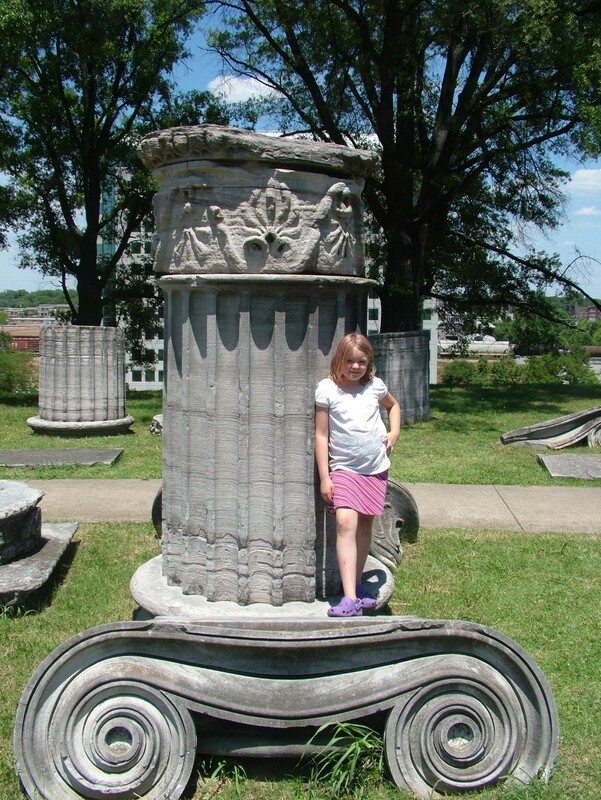 The Greek and then Roman temple is itself a collection of forms borrowed from other materials and rendered into stone. 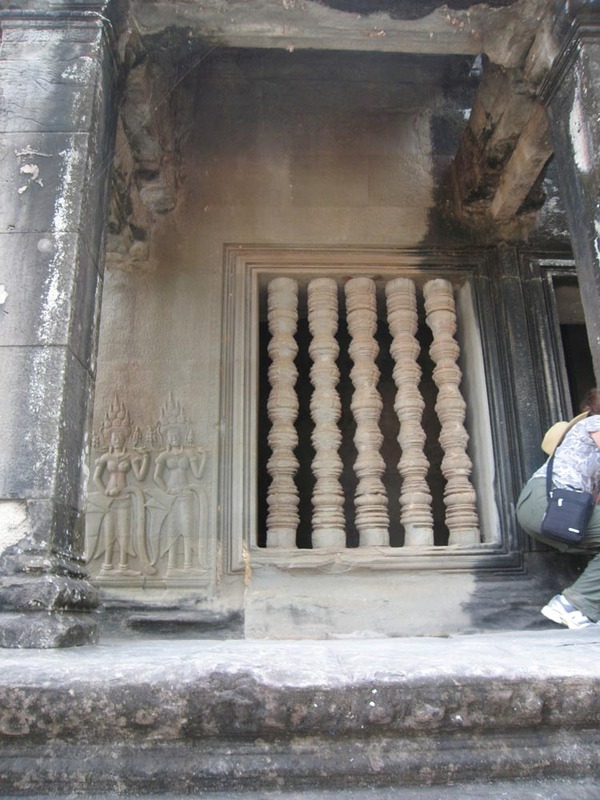 Khmer architecture in stone is based on wooden precedents, which explains not only its rampant skeuomorphism, but also its goddawful engineering. 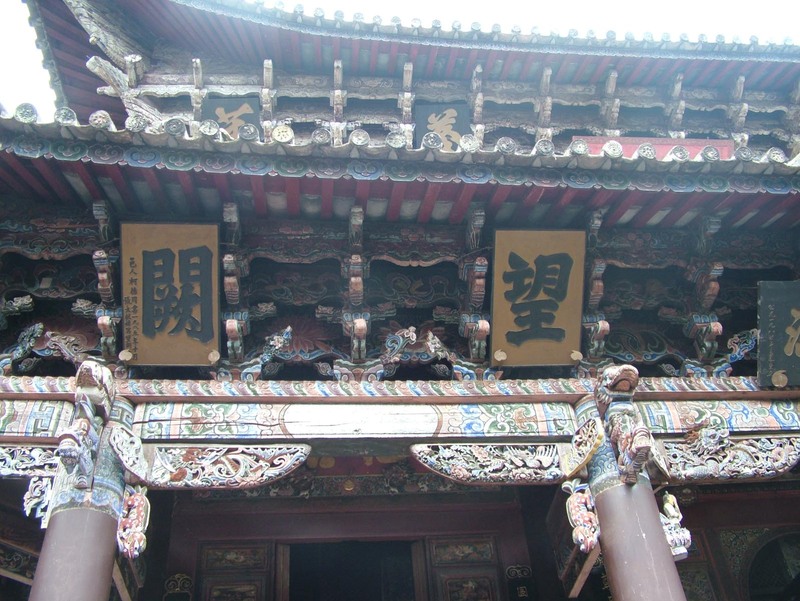 Chinese architectural tradition, even when it remained within familiar material (wood), often exaggerated and/or multiplied once-functional architectural features for aesthetic effect. 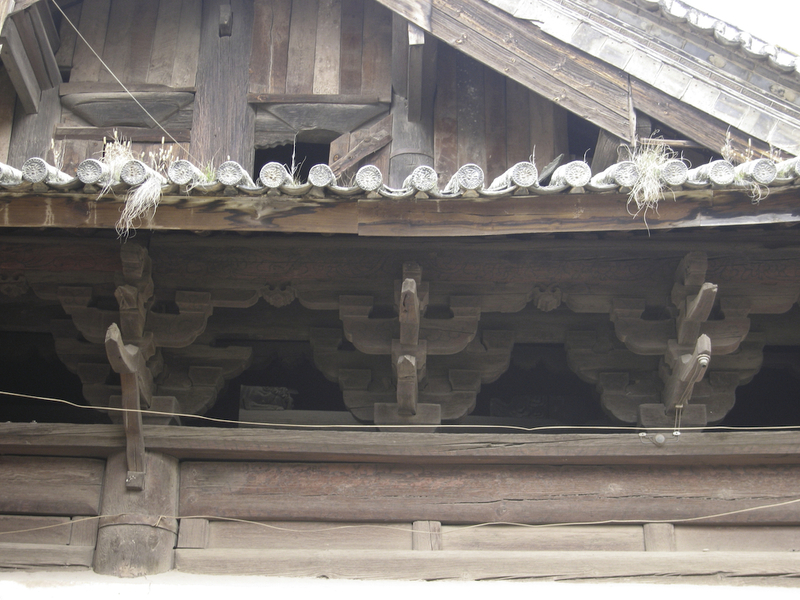 The duogong bracket system originally provided structural support from column to roof purlin, and cantilevers called ang allowed the adjustment of roofline curves (in itself practical originally, since it protected structural elements from weather and allowed more light and air within). those ang are SO retro! Gothic architecture, as its name implies, is a kind of skeumorphism squared, retaining distorted features of previous architectures, the natural or wooden forms long forgotten. Oh look! 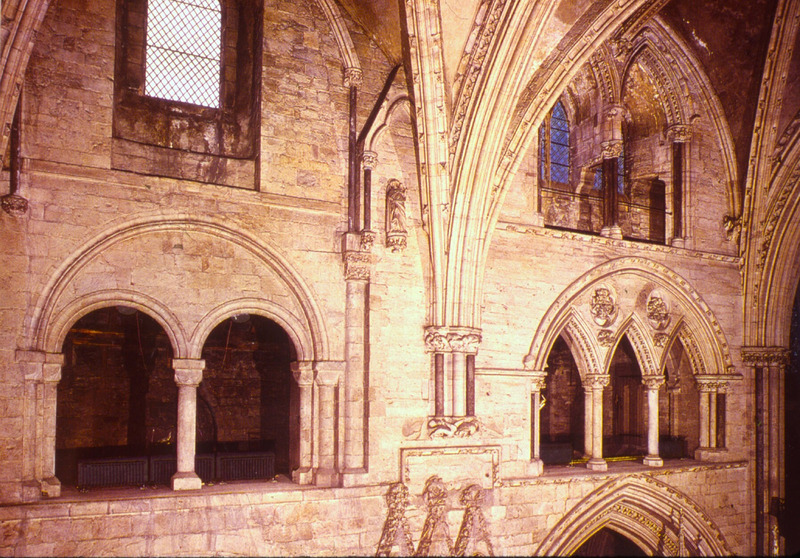 It’s the transition from Romanesque to Gothic at Durham Cathedral! 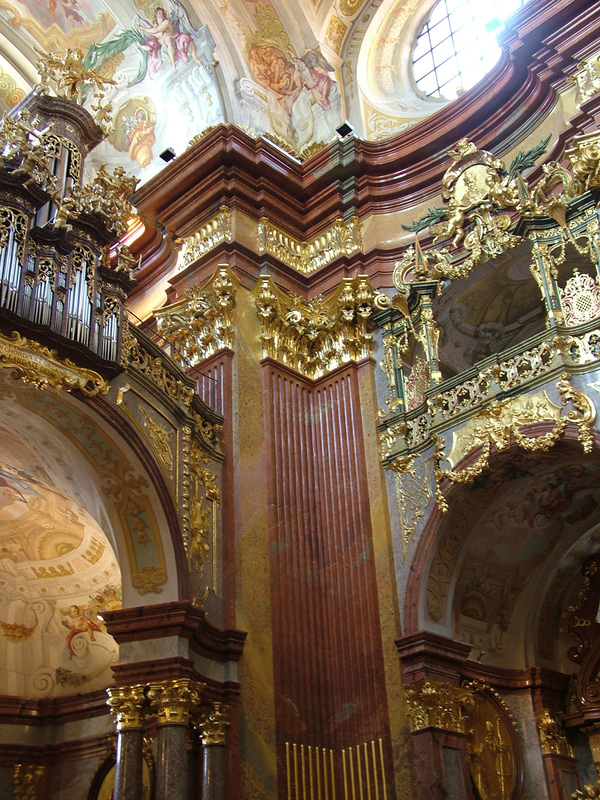 The Renaissance and the Baroque totally doubled down on the whole skeuomorph thing, refining forms with forms and creating a massive vocabulary of design elements completely abstract in their relation to any original natural inspiration. 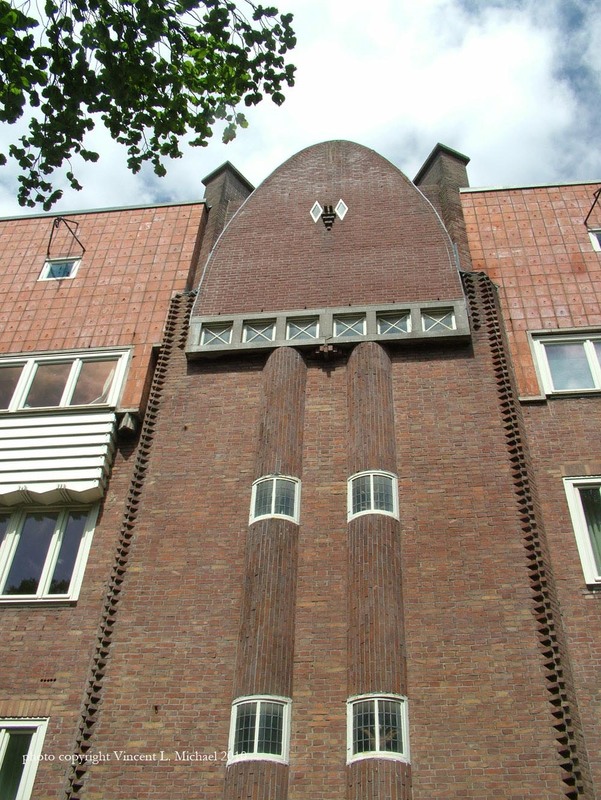 Modernism of course was a rejection of historical styles, which is to say a la Milnarik a rejection of skeuomorphism, most neatly summed up in the German phrase Neue Sachlichkeit which can be translated as new objectivity. 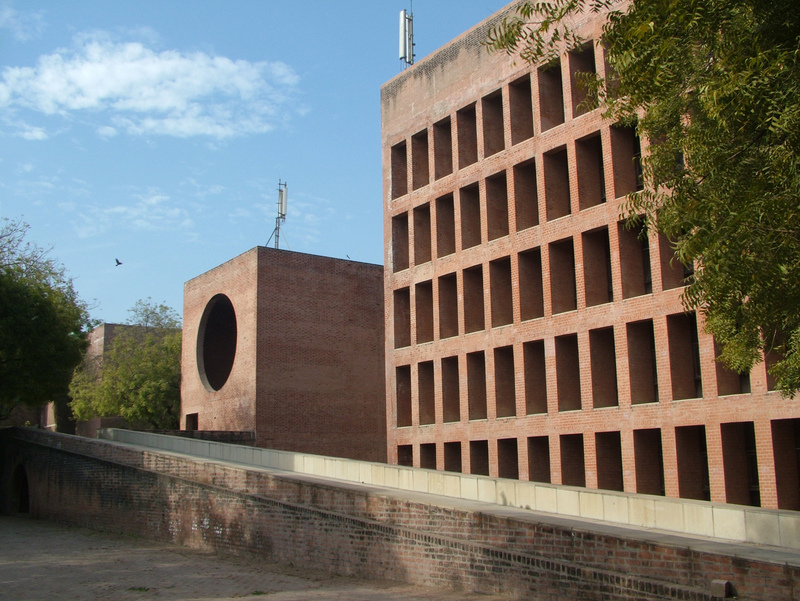 A plain box devoid of ornament seems an apt expression of engineering and need. But the fact of the matter: there is always that attempt to sweeten, to make forms subjective, even without ornament. 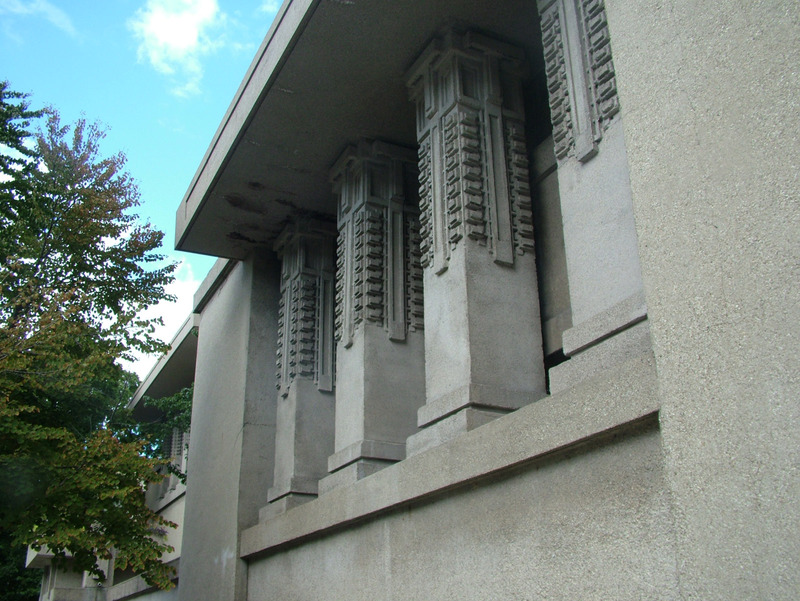 Frank Lloyd Wright understood architectural ornament as “the conventionalization of natural things, revealing the inner poetry of their Nature.” The Egyptians conventionalized the lotus; the Greeks the acanthus; civilization itself was “a conventionalizing of our original state of nature”; and architecture “the highest, most subjective, conventionalization of Nature known to man”. 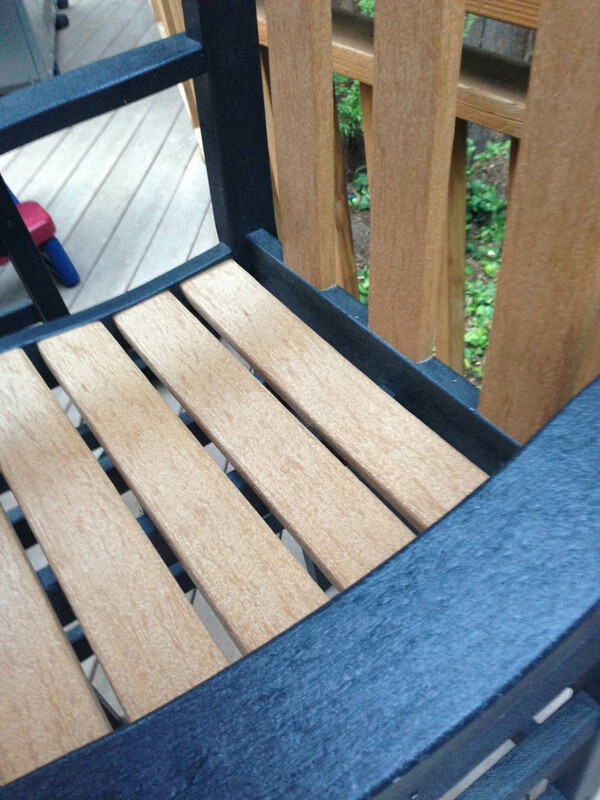 Wright didn’t need to retain skeuomorphs that would make you feel more comfortable. 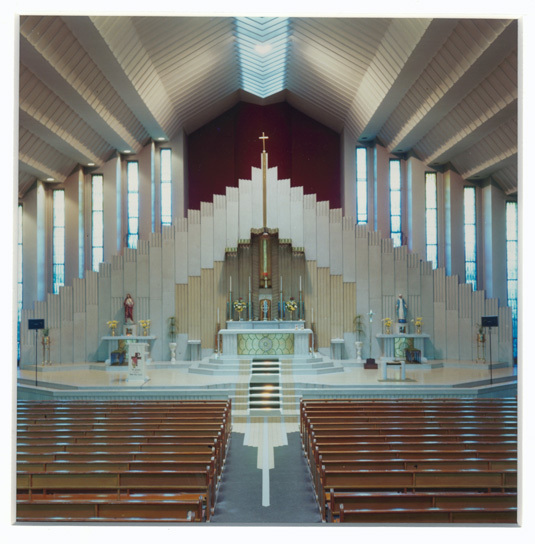 He didn’t care if you were comfortable..
Wright apprentice Barry Byrne designed modernist Catholic churches, assiduously avoiding skeuomorphs in an idiom that almost requires it. You can buy the Byrne book here. But enough about the big styles, what actually got me going is one of the most basic and baffling skeuomorphs: the square chimney. We have so long identified the square chimney as the appropriate form, even though the structural element is circular, a tube. This is given away by the Victorian chimney pots, which follow the shape of the smoke vent even as the masonry does not. 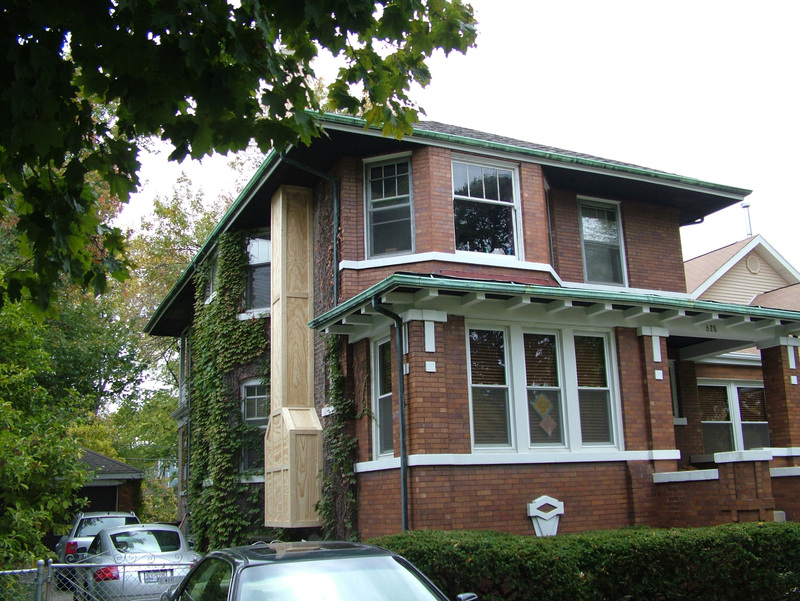 So I see new houses built, or old ones with new fireplaces added like this, and they put cylindrical metal chimney tubes, and then they add rectangular plywood boxes around them – because that is the shape they are supposed to be – and then cover the plywood with fake brick – because that is the material they are supposed to be. 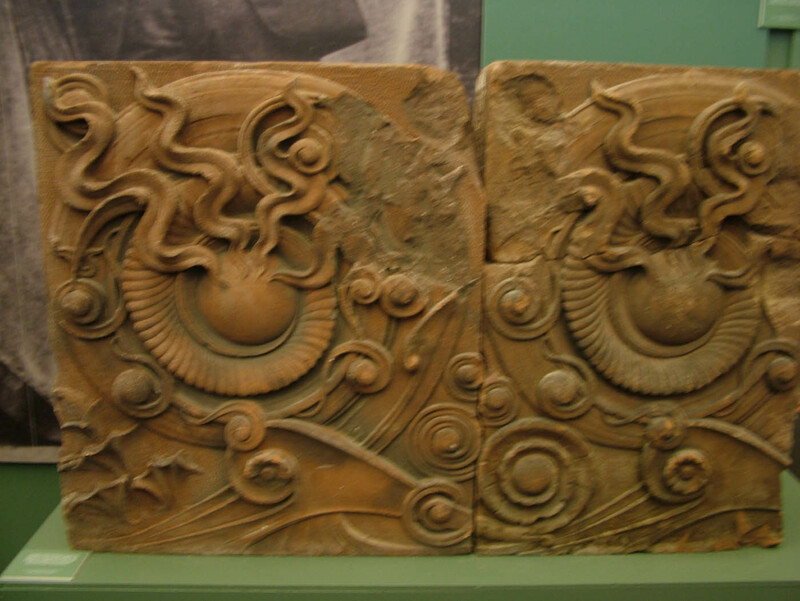 Terra cotta is a material whose sole rationale is skeuomorphism, more easily rendering detail than carved stone or other masonry material. Even Frank Lloyd Wright was not immune to Palladian temptations.. 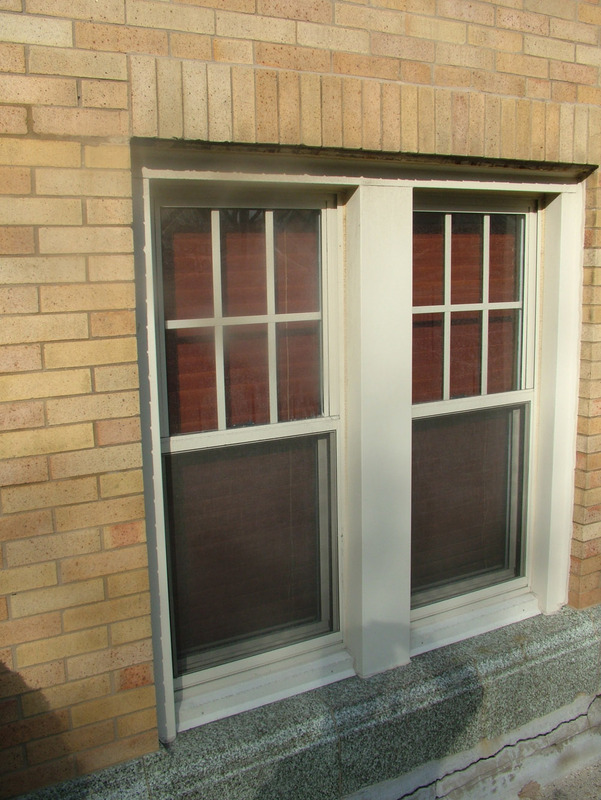 Speaking of windows, the whole multi-paned window like the one you see here – which is a nasty, short-lived plastic replacement window that won’t last as long as Real Housewives of Atlanta is perhaps the most common architectural skeuomorph. 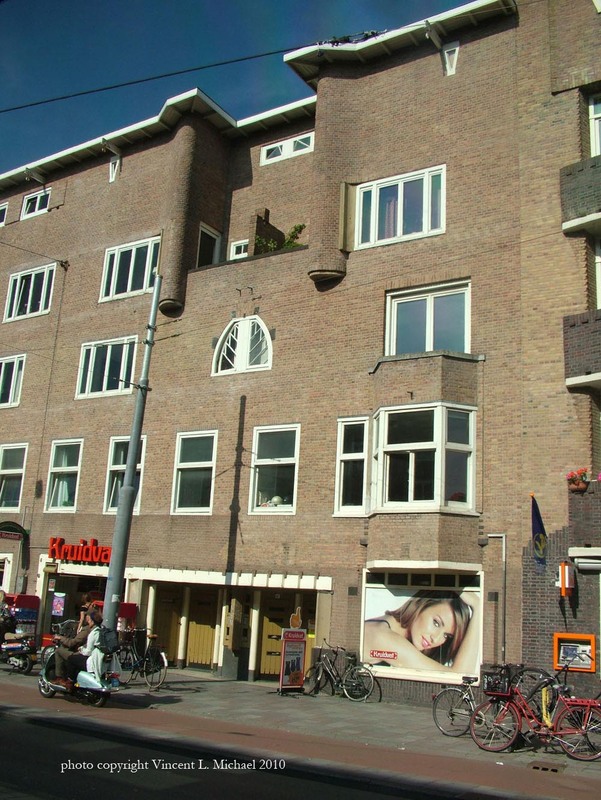 The multi-paned window goes with Classical and Georgian styles. 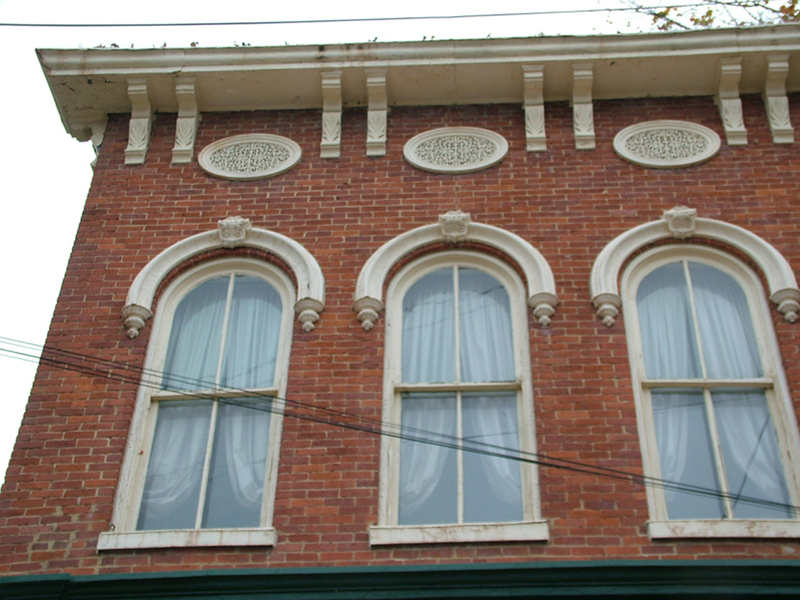 In fact, technology would have allowed a single pane in each sash but the popular Italianate style went for paired things (brackets, arches, panes). 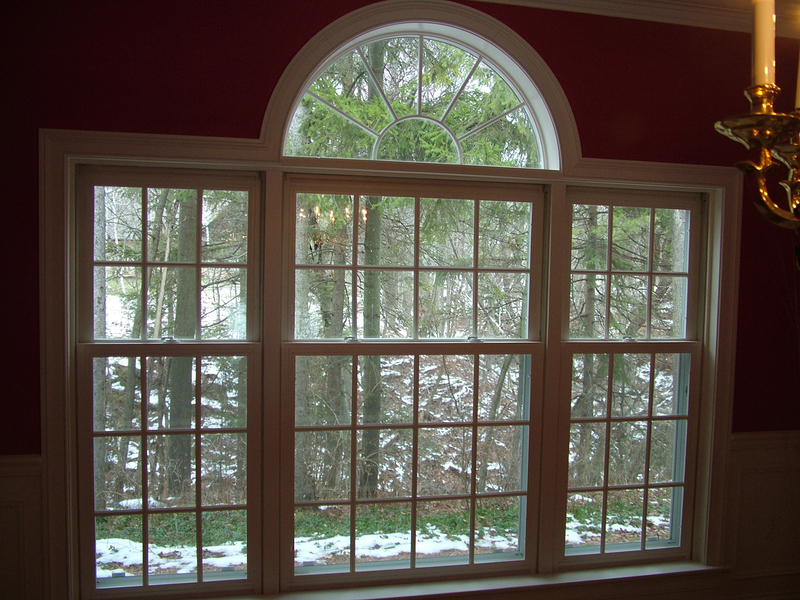 We still see multi-paned windows everywhere, which are skeuomorphs for something that has not needed to exist for 200 years. 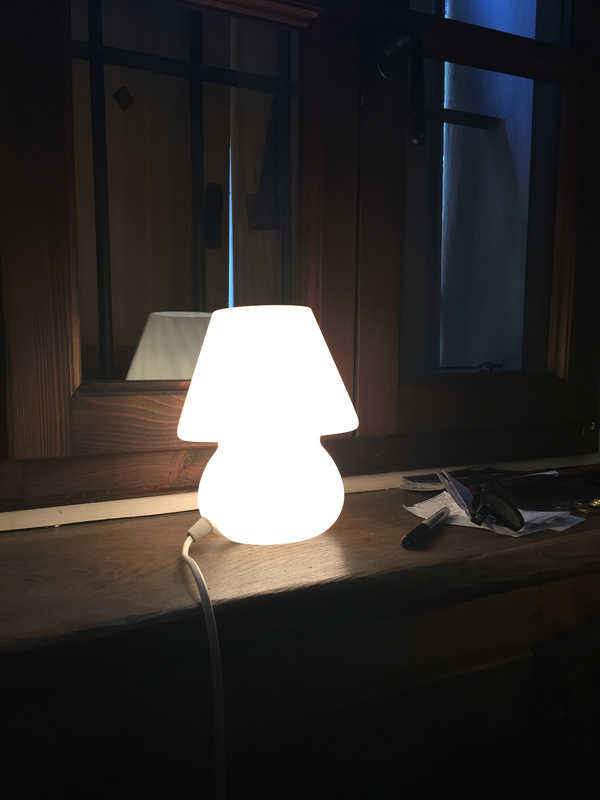 The modern ones are just strips of plastic that reduce the amount of light you get inside. 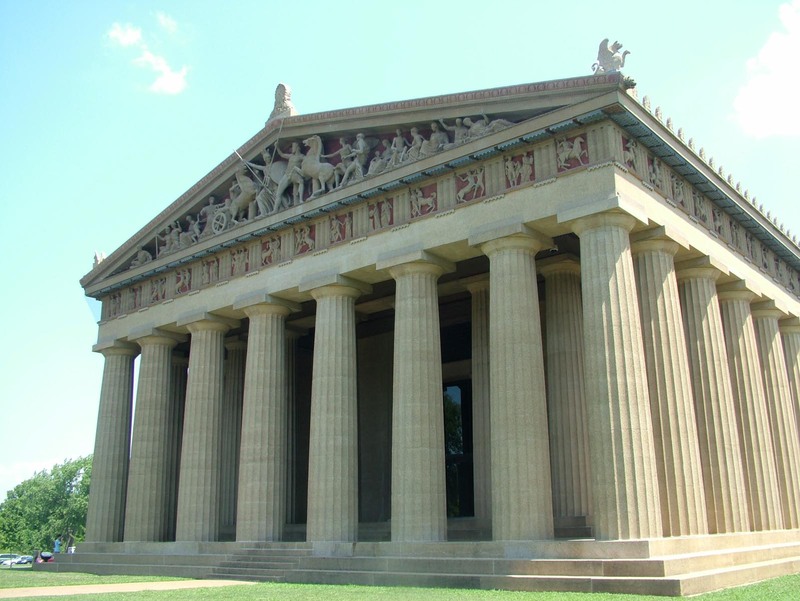 but they SIGNIFY Classicism or Americana or Oldy-Timeyism or something. It is the signification carried by certain forms – and perpetuated by form-givers – that ultimately explains the skeuomorph. Architectural history is indeed a history of skeuomorphs and the rejection thereof, so Elizabeth is right. Or Wright. Look at this one from Italy! Within the last week I have been involved in strategic planning exercises as a Trustee of the National Trust for Historic Preservation and the Board of the Landmarks Illinois, and besides being reminded of the facilitation and SWOT analysis I first experienced 26 years ago in a Joliet hotel (yes, that sounds odd, but trust me, it isn’t) I was also struck by some of the challenges facing both non-profit membership organizations and the heritage conservation/historic preservation field as a whole. One of those challenges is in the realm of membership. Membership has dropped at both organizations, and it has aged. 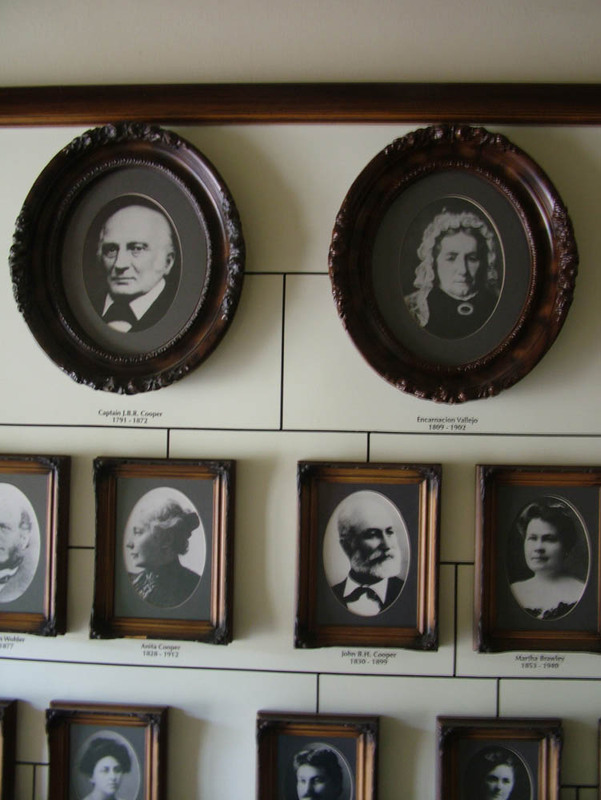 It seems the 19th and 20th century pattern of the membership organization is being either eclipsed or remodeled. There was a lot of talk in both board retreats about reaching out to younger generations and wondering whether younger generations will join as members or simply be affiliated and affinitized (not a word) via social media and social networks, depriving the old membership organizations of a fundamental pillar of their existence. As usual in the shifts and spasms of changes to our social economy, the fears are probably disproportionate. Membership was always important in preservation because it had a political policy implication as well as a revenue source, but in fact the revenue source was never primary. Arguably membership numbers had more impact on policy than income. The National Trust plan for the 21st century (from a few years back) called for “engaging” a million people, and while we aren’t there yet, as I reported in the last blog entry, the Trust has been relatively adept at engaging social media and the interwebs. This doesn’t translate into traditional membership and thus there is a drain on income, but at the same time it could translate into MORE engaged people, which would have a positive impact on the public policy side of the equation. Plus, you can click and donate pretty easily on the Trust website, either in general or in specific advocacy cases. So too with Landmarks Illinois, although I pushed for a more fluid site. 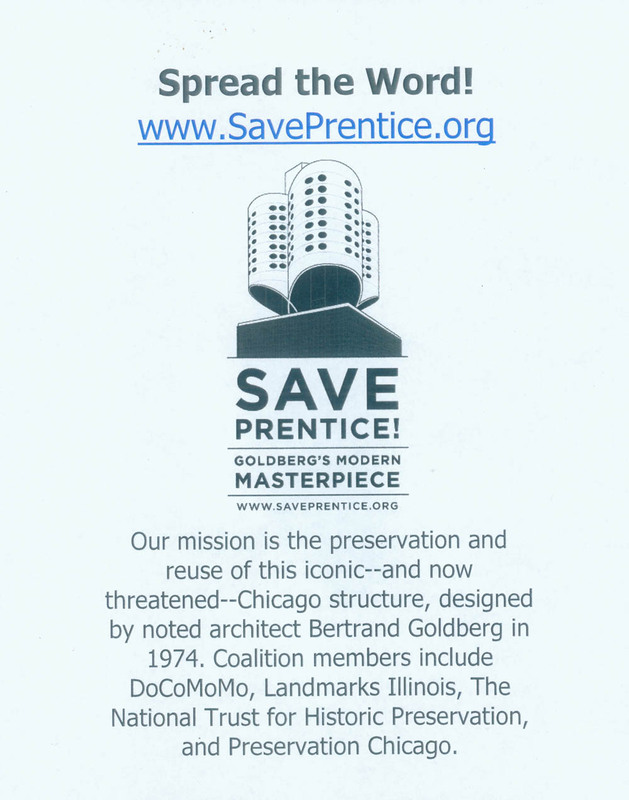 I also suggested PRESERVATION FLASH MOBS! (run with it). The real issue for 2011 and the real shift is this: the most significant aspect of our technological progress over the last two decades has been the shift to user control, to individual control. 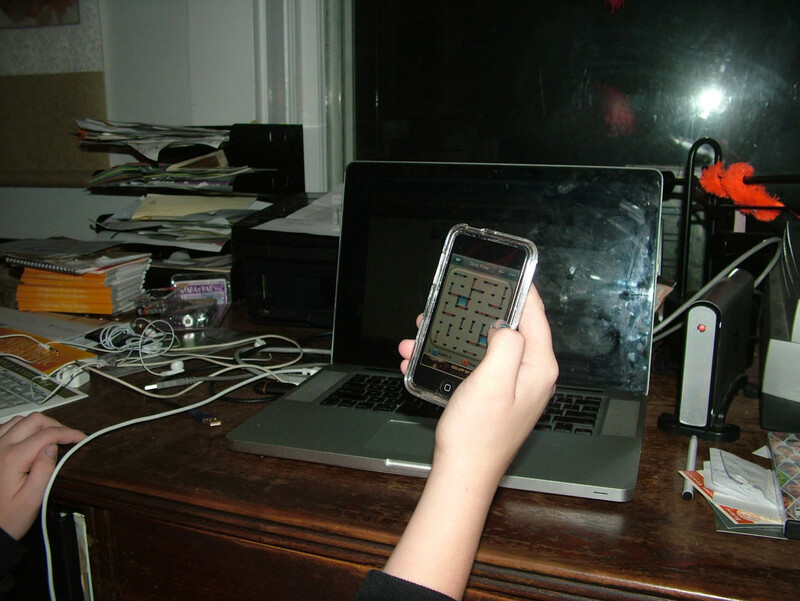 I resisted (go back five years in this blog and you can witness some of that resistance) a lot of technological changes like cell phones and MP-3s and digital photography because I saw a diminution in quality. Of course, quality has improved, but the pattern of technological progress actually follows an initial shift to lower quality. Why? I remember talking to a printer about a decade ago about people choosing to do their own printing via digital technology rather than going to a traditional offset press. He responded simply: People are happy to exchange quality for control. I can hold 10,000 MP-3 songs in the palm of my hand and choose when and how I hear them, so who cares if the treble is tinny and the bass is thunky and the mid-range has vanished? I can design my invitations all by myself and control the process, so I don’t mind the thin paper and bleeding lines. The hard drive on my desk the size of my hand holds more photos than a 6-foot tall shelving unit behind me, so I don’t mind the fact that I lose a few bits of information each time I open that jpg. The answer of course, is that you need to have a web presence that allows user INPUT and control. The internet is NOT a new method of disseminating information, it is a new method of social interaction, and websites that act like information newsletters or annual reports are used once and disposed. The brilliance of the Partners in Preservation program the National Trust does with American Express is that it is all about interaction. Landmarks Illinois saw similar interaction when its 11 Most Endangered list was put up for public voting via internet (which landmarks did people really want to save?). And there is no dearth of models for monetizing websites, although the challenge for not-for-profits with comparatively low numbers of engaged public is daunting. The point I pushed to both organizations was this: it is not a matter of figuring out how to engage the next generation: every older generation makes the same mistake of trying to identify what it is about the next generation that is significant, relevant and then tries to build a bridge based on those parameters. Don’t. It won’t work. The whole point of any generation is that it is a network, and that it MUST DEFINE ITSELF and you must accept that part of how it defines itself will be in CONTRAST to your generation. You can’t change that equation for love or money or even genius. 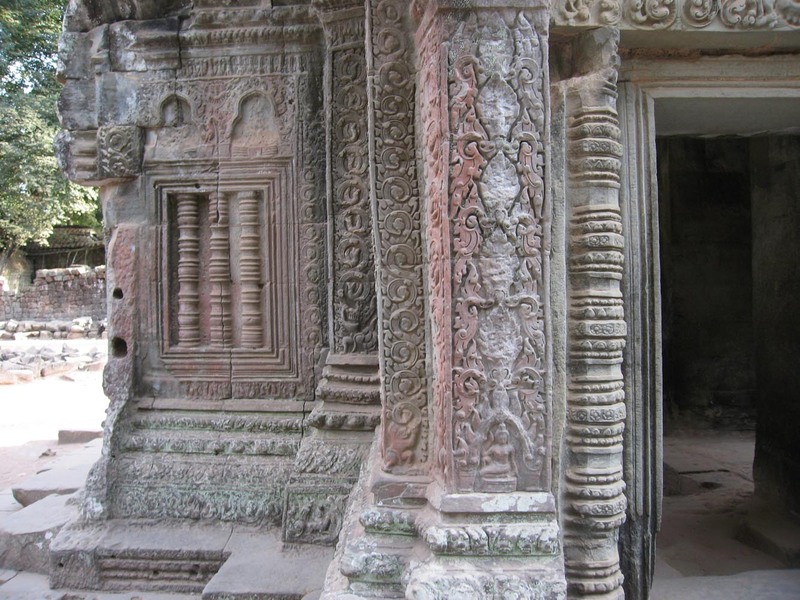 What you have to do is allow each generation ACCESS to cultural heritage conservation, historic preservation, or whatever they want to call it. Don’t fret that they don’t value it – if you found intrinsic social and human value in it, they will too, but they won’t find it the same way you did. Its patterns and modalities will change. Its definition may change. Our job as the older generation is to give the next generation INPUT into the field and be patient and agile as they change it, grow it, and make it relevant for themselves. The second challenge to our field lies in a point National Trust President Stephanie Meeks made in Austin in October: We need to stop being perceived as the people who saw “no.” This stems from the fact that in the 1960s and 1970s national and local preservation laws were passed all over the country, and often these laws seemed too architectural and arcane for the average person to understand. 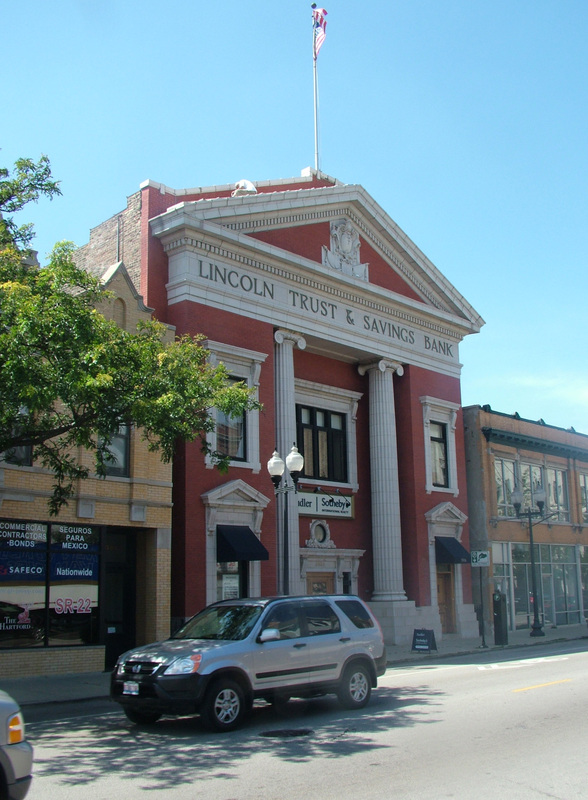 And even though both the National Trust and Landmarks Illinois are private organizations that have NEVER (ever) had any regulatory power or role, the perception remains. 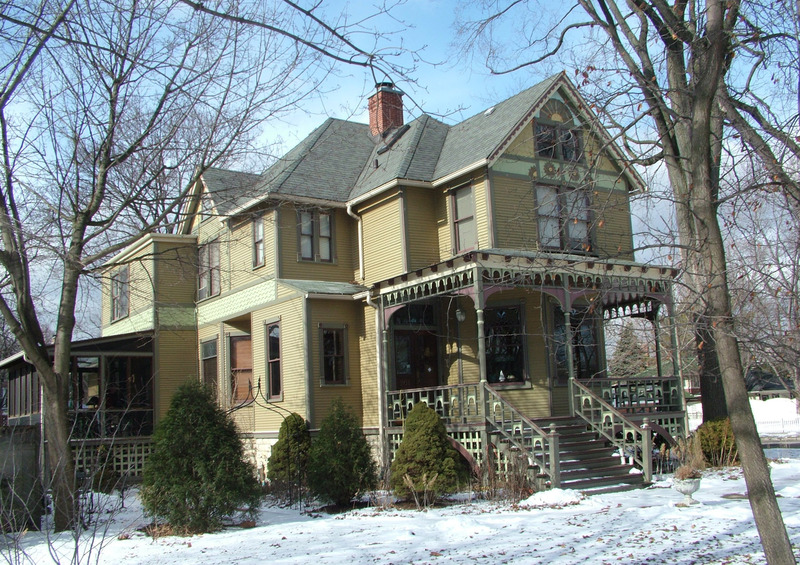 When I did my dissertation under Bob Bruegmann, he challenged me to write a history of preservation without reference to any laws, and suggested that people were probably preserving buildings and neighborhoods long before there were any preservation laws. He was right. You can find that phenomenon in Greenwich Village in 1910 and in 1935 and in 1955 long before laws went into effect there in 1969. You can find it in Old Town in Chicago in 1925 and 1949 and 1968 long before laws went into effect a decade later. I was in Seattle for the National Trust meetings and I sought out buildings Barry Byrne had designed with Andrew Willatzen between 1908 and 1912 and with the exception of one teardown for a weed-filled lot, each of the houses and buildings I found were remarkably well preserved and well cared for even though they were a hundred years old. 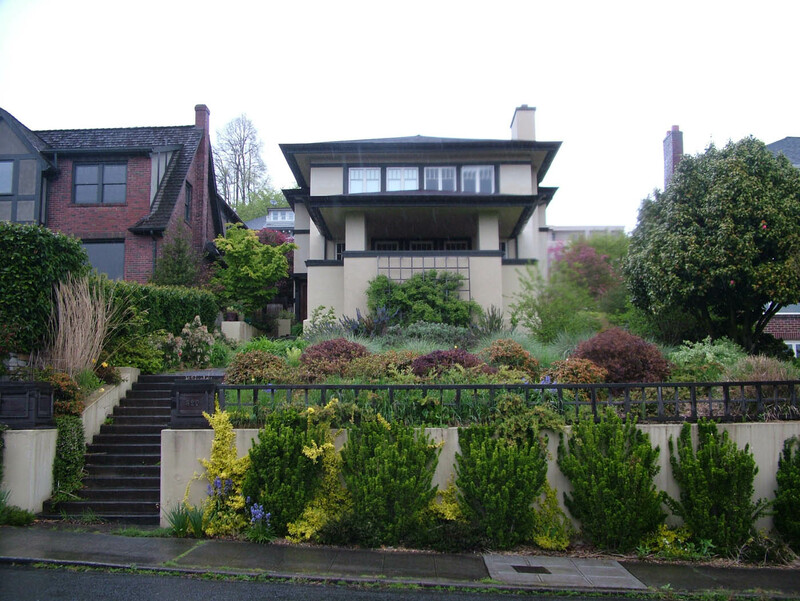 They had no infelicitous additions or alterations I could see, despite the fact that Seattle has succumbed to anti-regulatory paranoia, people were preserving century-old Prairie style houses. 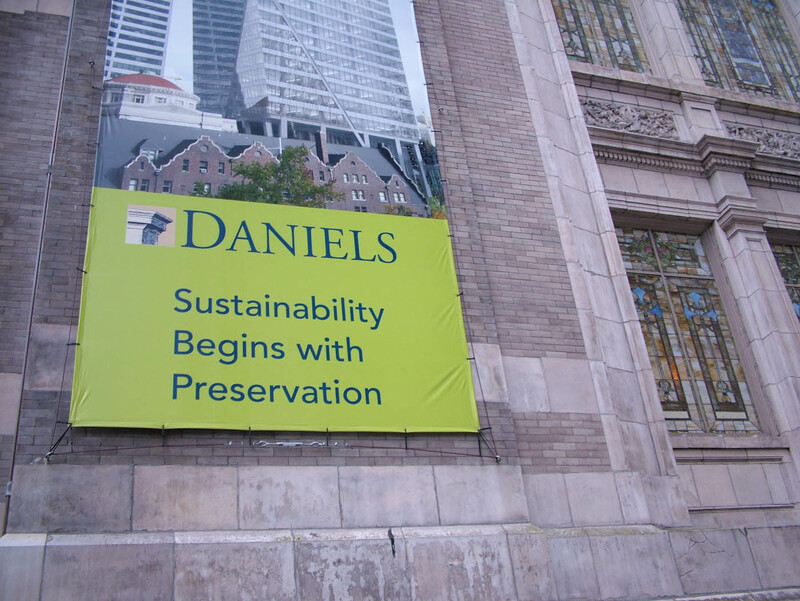 At Landmarks Illinois we talked about trying to link to Sustainability, which was another part of our Seattle meeting – seeing the Trust’s Preservation Green Lab there, which is run by a real estate developer, and here is a sign from another real estate developer (and good friend) who is building a new glass highrise downtown. Sustainability, like natural area conservation, has become an embedded ethic in society that no amount of Koch Brothers funding can unseat. 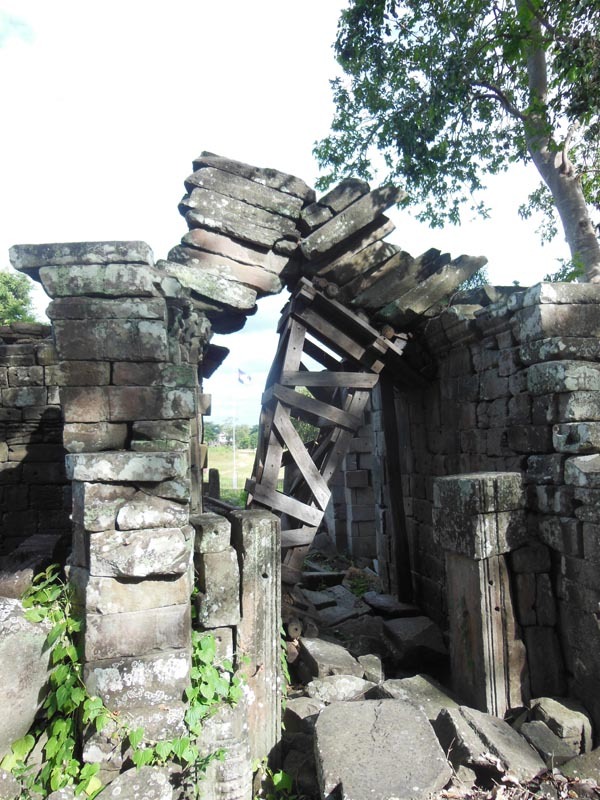 How can preservation achieve this? 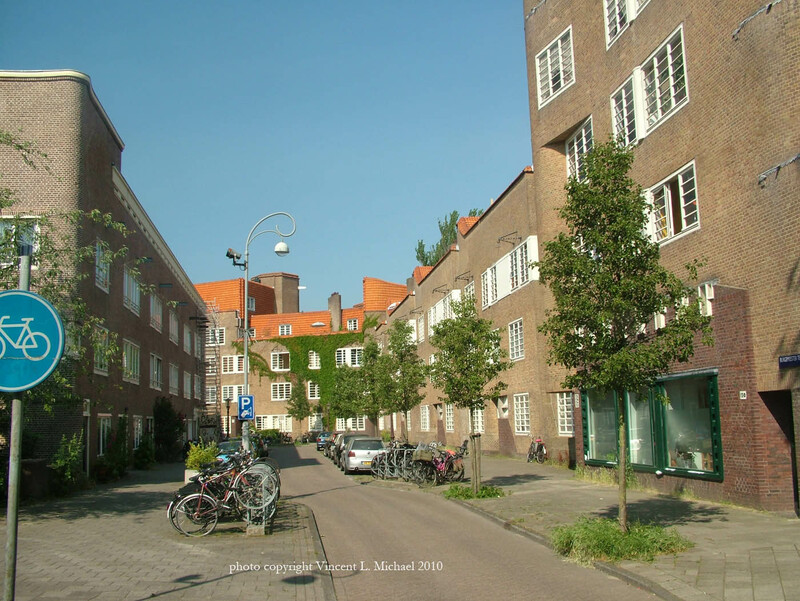 Part of the answer lies in those Byrne and Willatzen houses, and understanding that the houses on my block – which are gloriously preserved – are preserved MOSTLY because people want to and only secondarily because there are regulations. 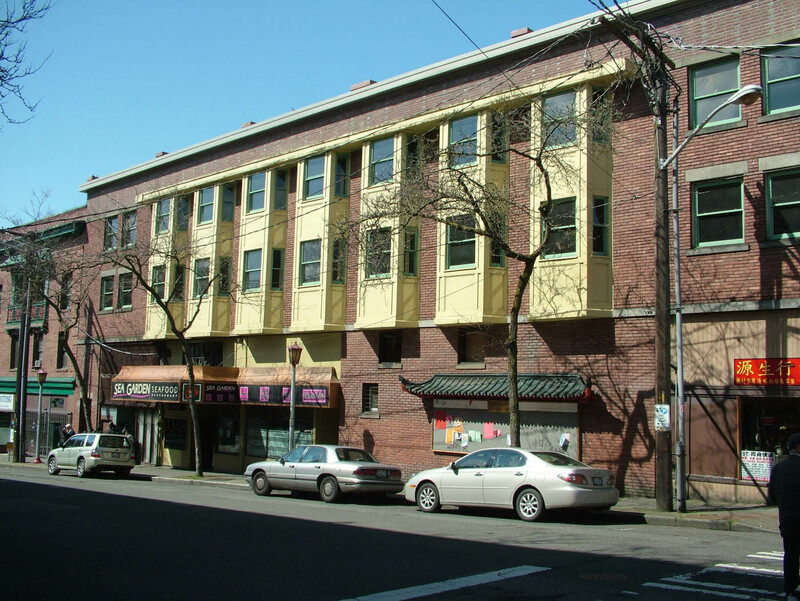 Regulations can’t preserve the buildings on my block – or those Seattle Prairie houses. They can keep them from being torn down. But there is a widespread ethic that values their design and their age value and their history and backs up that value with the investment of money and time and energy. I first spoke at a National Trust conference in 1993 and the topic was how do we get preservation to happen in inner-city neighborhoods. 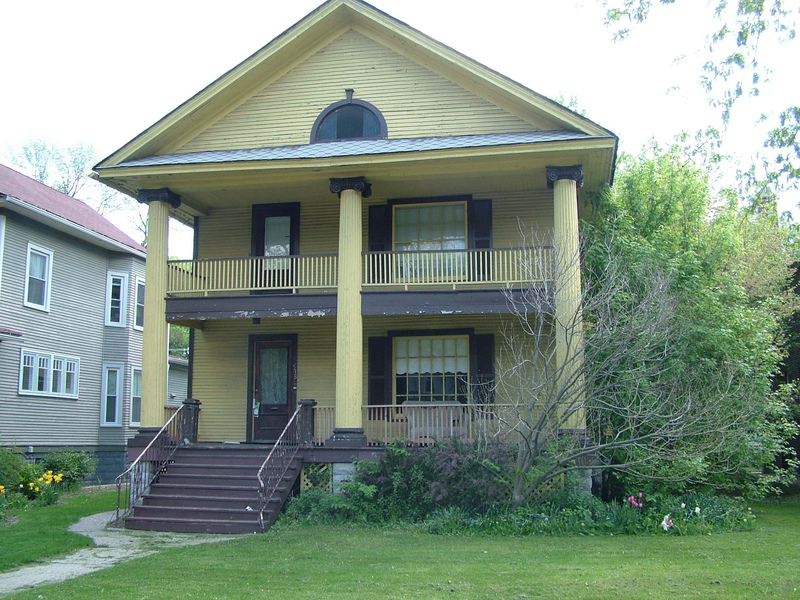 I did a 15-year history of how historic preservation was happening in inner-city neighborhoods in Chicago. My conclusion? The question was wrong. 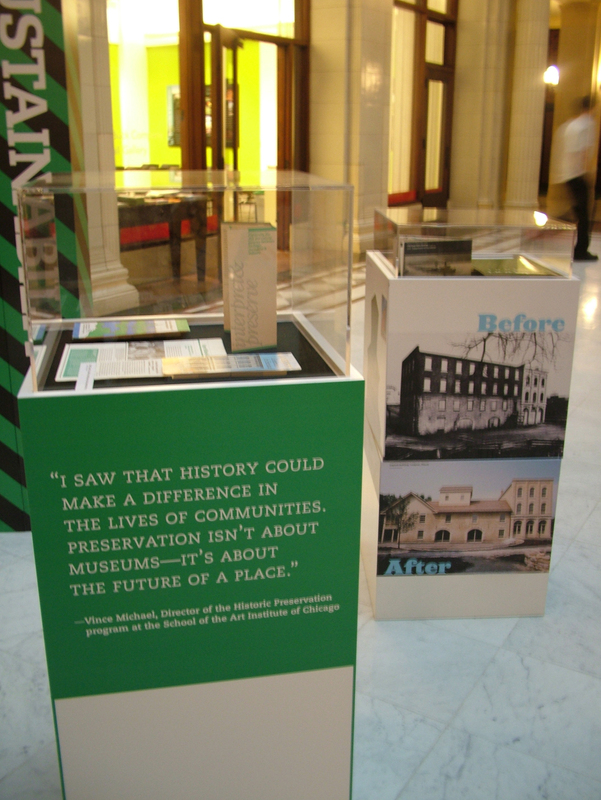 The preservation was happening: our job was to support and assist community groups that chose preservation and rehabilitation as means to community revitalization. You don’t have to create them, you just have to find them. So the answer to this second preservation challenge is remarkably similar to the first: you have to be willing to cede some control. 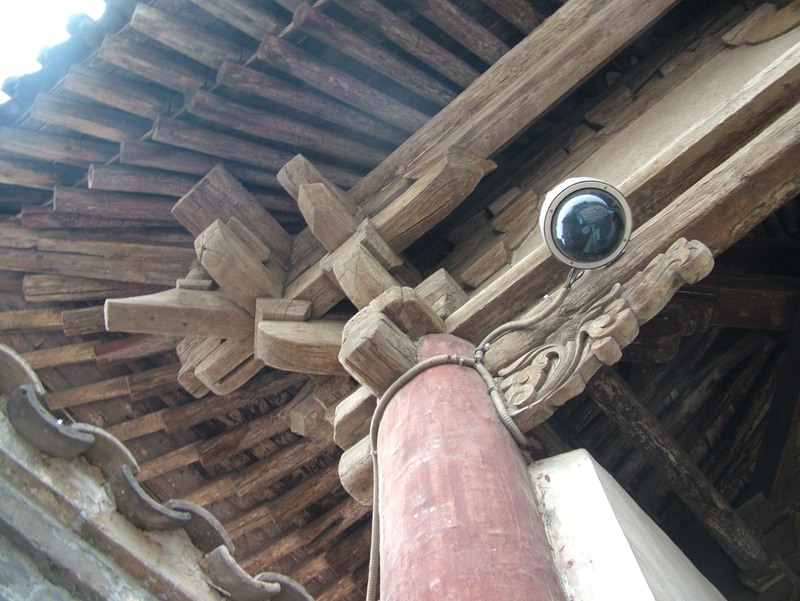 You have to believe that the aesthetic, historical, cultural and place-based values you hold, are also held by others. You have to be willing to tack to the wind and trust that changes in how the field operates will not undercut those values. but to let it BE CHANGED. And that takes a bit more courage. 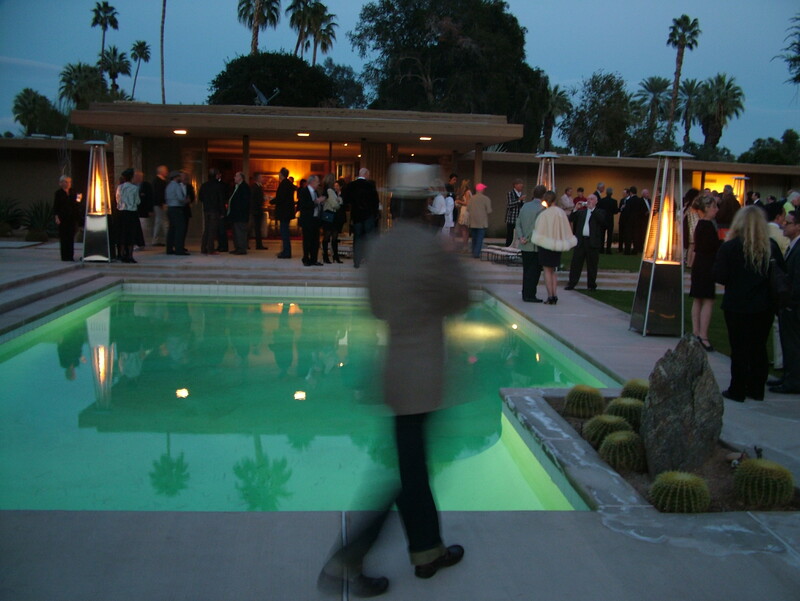 In three weeks I will be speaking at Modernism Week in Palm Springs; my last post “What Is Modern” got a ton of hits; and I have just finished a draft of the Barry Byrne book following my JSAH article (still free during February 2011 online) “Barry Byrne: Expressing the Modern in 1920s Europe” so I have been thinking about Modernism a lot. 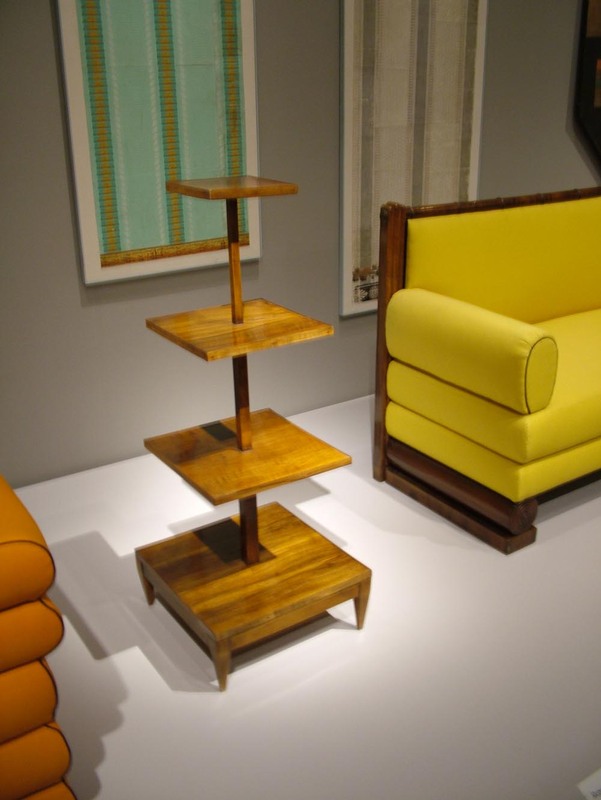 Barry Byrne wrote a letter to Lionel Feininger at the Bauhaus in the mid-1920s disparaging the term, and he was right: What does “Modern” mean, especially now that it is overwith and reborn as a nostalgic style courtesy of Mad Men and Dwell magazine? So I have been trying to figure our another term for it, like “20th Century” or “Late Industrial” but none are adequate and we do have to recall that Barry Byrne and all of his friends like Mies and Oud and Corbu were actively proselytizing “modern” whatever the heck it was. It was a movement. It certainly lasted two-thirds of the 20th century and it had some formal consistencies like machined finishes and ornamental abstraction or negation, but as my article noted, there were lots of different modernisms from the revolutionary asceticism of Loos to the painterly formalism of Corbu, the expressive romanticism of Mendelsohn, and the reborn classicism of Mies. 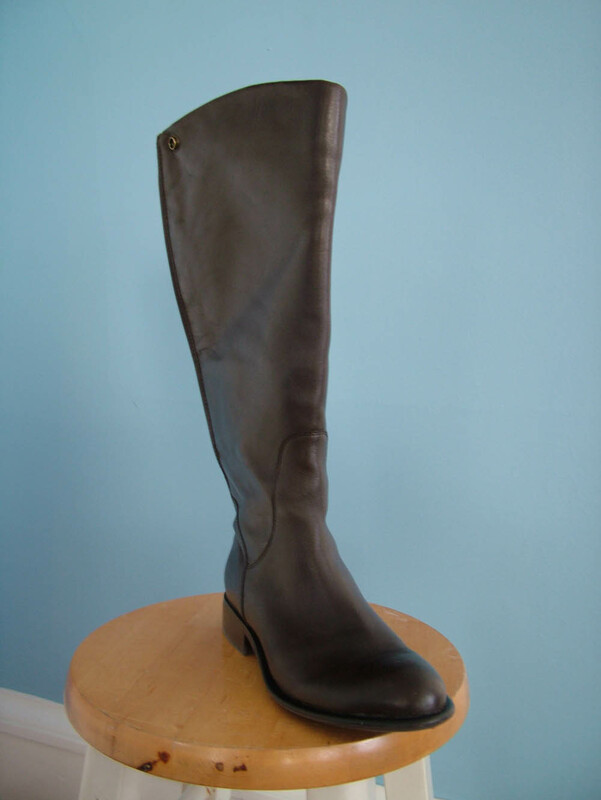 So Felicity has been thinking about boots and last night I looked at the latest pair of boots and they looked a little Emma Peel and a little English riding but mostly they were just a combination of very deft lines and contours. And they lacked ornament, unlike the ones with stitching along the sole or the various ones with buckles near the upper calf and it occurred to me that there is an attempt in many times and places to achieve aesthetic beauty without ornament, simply by skillful disposition of lines and forms and scale and proportion. 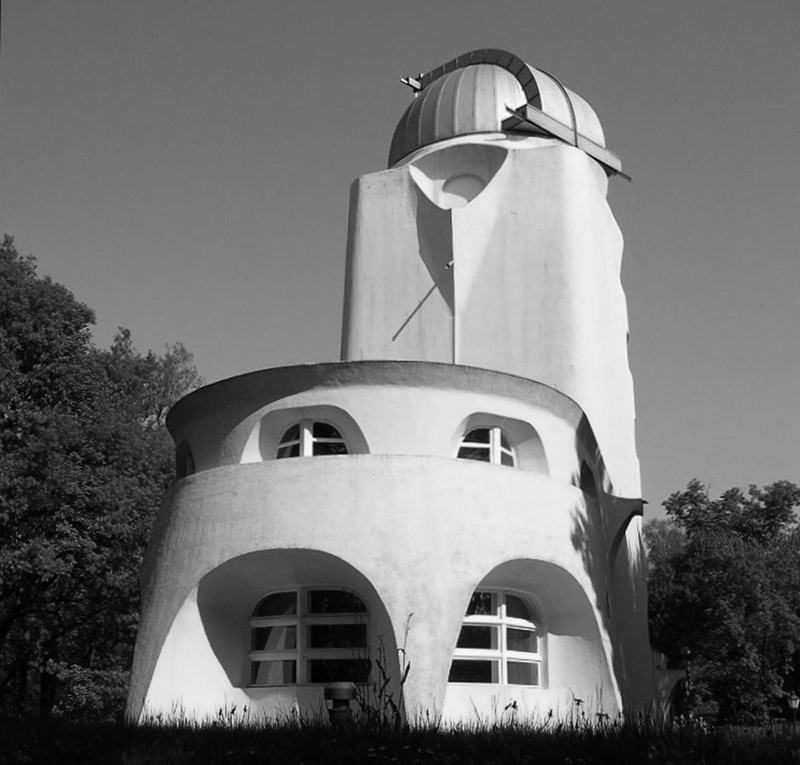 In ancient architectural terms I am leaving commoditas and utilitas aside here to focus on venustas and it seems a big piece of the modernist project was finding the simplest, sharpest lines between creation and venustas. 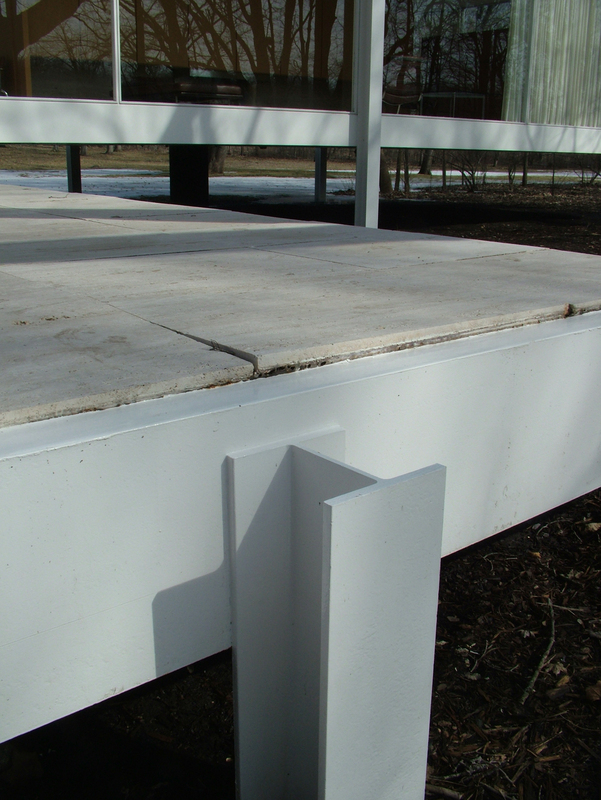 Now we know from Mies that simplicity often took a hell of a lot of work, like the effort to polish away the ship welds that keep the Farnsworth House afloat. Mies’ aesthetic was classicizing and quite different from his onetime student Bertrand Goldberg, who joined Felix Candela and other 1960s expressionists to find beauty in the potential of curving concrete structural systems. 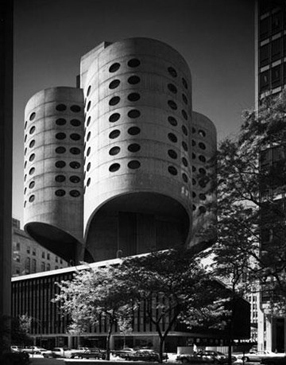 His Prentice Women’s Hospital – the current preservation cause in Chicago – is a brilliant example of beauty united with parabolic concrete vaults that grant a 45-foot (15m) cantilever. 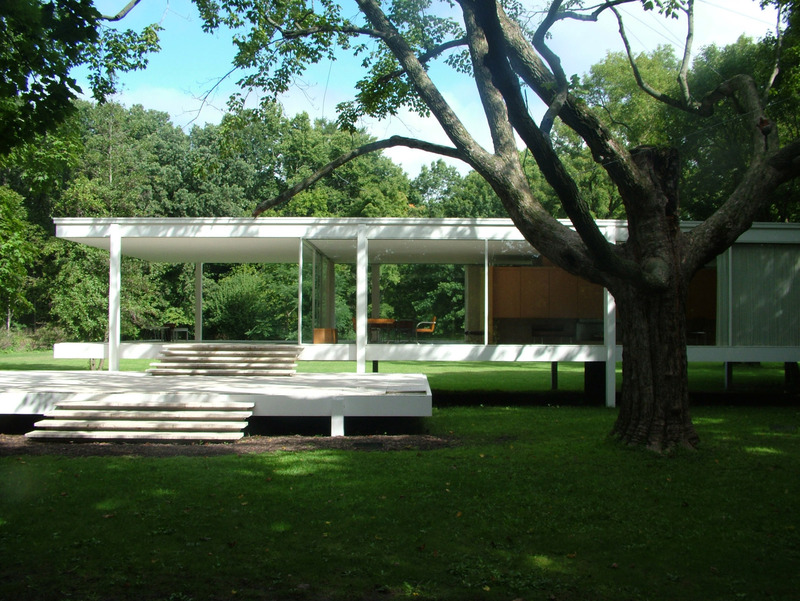 Now, normally we consider Mies to be of one modernist tradition and Goldberg of another, but it doesn’t matter whether the line is curving or straight – both are seeking expression through an economy of form, without applied ornament, not unlike that pair of boots, which is seductive without being explicit about it. No neon needed. But what about the ornamental modernists, like Barry Byrne? 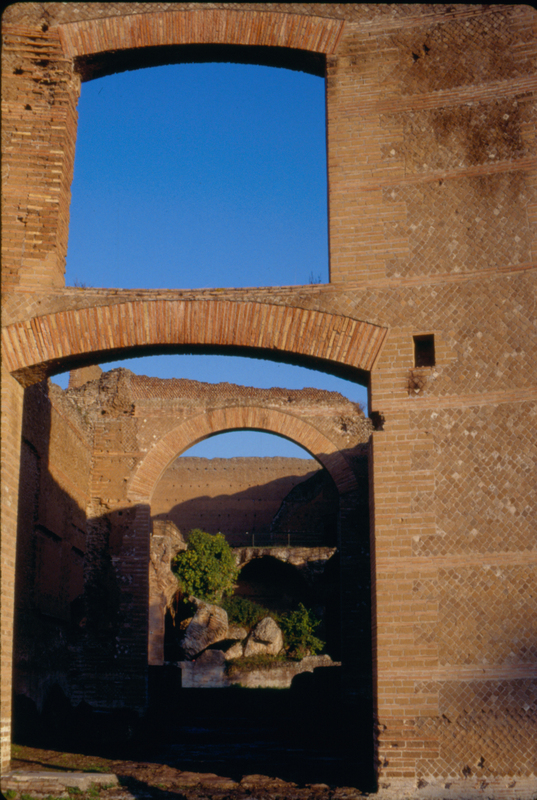 In my book I note that he used ornament as an extension of the wall plane. At St. Thomas Apostle the exterior brick wall serrates and folds at the corners, expressing itself in the material alone, a la Mies, but at the top Alfonso Iannelli’s ornament creates a dramatic and perhaps slightly precious fringe at the skyline, but it reads I think as an extension of the wall. But Loos actually threw us off when he said ornament was crime. 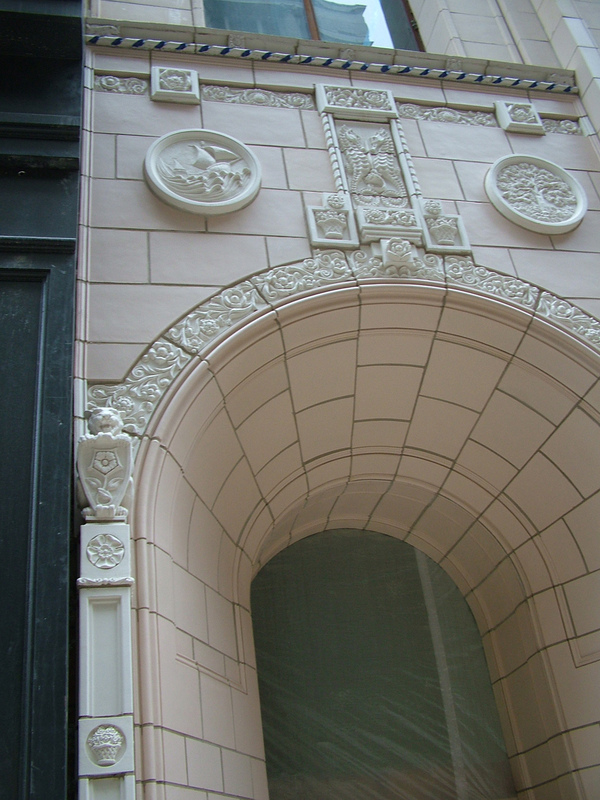 When I tour downtown Chicago, I always note the 1889 Monadnock Building, the first sculpturally modern building without ornament. And across the street is Mies’ Federal Center, which is covered in ornament. Huh? 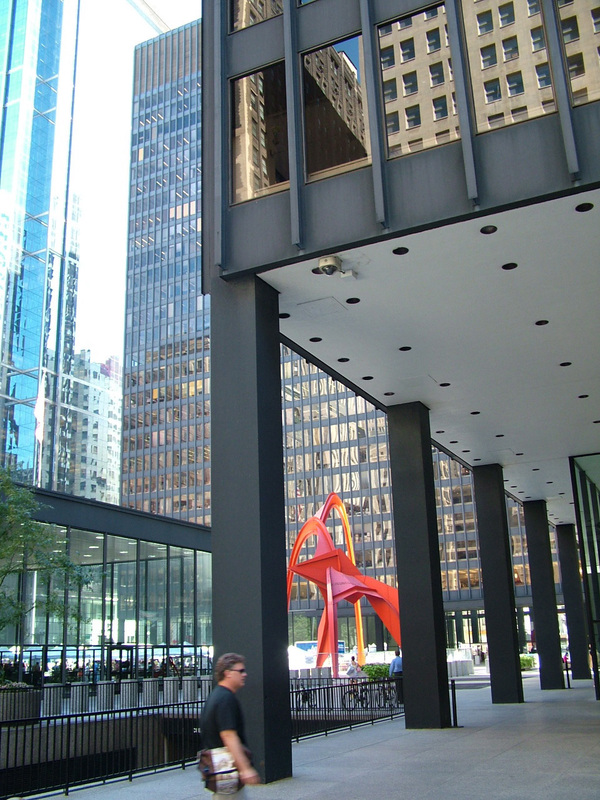 you say – Mies doesn’t use ornament! Of course he does, but it isn’t eggs and darts and guilloches and dentils, it’s I-beams. Loads of ’em. They don’t support the structure and each is only two stories high, so they might help hold the windows a tad but mostly they make the building look a heck of a lot better. Venustas. Just because an ornament doesn’t look like a basket overgrown with acanthus leaves doesn’t mean it isn’t ornament. 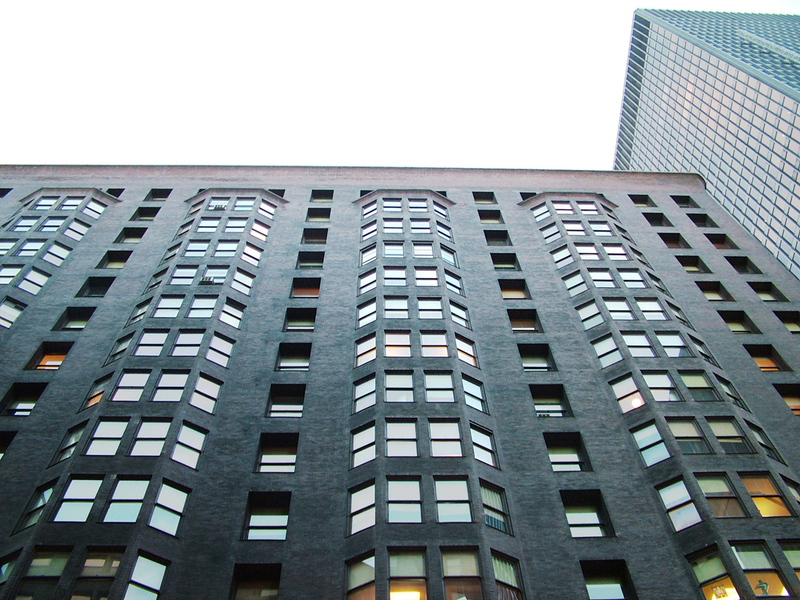 another copyright Felicity Rich photo of a Barry Byrne building. 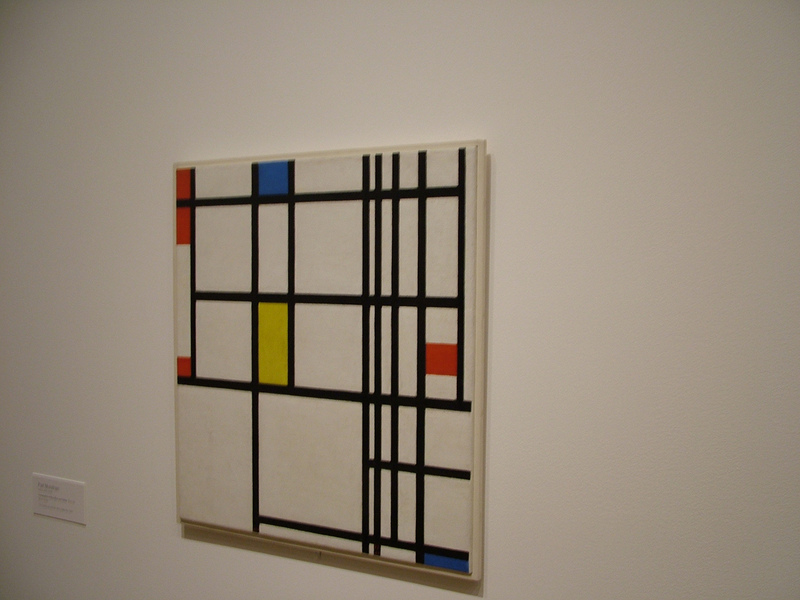 If you look at the career of a modernist who moved from Expressionism to Rationalism, like Oud or even Piet Mondrian, you see that one key to this movement or style or what have you is not simply simplicity or even simply an attempt to find venustas through an economy of form and material. 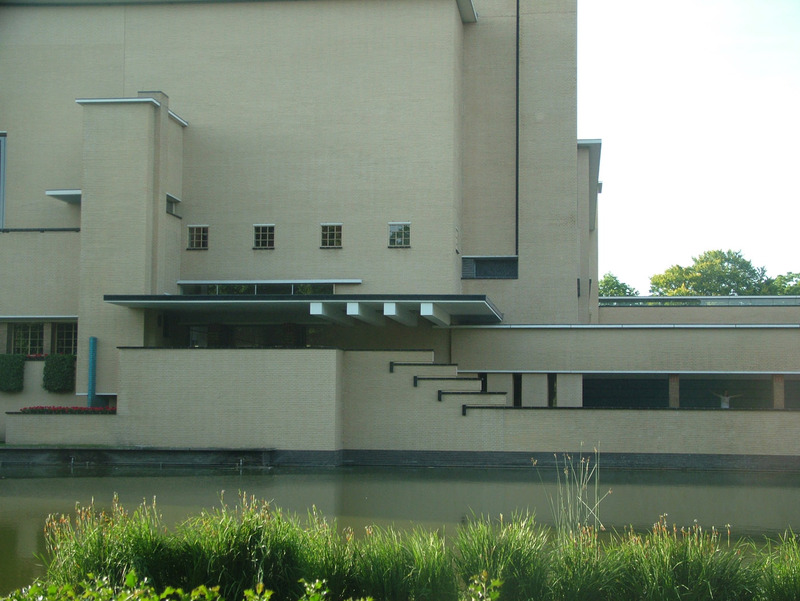 It is also continuity, the most often overlooked aspect of Modernism. 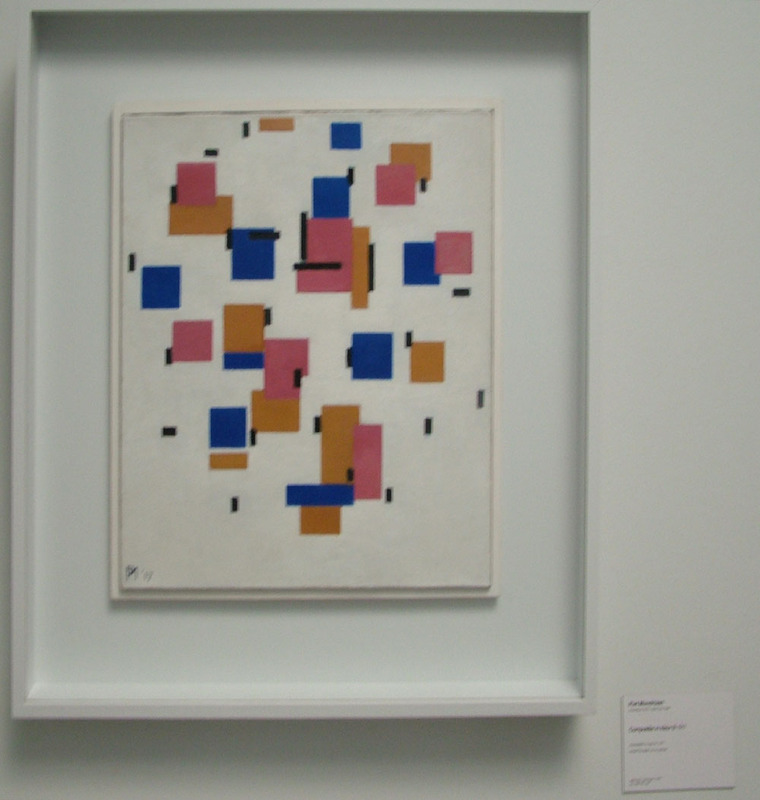 Oh, heck, time to throw in Rietveld as long as we are being formalist…. 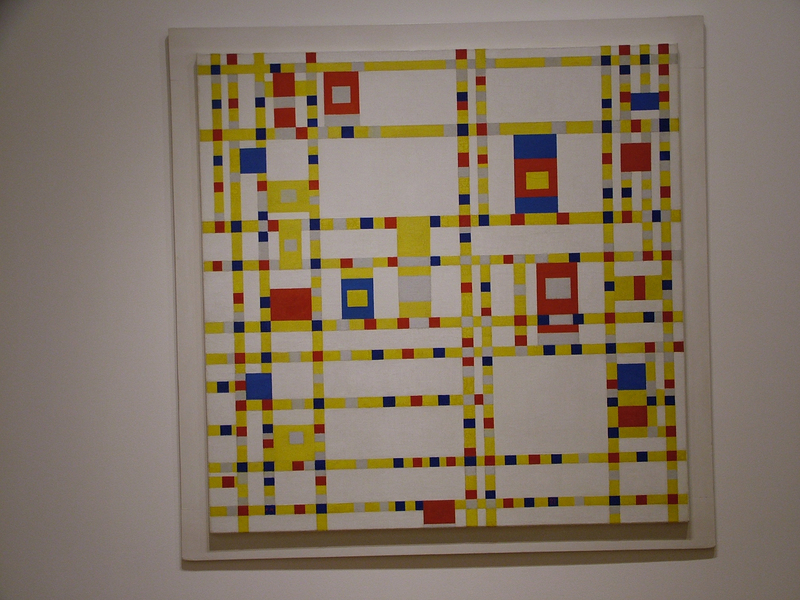 But focus for a second on this Mondrian, which falls in between the evolution described visually above, and see the sense of continuity and connection. It is also there in Dulles airport, and this lovely Saarinen detail that lets a brick wall go through a glass wall without breaking continuity. Continuity is the limited-access highway in planning and the fenetre en longeur and the machined surface and the streamlined railroad engine and continuity is there in Barry Byrne’s wall because even if there is fringe on the end, his goal was “clarity” and “unity” and that terra cotta is trying to express the wall, not add to it. 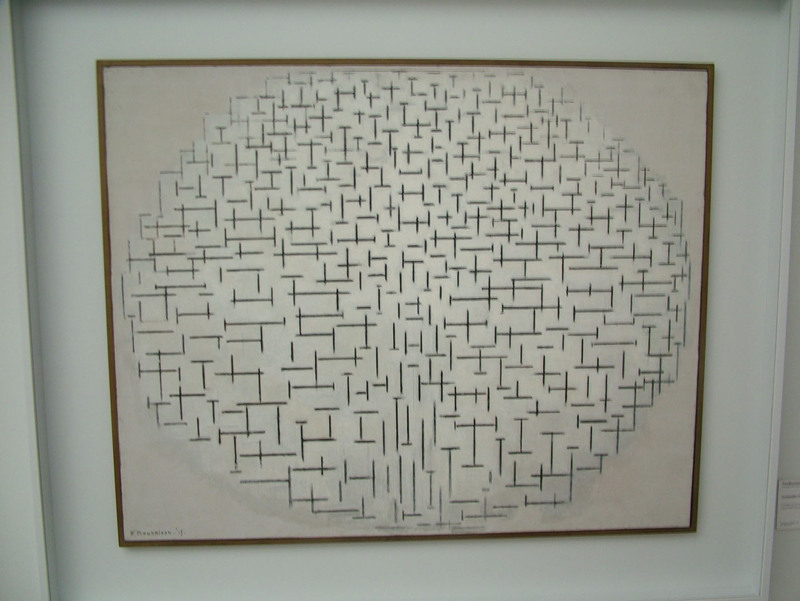 Continuity was opposed by complexity and contradiction as High Modernism began its decline in the 1960s, but if we look closely at movements and forms that stress continuity and economy of line we find that they existed long before Mad Men. 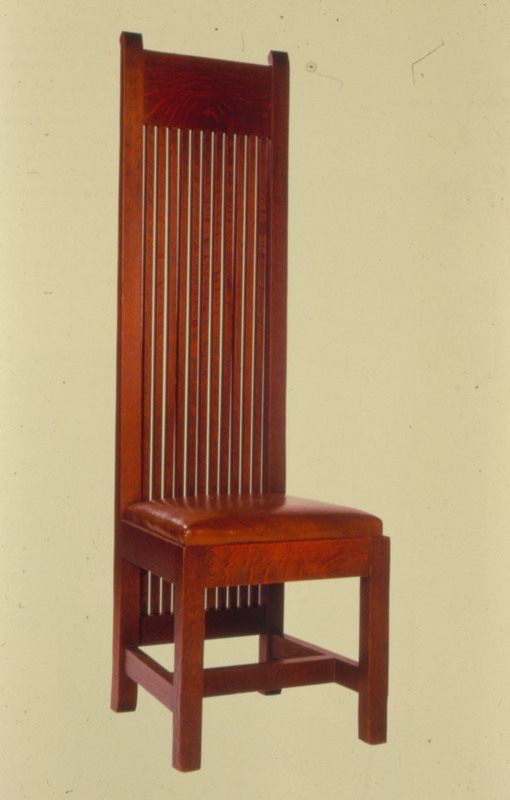 I was always stunned by the stuff of Biedermaier and Christopher Dresser in the first half of the 19th century because it was so…modern – but it was a century before modern. 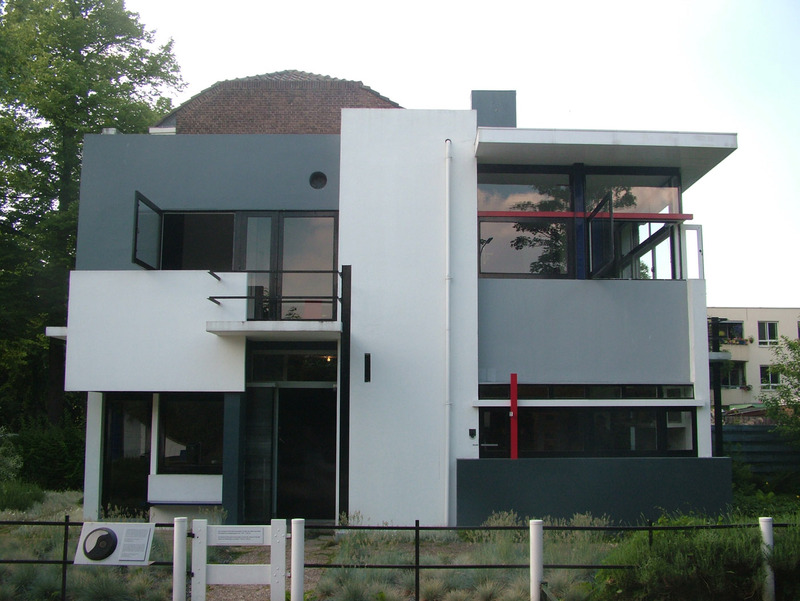 So we need a word for modern (and so does Dwell) and we have needed it certainly since Byrne and Feininger commisserated about it back in 1925 but maybe if we look past the time period toward the impulse – economy of form, continuity and clarity – we might get there. 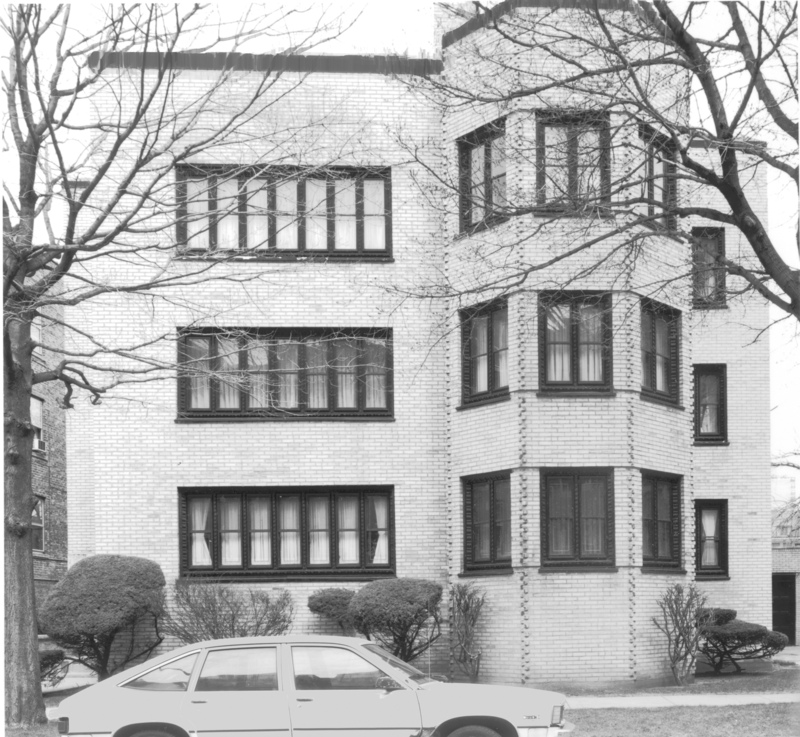 The issue in Park Ridge now is the altered studio buildings Iannelli worked in, buildings that housed such incredible designers as Annette Cremin (Byrne), Edgar Miller (subject of a great new book by Richard Cahan and Michael Williams), Bruce Goff, Ruth Blackwell, Margaret Iannelli, and many more. The story is best told by those closest to it in this blog. 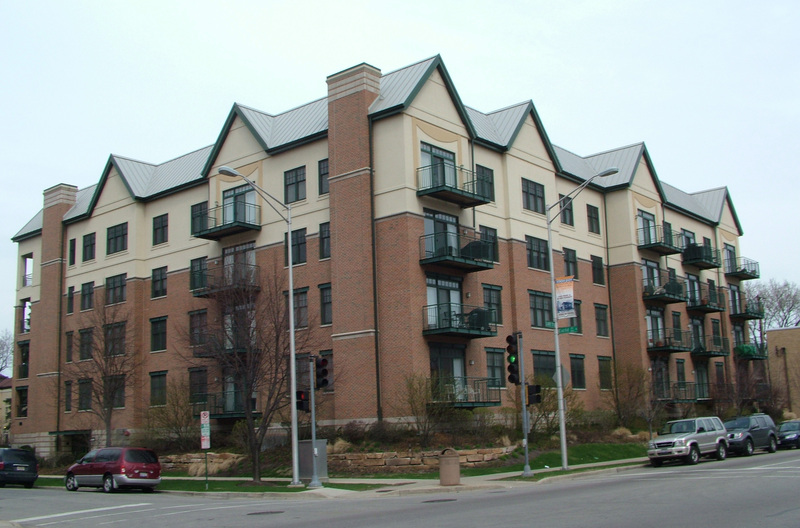 Park Ridge, like River Forest, is feeling the effects of not having a strong landmarks protection policy, and this issue adds to the weight of those irrevocable decisions which may lead to the creation of same. Here’s hoping. 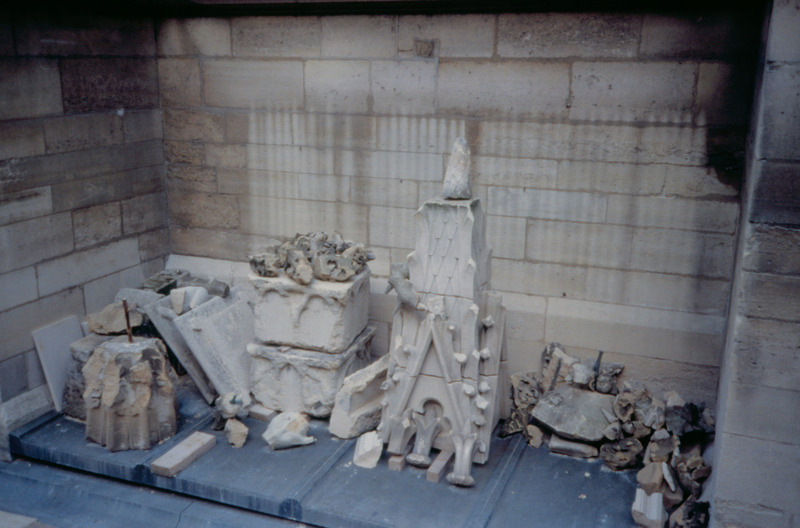 Thanks to Pauline Saliga at Society of Architectural Historians for providing the link to my current article on Byrne and Iannelli in JSAH online! 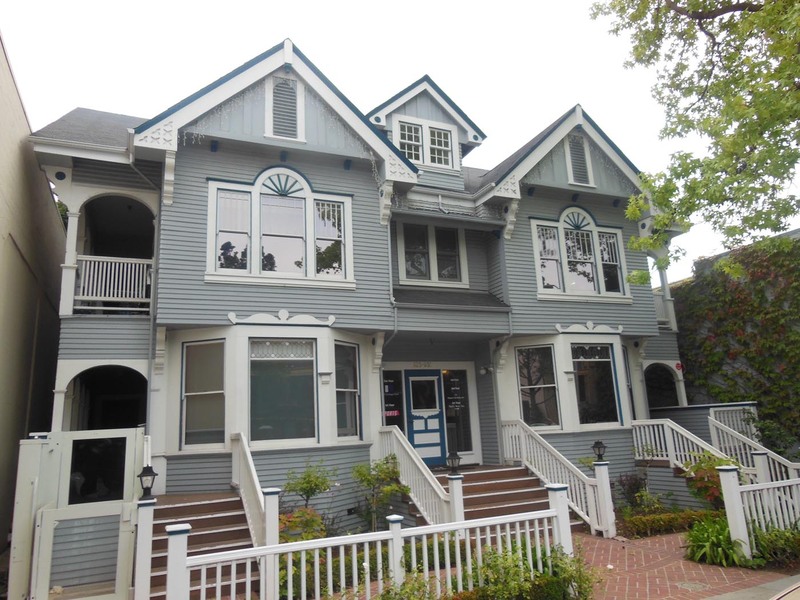 I am writing in opposition to the proposed zoning (Map Amendment)change from B-1 to R-4 at this property being presented to the Planning and Zoning Commission this February. This change would allow for the demolition of the Iannelli Studios and the construction of multi-family residences. 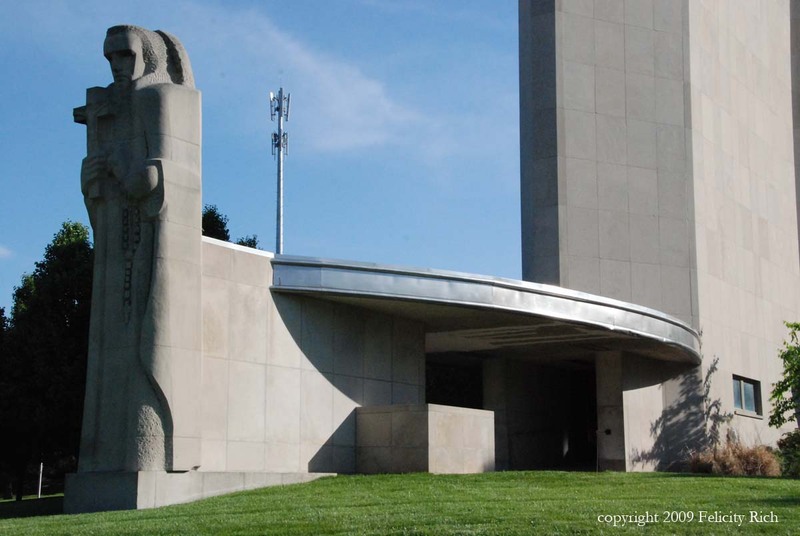 Alfonso Iannelli’s contributions to Chicago from the Century of Progress through the Prudential Building make this site worth saving, but the story is much larger. The Iannelli Studios have cultural and historical significance that reaches worldwide. I recently wrote an article on the 1924 trip to Europe undertaken by Alfonso Iannelli and his architect collaborator Barry Byrne. An on-line version of my article is available for free for a short time at http://jsah.ucpress.jstor.org. 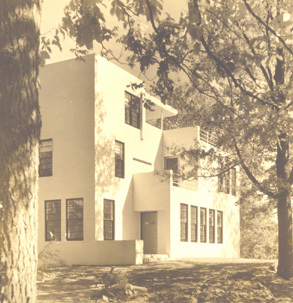 Nationally, the Iannelli Studios hosted such important artists as Edgar Miller, Bruce Goff, John Lloyd Wright, Ruth Blackwell, R. Harold Zook, Annette Cremin Byrne, Oliver Rush and many others. 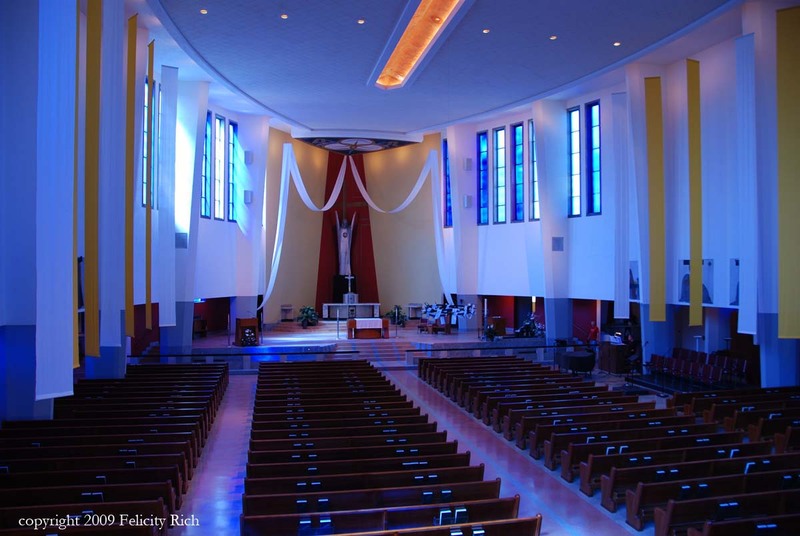 I have lectured on Byrne and Iannelli’s important church designs in Racine, Kansas City, Tulsa and many other locations over the last decade. 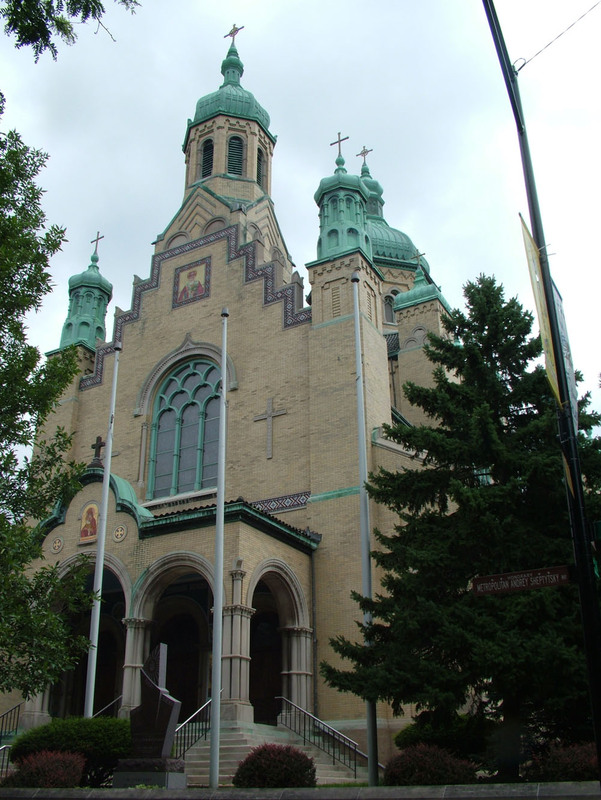 A revolution in the decorative and liturgical arts took place at this location, and despite some alteration over time, it retains this significance and grants Park Ridge a rare level of historic and cultural importance. SIX YEARS LATER: The Studios are preserved an a wonderful addition to Park Ridge. 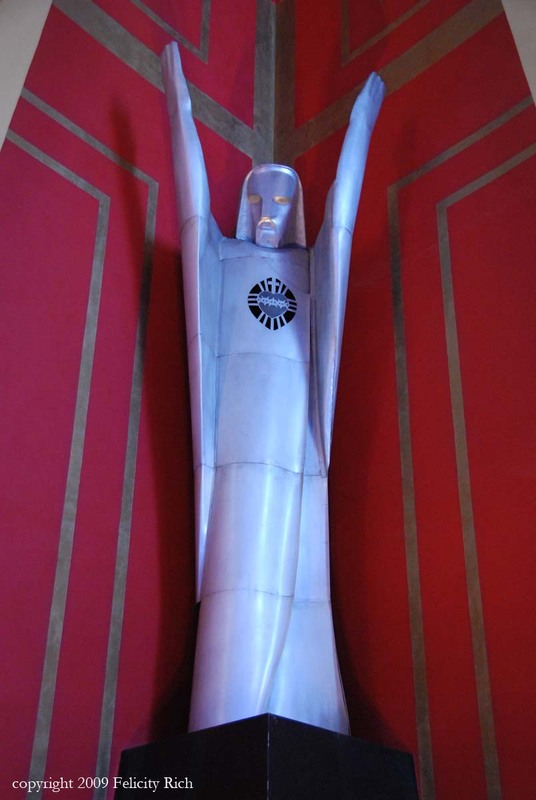 They have Edgar Miller’s Madonna statue that Iannelli designed and once stood atop the doorway at Byrne’s 1919 Immaculata High School in Chicago. 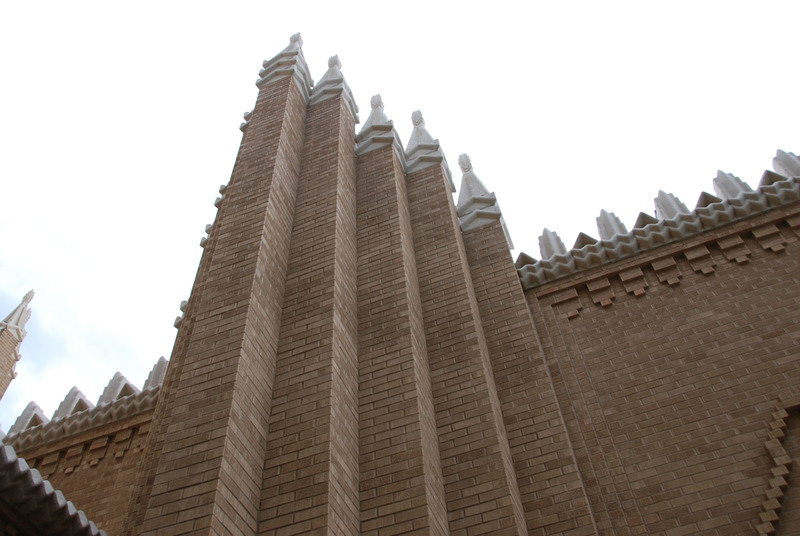 I was there Sunday for Ricbard Cahan’s talk about his new Louis Sullivan book. 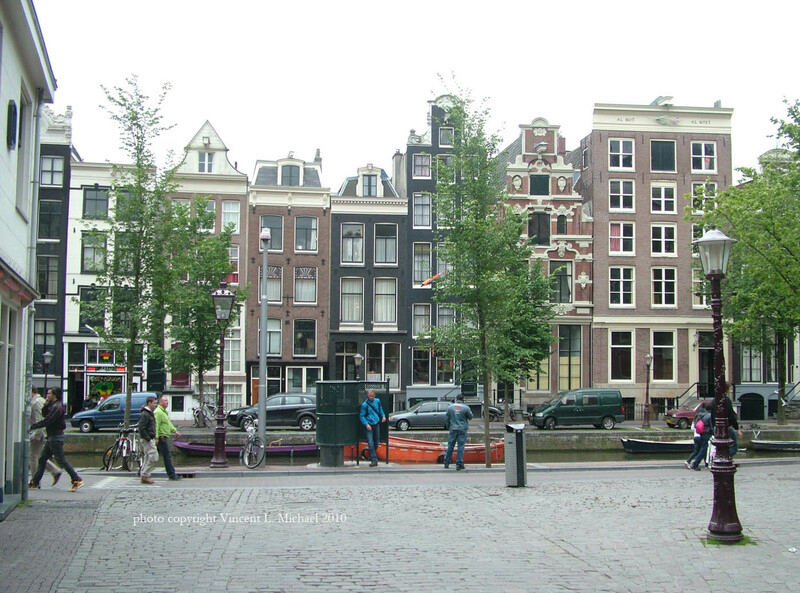 Amsterdam is a wonderful city for architecture and urban planning. I was struck on a recent visit by the Burgess & Parsons nature of the place: like Chicago it is a series of concentric rings that neatly describe the city’s development over time. You can actually tell how far you are from the center by the style of buildings. 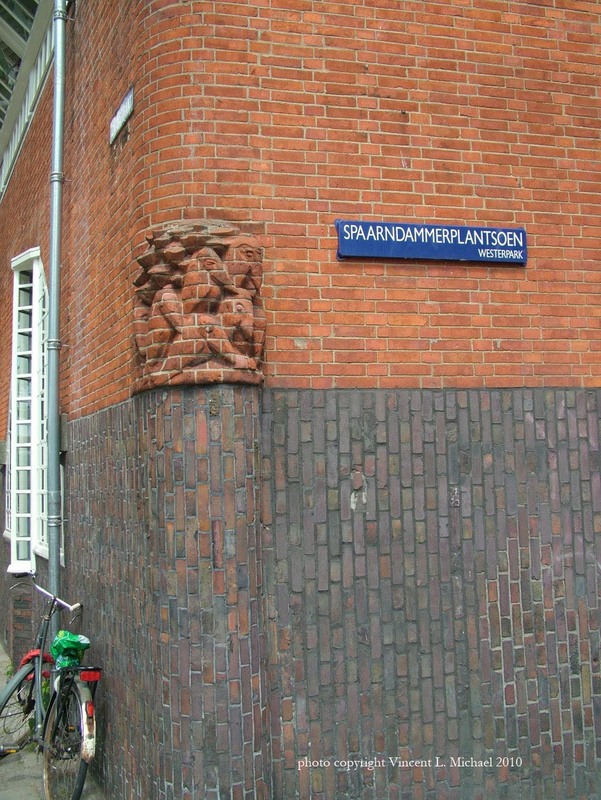 You begin in the center along the oldest grachten or canals, with 17th century buildings and even a few churches that are older. 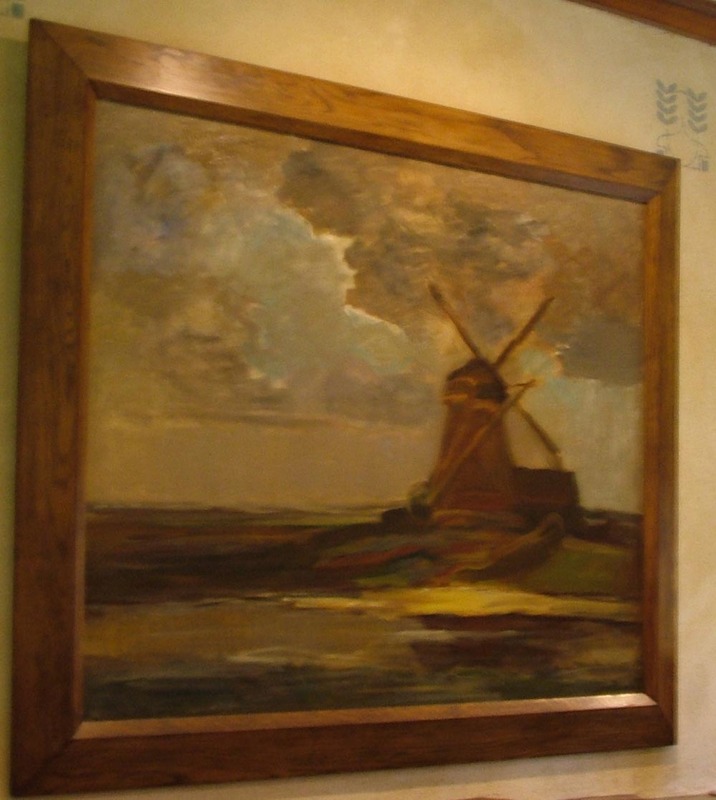 These reflect the Golden Age when Holland invented the global corporation and led the world in commerce. 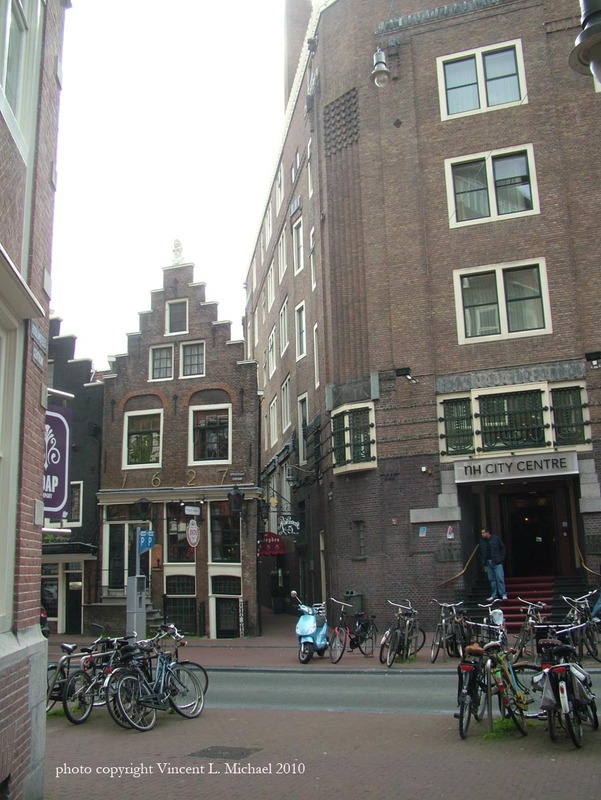 Stepped gables and narrow fronted deep buildings along canals define this period. This is then followed by an ring of mostly 19th century buildings in what we would call Victorian Gothic in America. 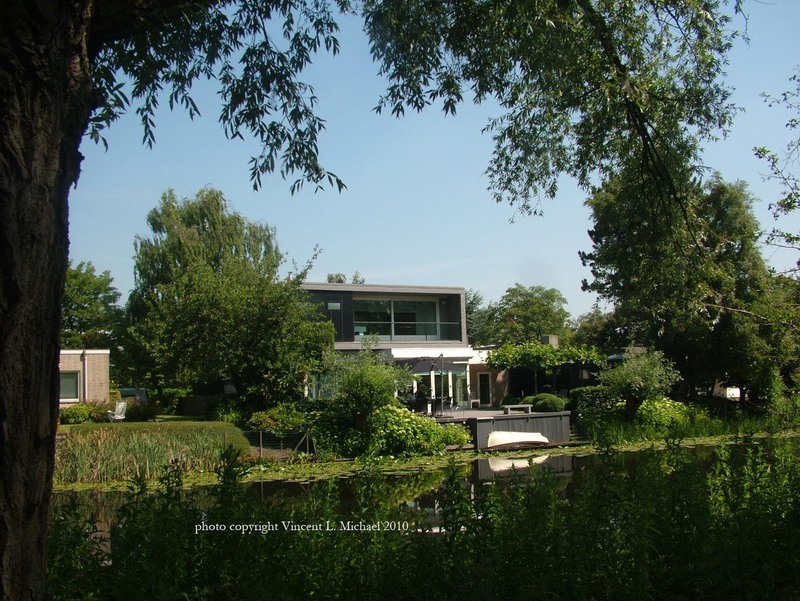 At the periphery, where we stayed, there is postwar development, towers in the park and neat square boxes of homes in typical International Style suburban developments, albeit with the usual Dutch obsession with the bicycle. But in between is my favorite part. 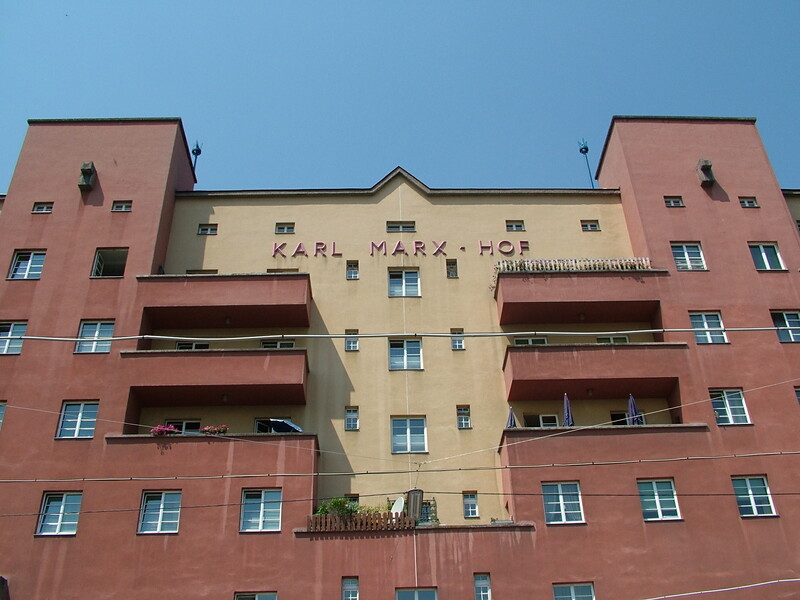 A full thick ring around the center of 1910s and 20s housing projects – the first modernists, all realized in an expressionistic vein in the 1910s and 1920s by idealistic, socialistic housing organizations. We saw these as soon as we took our first tram ride and they are mesmerizing. 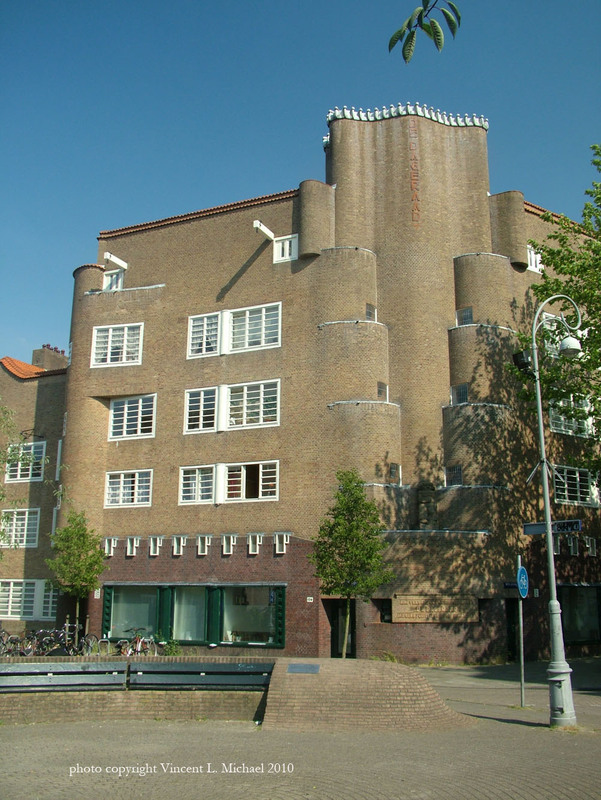 The planning of this ring was done by Berlage but the buildings were realized by the brilliant architects of the next generation, like Michel de Klerk, who did the internationally famous Het Schip for the Eigen Haard housing group. 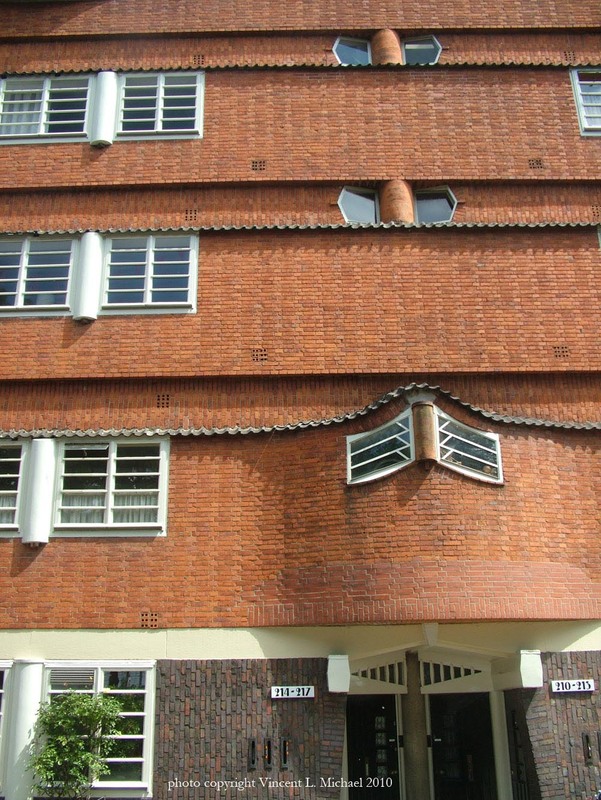 These architects combined their social ideals with expressive brickwork, sculpture and a warm, earthy modernism that contrasts strongly with the Neue Sachlichkeit that dominated the later 1920s on the continent. 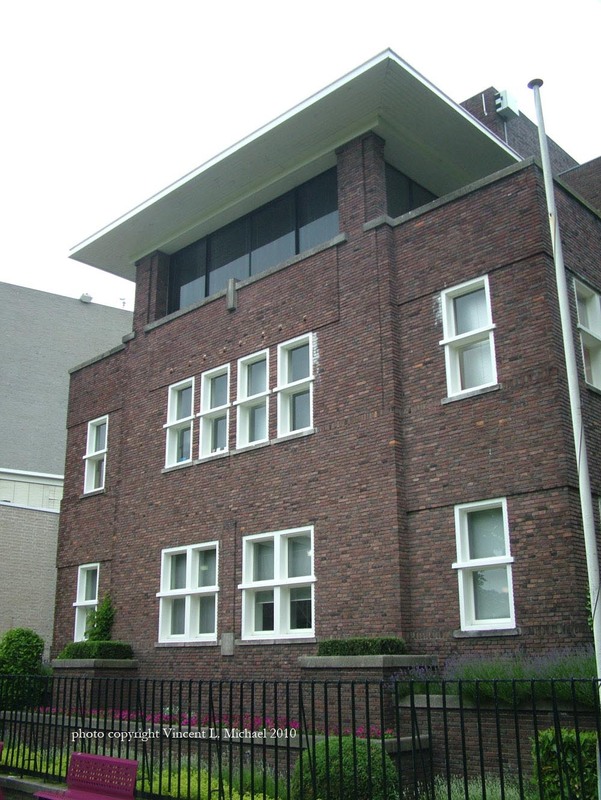 De Klerk was judged the best of the bunch by Barry Byrne, the Frank Lloyd Wright-trained architect who visited the city in 1924 and it was fun to be there looking at the buildings he saw. They look a lot like Byrne’s own buildings. 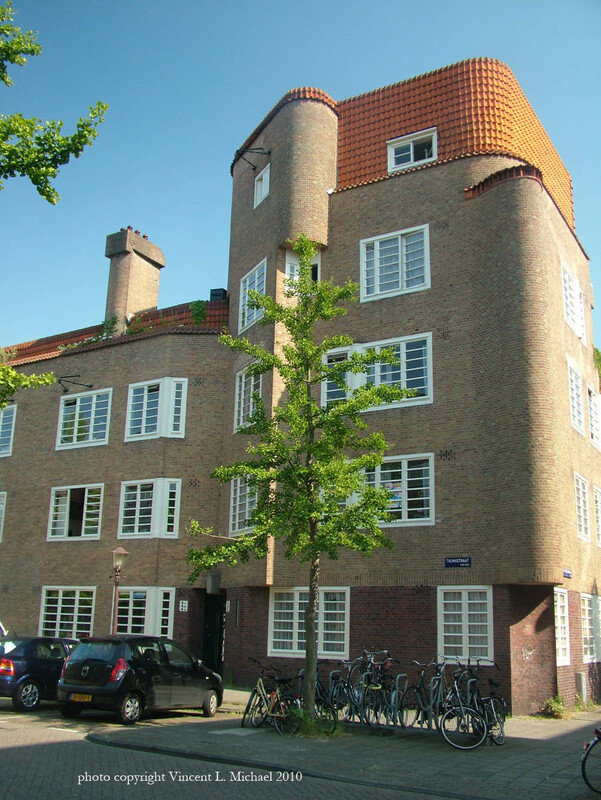 The Dutch modernists worked with sculpture and molded the brick into various shapes and colors, eschewing aesceticism and creating housing that is still vital and viable today. 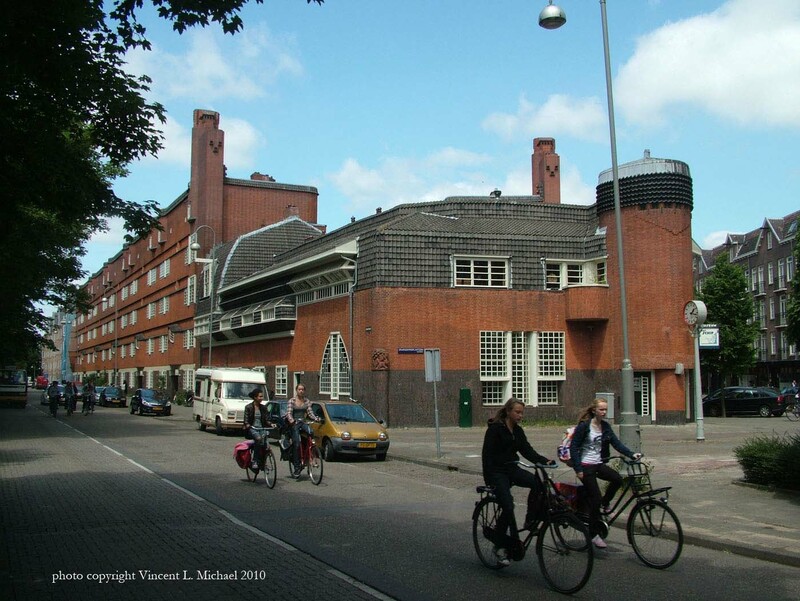 They actually have a museum of the stuff, up at Het Schip, the greatest of the projects, and possibly the most difficult to locate, but well worth the trip. There was hardly time to see and appreciate it all. 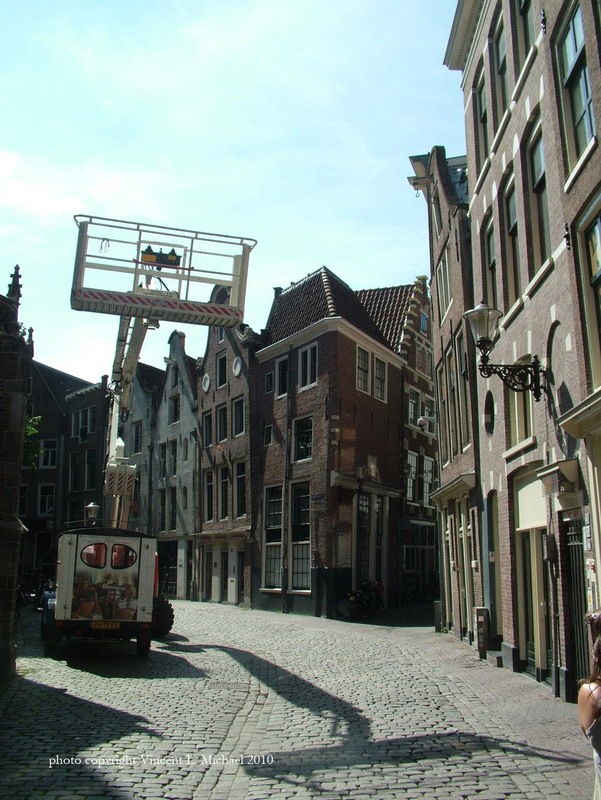 It is worth another visit and it is worth wider respect – it has started to creep into the guidebooks, but for most tourists, it is hard to see the city beyond the careening, tie-rodded ornamental gables along the grachten. But a visit to the ring that began a century ago is worth it. And they are preserving it. 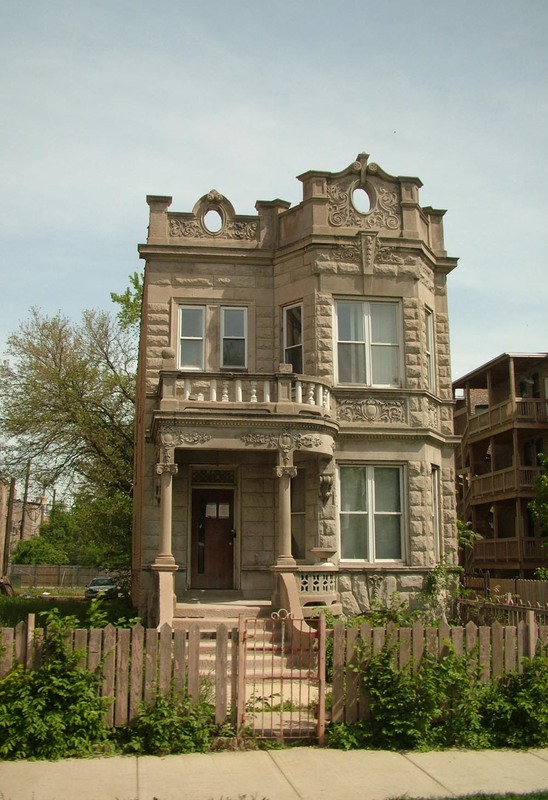 Twenty years ago when I worked at Landmarks Illinois, we did a survey and planning study of historic houses of worship in Chicago. 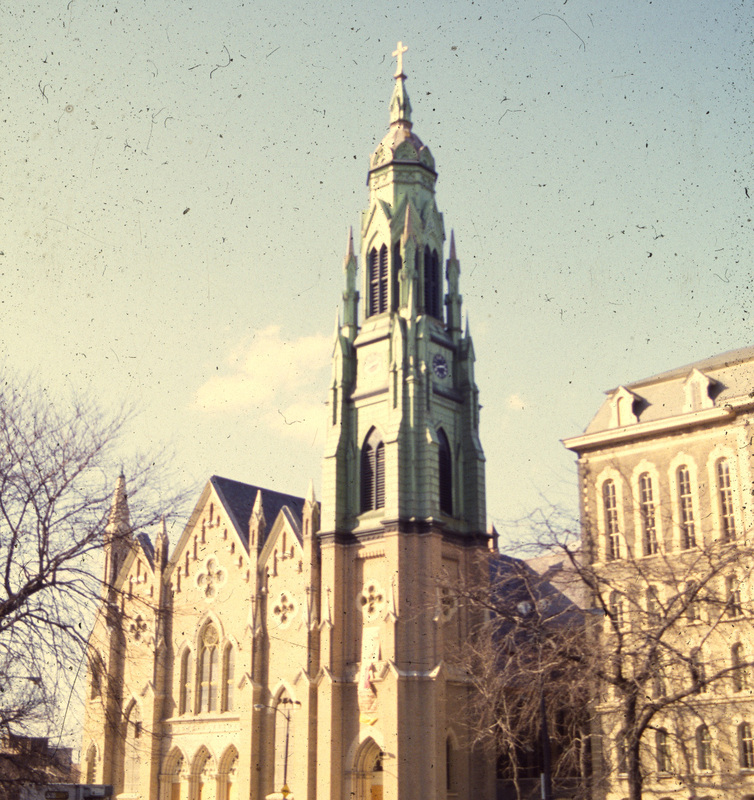 This was one of many preservation responses to a crisis in church preservation spurred on by the 1987 closing of two huge Catholic churches that were imposing neighborhood landmarks, Holy Family Church (1857) on Roosevelt Road, and St. Mary of the Angels Church (1920) in Bucktown. 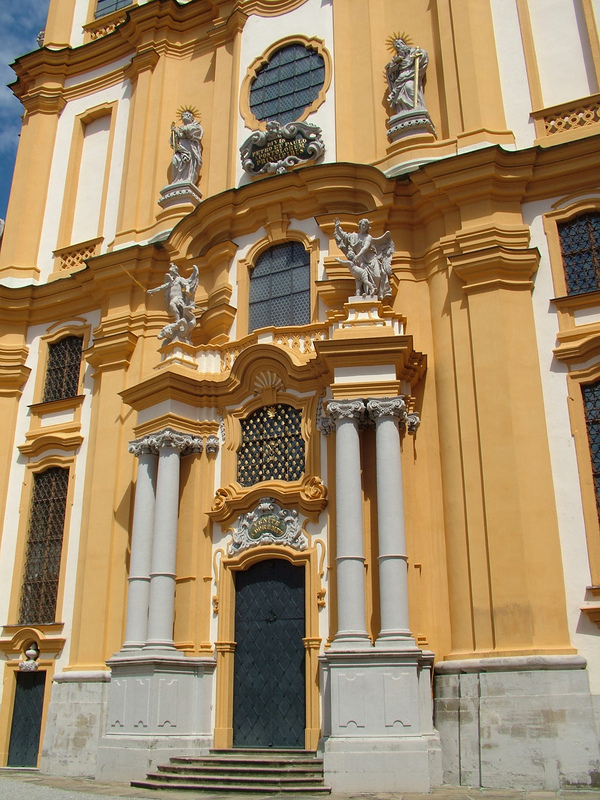 Both churches were ultimately saved, and restored, but a larger issue had been exposed to a wide public, and there were many responses to the crisis. 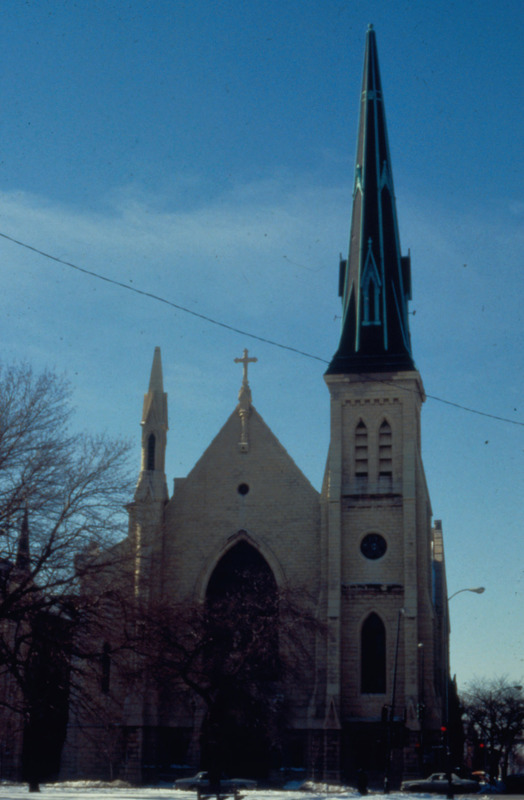 A new church preservation group was formed, a state legislature panel inquired into the problem, and a lot of effort was sponsored by local groups like Landmarks Illinois, including the survey, which was called Spires In The Streets. 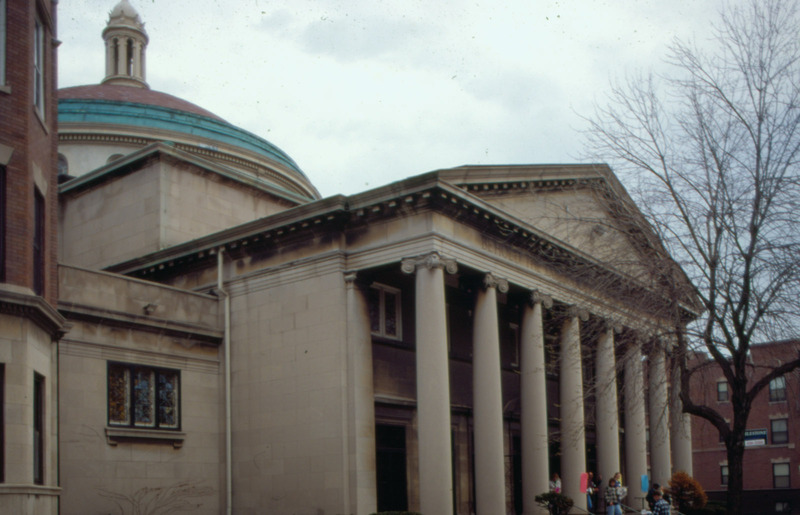 We also led church tours in the 1980s and 1990s, so I got exposed to dozens upon dozens of historic houses of worship in Chicago. I have my favorites. About four dozen of them. 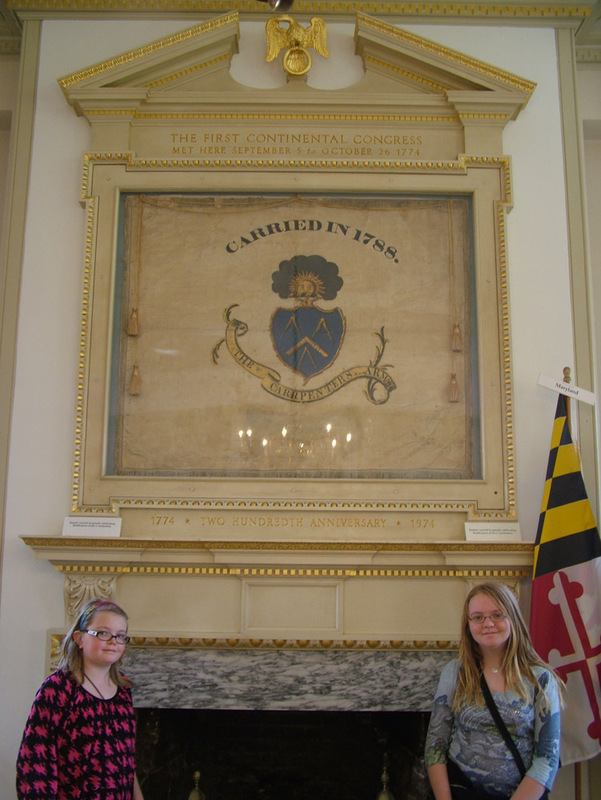 Here are a couple I have visited recently. Our Lady of Sorrows, West Washington Boulevard, East Garfield Park. This one (1890-1902, Englebert, Pope and Brinkmann) is a stunner. 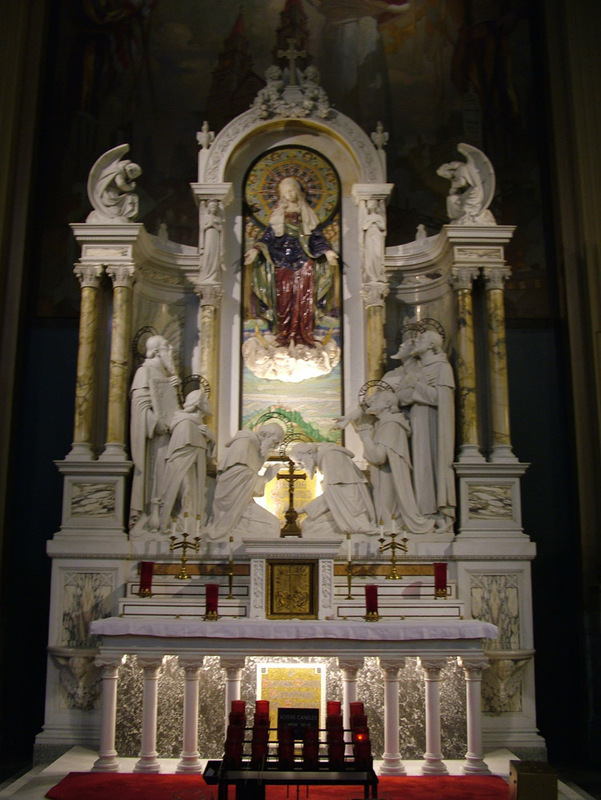 It is nice on the outside, but on the inside it is a revelation – like you are in St. Peter’s in Rome. 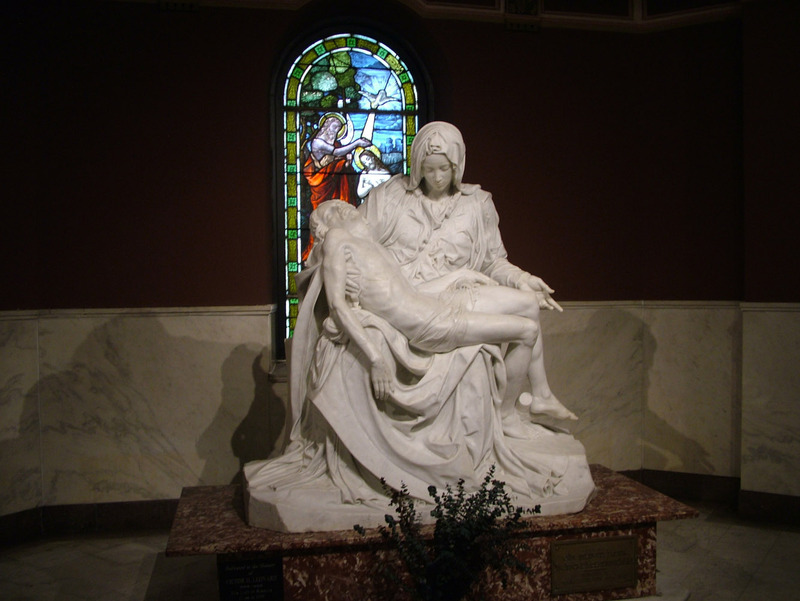 They even have a replica of the Pieta, and altars running up and down the side aisles. Last Thursday I was down at St. Thomas Apostle in Hyde Park, Barry Byrne’s 1922 attempt at the first modern Catholic church. I am actually there a lot, and our historic preservation graduate students did measured drawings of the building this past fall. 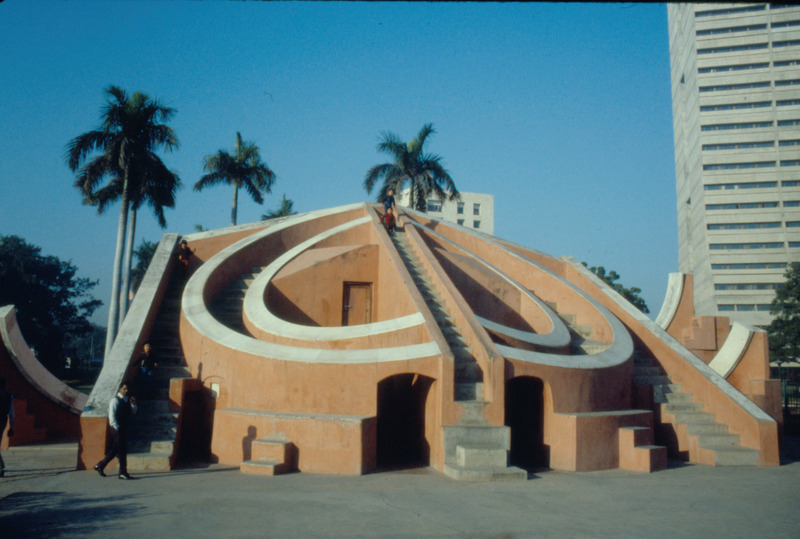 It’s modernity lies in the unobstructed interior and thrust altar, while the exterior is a warm skin of brick that wraps around corners with delicate serrations and hand-modeled terra cotta ornament that sets off the roofline and windows. There is no steeple or side aisle in this resolute but not strident modernist statement by a student of Frank Lloyd Wright. 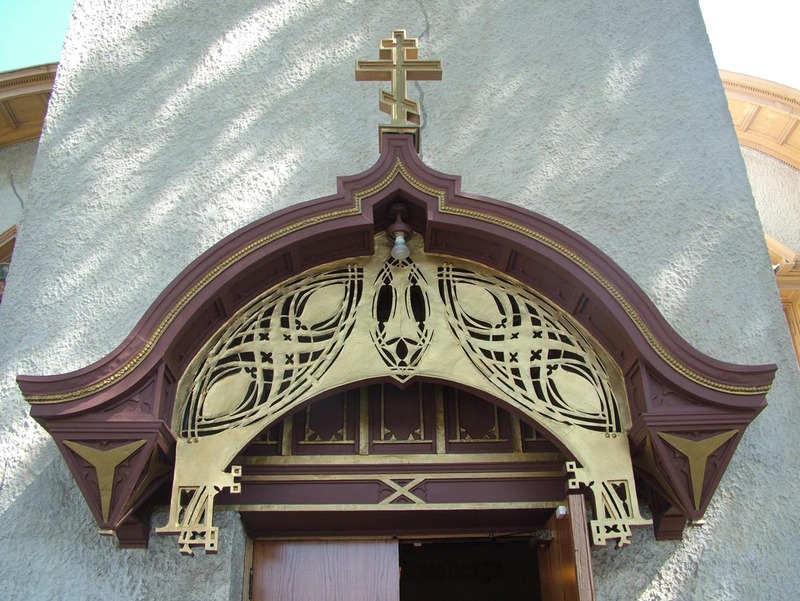 I paired St. Thomas Apostle on a tour last year with Louis Sullivan’s amazing Russian Orthodox Holy Trinity Cathedral of 1903, which is also being assiduously restored. But these all are somewhat well known – there are many that are undiscovered, or at least little viewed by those outside of their congregations because they are off the beaten track. 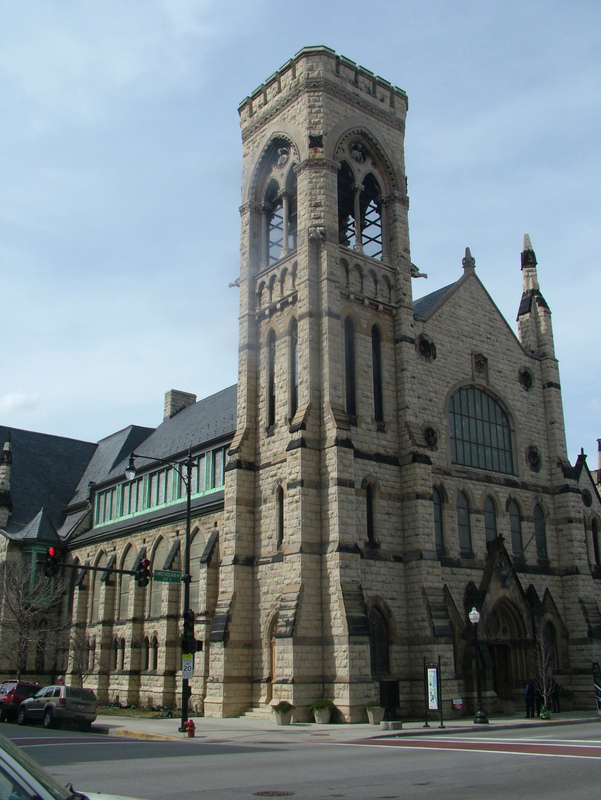 Metropolitan Missionary Baptist Church, built in 1899 by Hugh Garden as Third Church of Christ Scientist, West Washington Boulevard. First Baptist Congregational, built in 1869 by Gurdon Randall, on Union Park at Ashland. 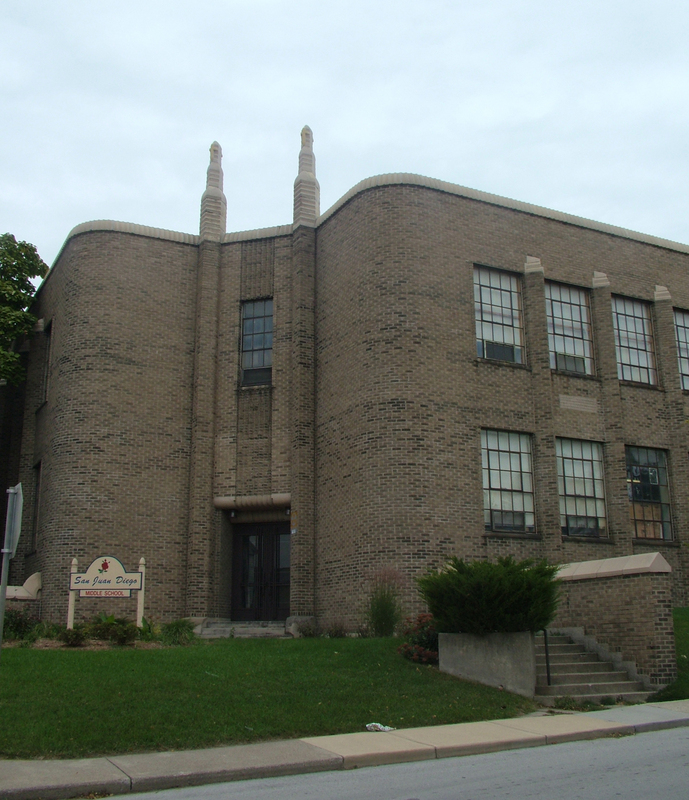 Metropolitan Apostolic Community Church, originally built as 41st Street Presbyterian Church by John Long, on South King Drive. 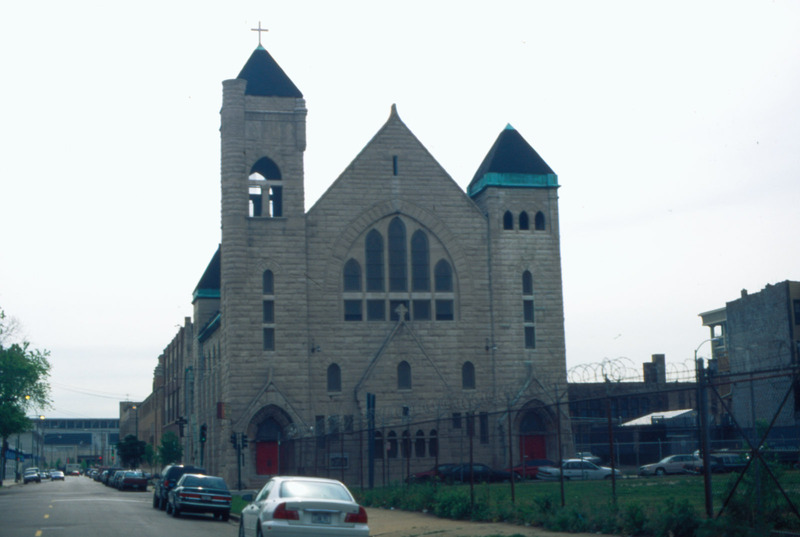 Quinn Chapel A.M.E., built by and for the city’s first African-American congregation in 1891. First Church of Deliverance, built by Walter T. Bailey in 1939 – an amazing Art Deco structure that pioneered gospel music radio broadcasts. Kenwood United Church of Christ, William Boyington and Otis Wheelock, 1888, made of Maryland granite and a great example of Richardsonian Romanesque style. 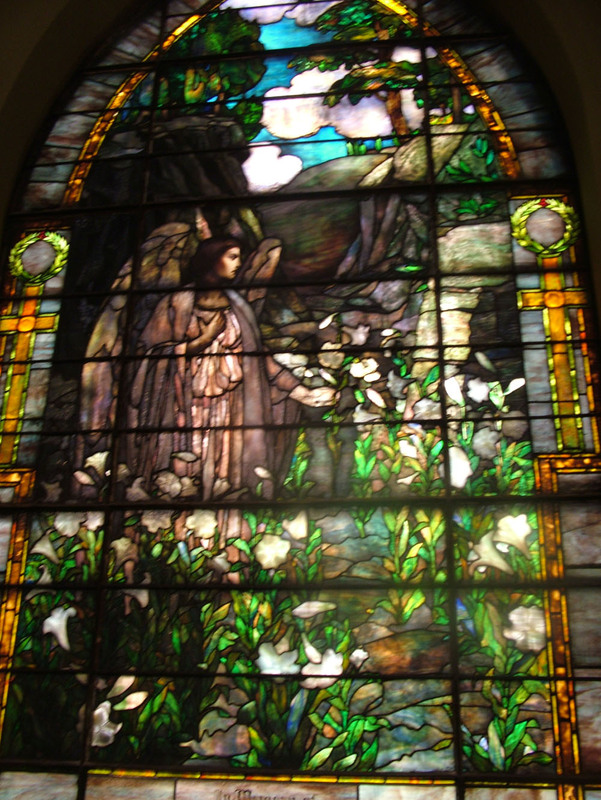 And of course, one of the great Chicago treasures: Second Presbyterian Church on South Michigan Avenue, with its awe-inspiring Arts and Crafts interior featuring the city’s finest collection of stained glass, including a wealth of Tiffany windows. Now, these last eight examples are all protected as Chicago Landmarks, and they all chose that status. 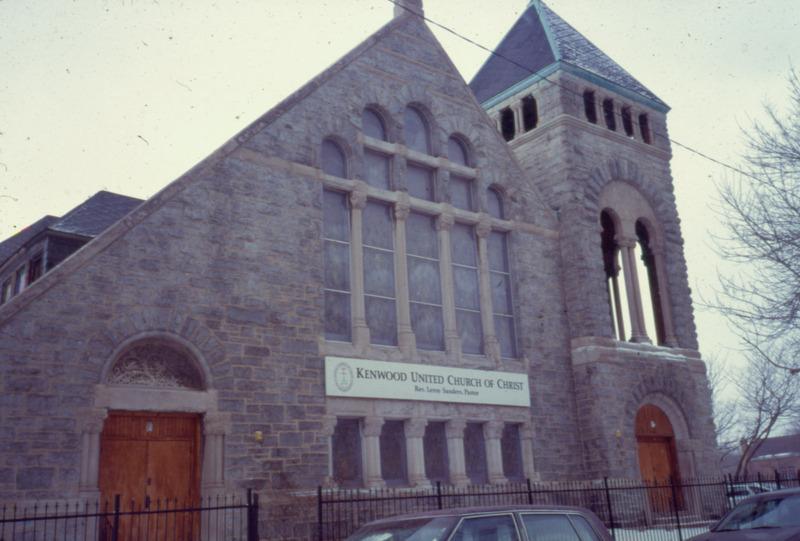 All eight (and many others like them) were landmarked by largely African-American congregations in inner-city neighborhoods. 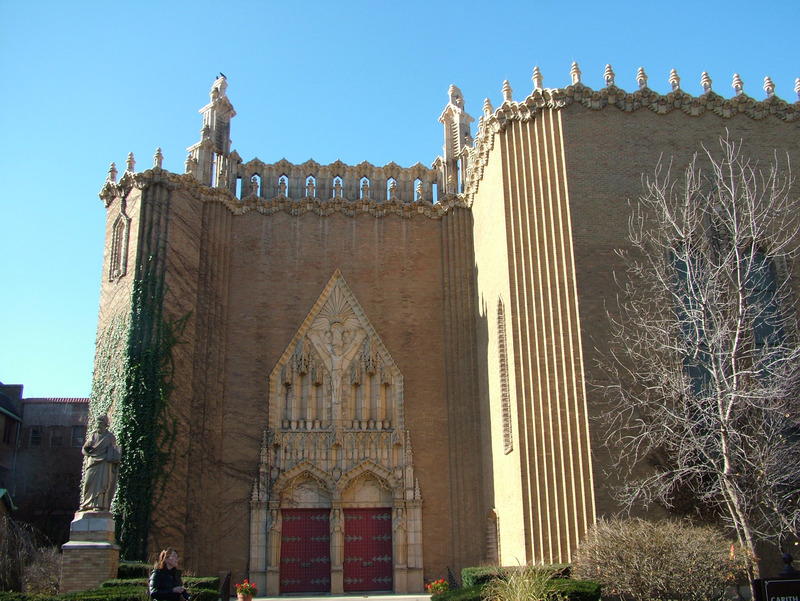 Chicago Landmark status was a way to save their church. 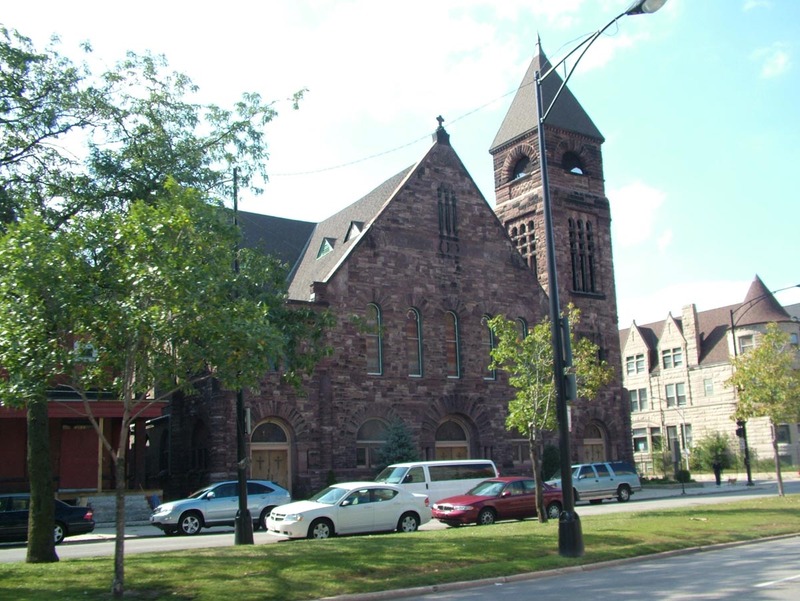 Most of the churches and other houses of worship in Chicago that are official Chicago Landmarks share these characteristics. 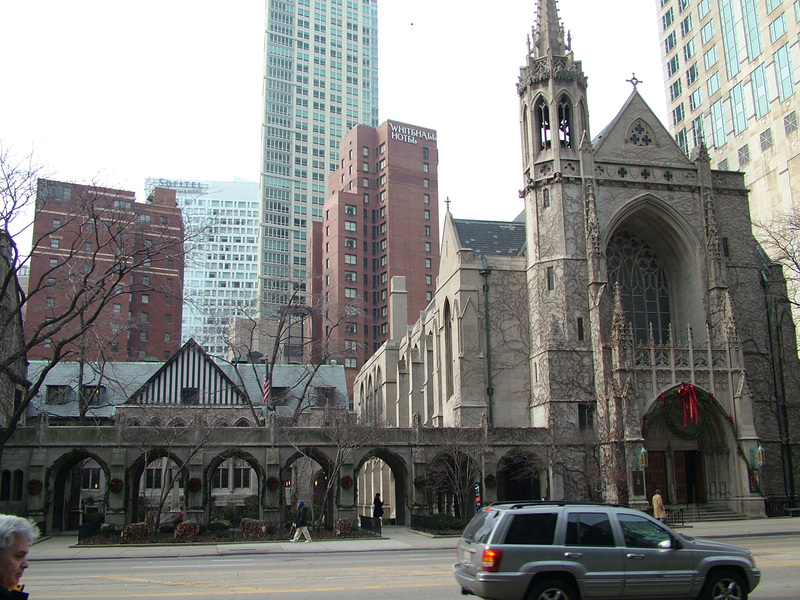 Back in 1987 the city attempted to landmark Fourth Presbyterian Church on North Michigan Avenue, a prosperous congregation in one of the city’s best locations. 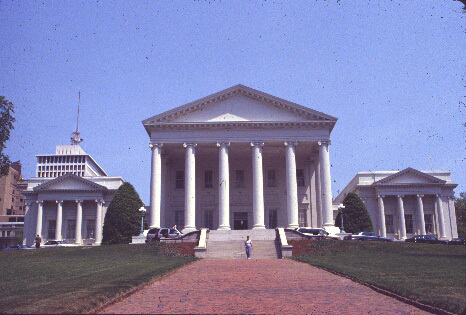 The resistance led to a change in the landmarks law that prevented houses of worship in active use from becoming landmarks unless they sought the status. 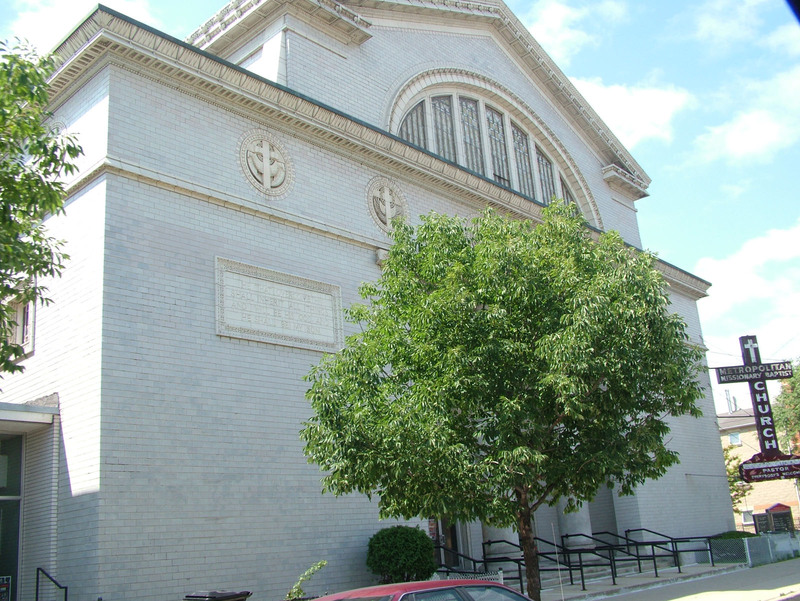 Of course, politically, few aldermen would landmark an active house of worship without the owner’s consent – it would be a bad move politically. So, in fact, most of the houses of worship landmarked before 1987 also actively sought the status. 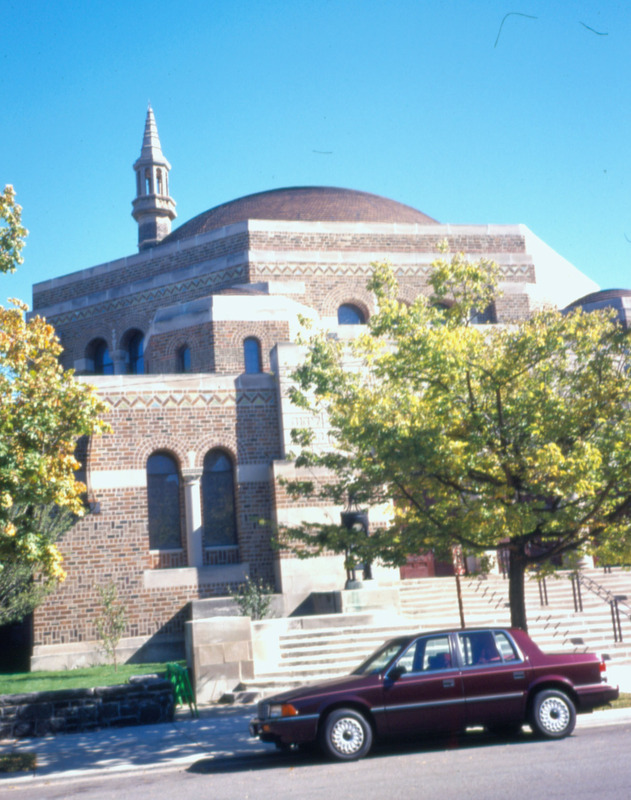 This of course, is K.A.M.- Isaiah Israel synagogue, a Chicago Landmark built in 1922 by Alfred Alschuler. It is now the SAFEST place on earth to attend services, because it sits across the street from Barack Obama’s house. 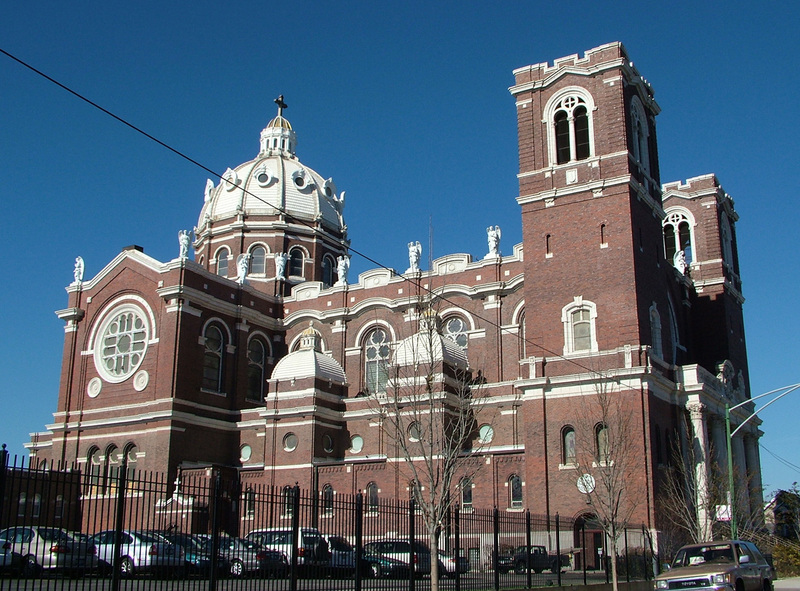 The effort to preserve historic houses of worship received another boost last year when Chicago again became home to a preservation organization focused on this problem – Partners for Sacred Places, founded in Philadelphia in 1988, opened a Chicago office led by Gianfranco Grande. 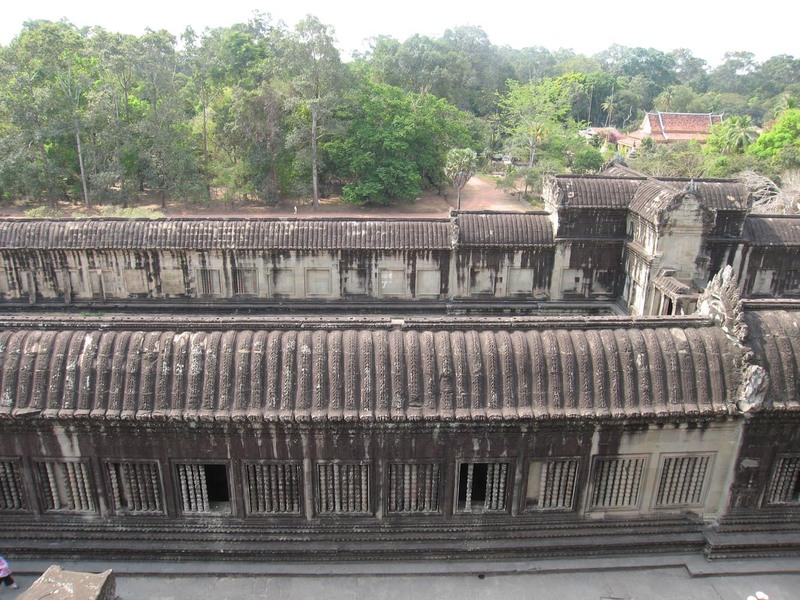 If I had a spare minute, I would help them out, because they are doing great work helping congregations learn how to preserve these often challenging, large buildings. 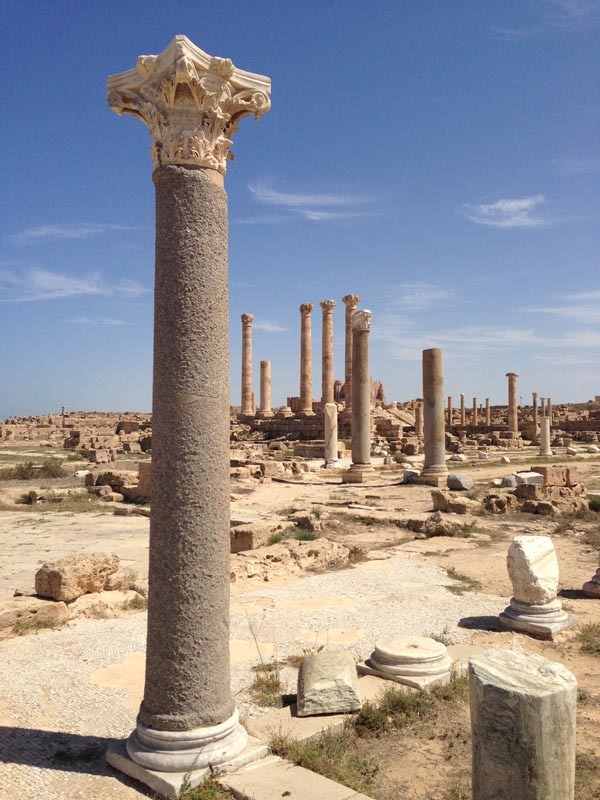 I have more favorites to show you, but it will take several more blogs to do so…. 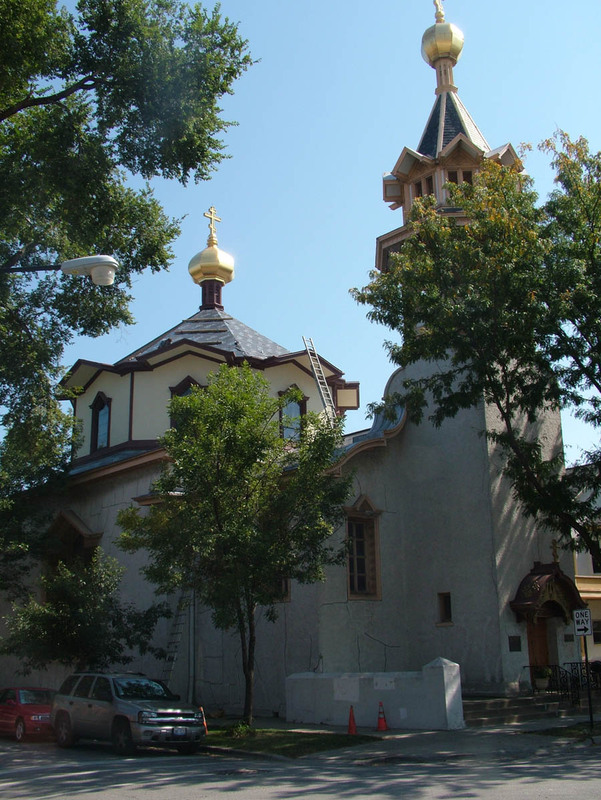 Always liked St. Nicholas Ukrainian on Oakley – Worthmann & Steinbach, with 13 domes and great murals added for the millenial celebration in 1988. We had our National Trust Board meeting in Kansas City last week, showcasing a city where preservation has made a palpable difference, notably in the downtown Library District. 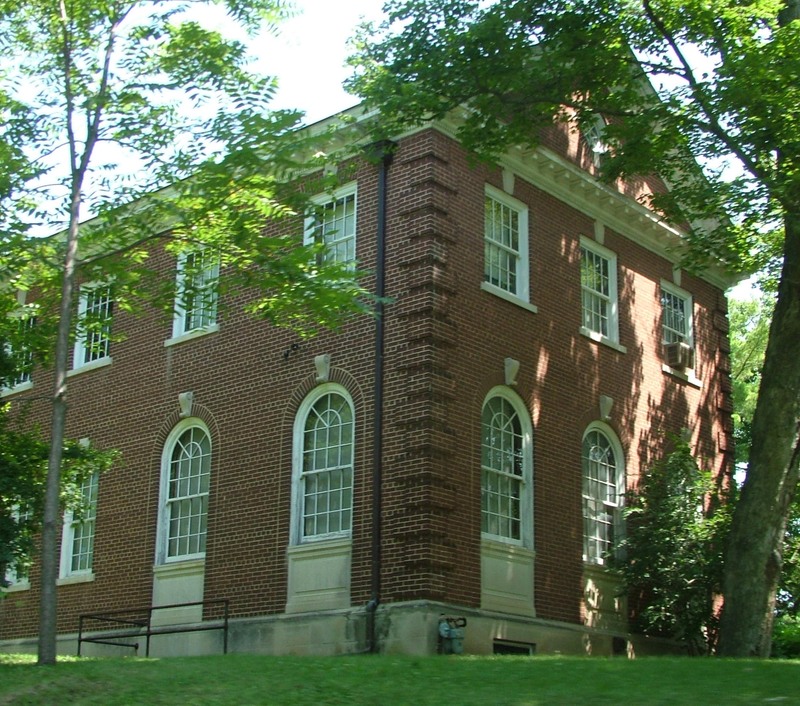 Chair Emeritus Jonathan Kemper led the effort to convert a former bank into a library – taking advantage of the fact that both banks and libraries in the early 20th century relied on the Classical Revival. The interior was done VERY well, using the open plan of the lower banking floors and somehow making the upper stories work, tucking an added floor in without being visible to the street and finding an interior architecture that was an enthusiastic about Classical Revival as the original architects were. A building well preserved always leads to more restored buildings in the area. No visit to Kansas City is complete without paying your respects to the Guanyin at the Nelson-Atkins, a Liao dynasty polychrome wood masterpiece that assimilates the cultural swell of Northern Song landscape and calligraphy with a millenium of Buddhist imagery and balances it upon the tipping point of the Asian feminization of the Boddhisatva Avalokiteshvara. and of course, Barry Byrne. 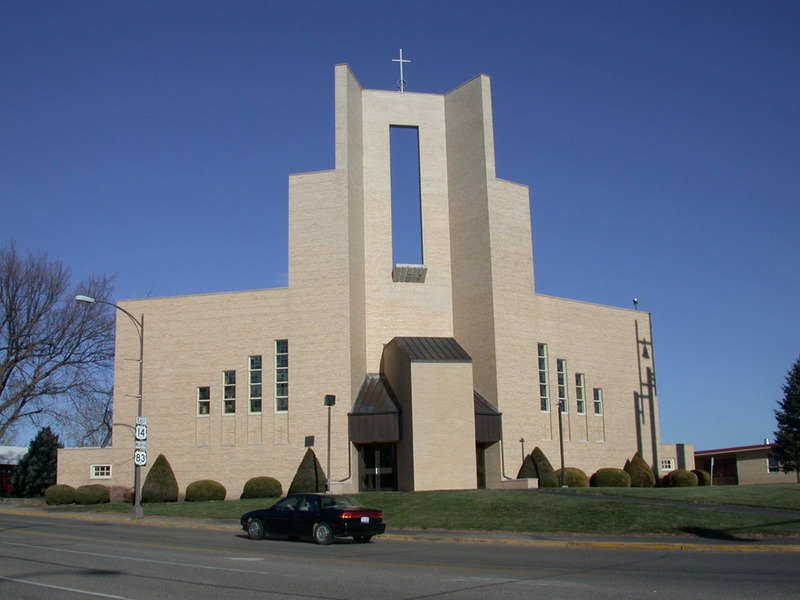 I have written the (unpublished) book on Barry Byrne and I have had the good fortune of lecturing at several of his structures in the last year, including the Church of Christ the King in Tulsa and Academie Ste Cecile (former Holy Redeemer Seminary) in Windsor. The parish of St. Francis Xavier invited me to speak for their 100th anniversary and it was a great opportunity for several reasons. NOTE: All of the following photographs are by Felicity Rich (www.felicityrich.com). 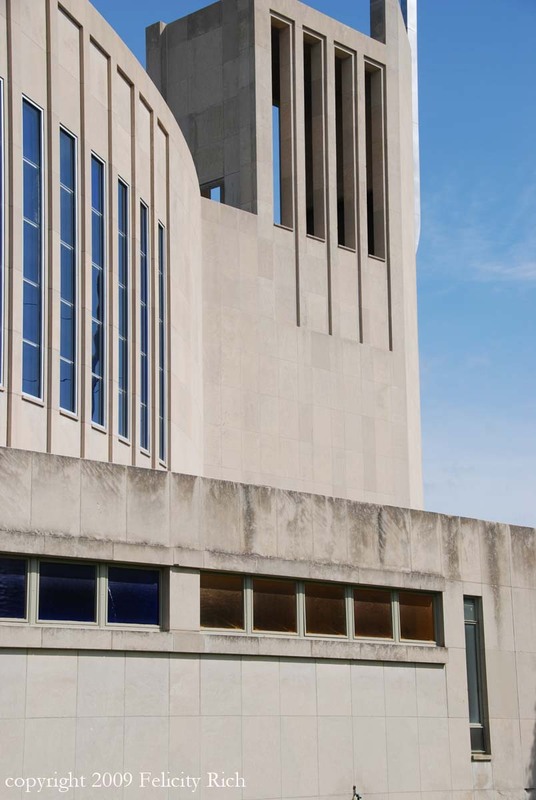 Reason one is of course that this church has a congregation and ownership that understand what a great building it is and have respected and cared for it so that it continues to serve the ecclesiastical purpose Byrne designed it for 60 years ago. Architect and parishioner Reeves Weidemann showed us what he did, which was marvelously minimal. 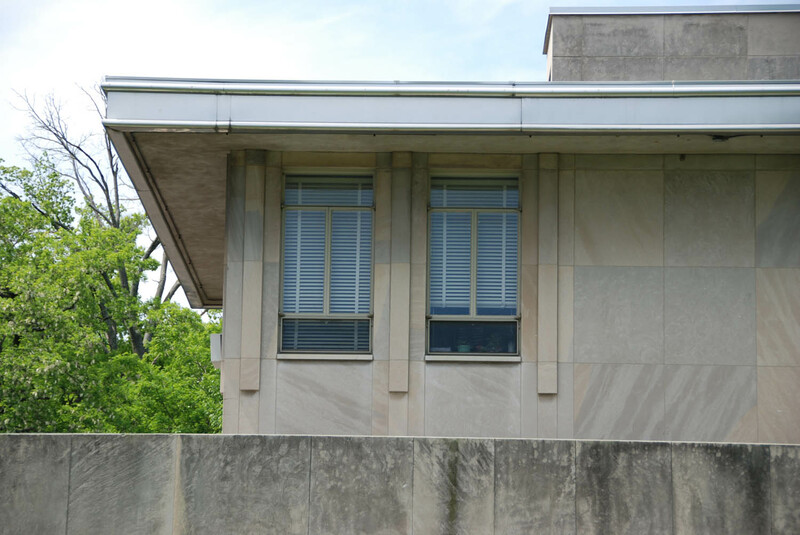 They cleaned the upper reaches of the dramatic limestone exterior, a great elliptical sweep of smooth mid-century modern solidity made more solid by the judicious and careful application of voids and suggested voids. Look at how artfully be balances the verticals and horizontals into a moving, breathing architecture. This is the first fish-shaped church (sorry Harrison – you were five years late) but Byrne of course would never design for symbolism. 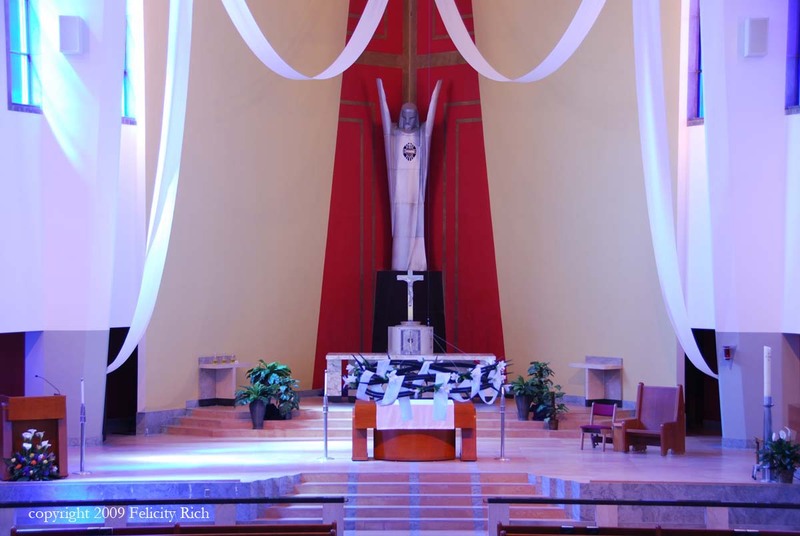 He chose the elliptical form because it focused attention on the altar. And at the dedication, Rev. Daniel Lord, S.J. spoke of the fish symbolism – the first symbol of early Christianity, long before crucifixes were employed – but he also spoke of the exterior as a ship steaming into the future, and it really does look like that. 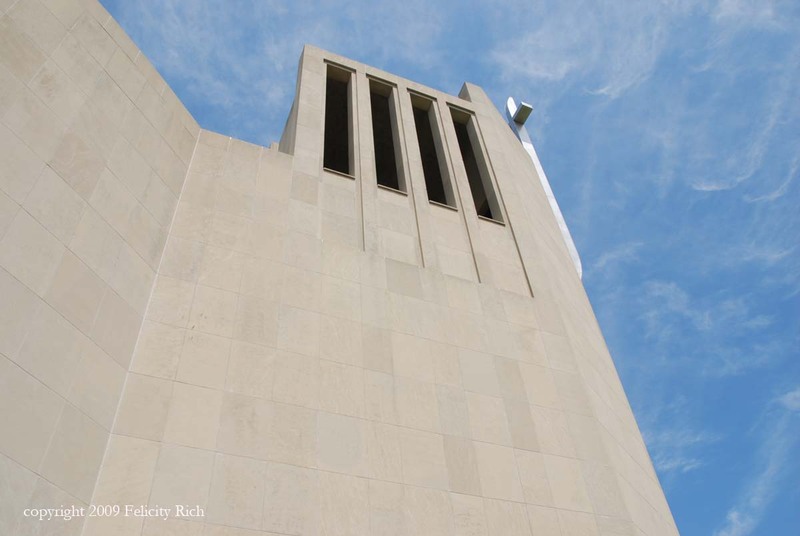 The wedge of the tower carves into the air and the side aisles and pointed prow of the porte cochere, extended to a massive limestone Iannelli sculture of Xavier make the church appear a sleek dreadnought. 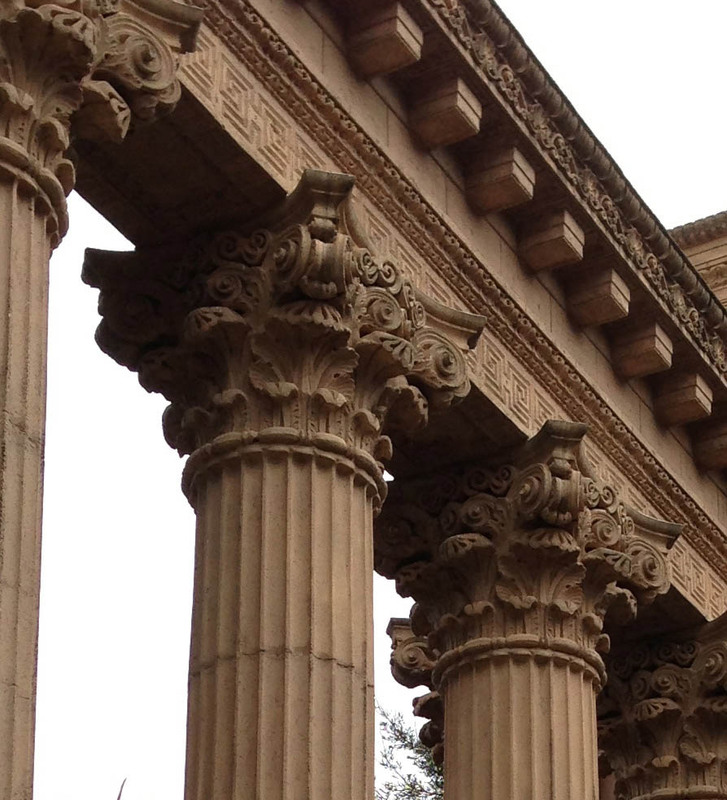 This is a dynamic architecture, not the last bit static or the least bit dated. 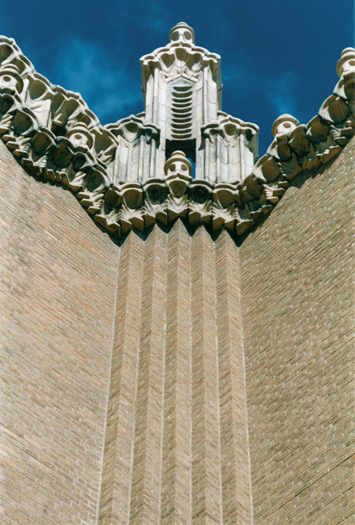 Byrne loved Chartres because it was architecture, and as Reeves said in introducing me, timeless architecture is like that – it always looks good and works well because it is not about fashion. 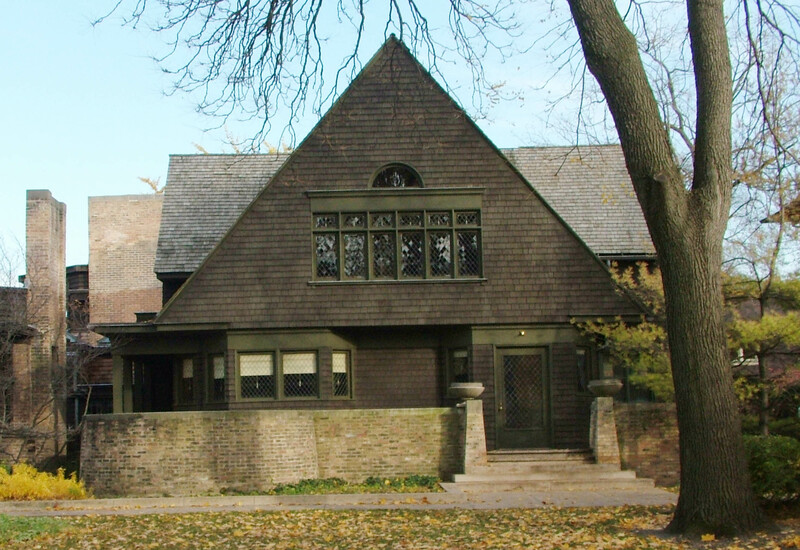 There is even an echo of Byrne’s experience as the constructing architect of Oak Park’s Unity Temple for Frank Lloyd Wright in the attached rectory, whose cantilevered roof slabs and banded windows recall Byrne’s Prairie schooling. 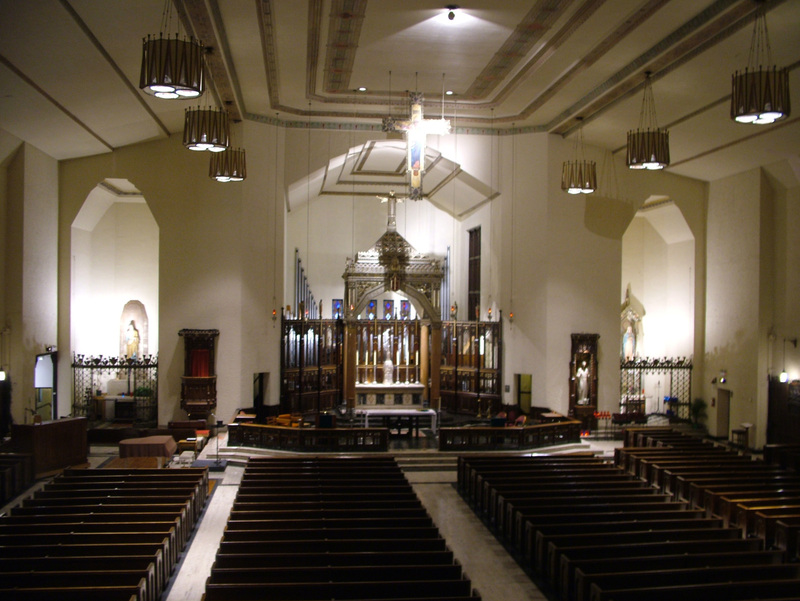 We first visited St. Francis Xavier in July 2001 and we were pleased with how well it had survived. The sleek steel cage baptistery and raised mother’s room survived in the rear, and I first witnessed the visual logic of this amazing interior. The communion rail which the framers of Vatican II found divisive is a thin slab of black marble atop rectangular balusters that match the stone behind, so when you are seated it dissolves into a simple black line. Every element of the interior, from the windowless center of the nave to the ridge light force your attention forward to the altar. 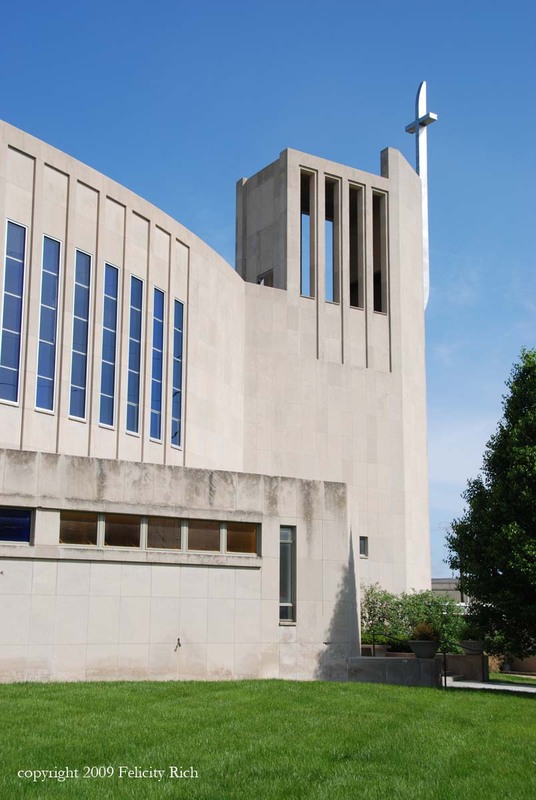 The piers supporting the elliptical clerestory are wedge-shaped like the tower, their lower portions painted gray so they disappear and the nave hovers in blue and white light, a paramount example of the spirituality of abstraction. I heard they had made the church more accessible, and feared the worst, having witnessed so many clumsy architectural felonies in the name of ADA but no, Reeves created accessibility behind the chapel, not disturbing the original sanctuary, proof that with good architectural thinking, there is always a way to do it right. 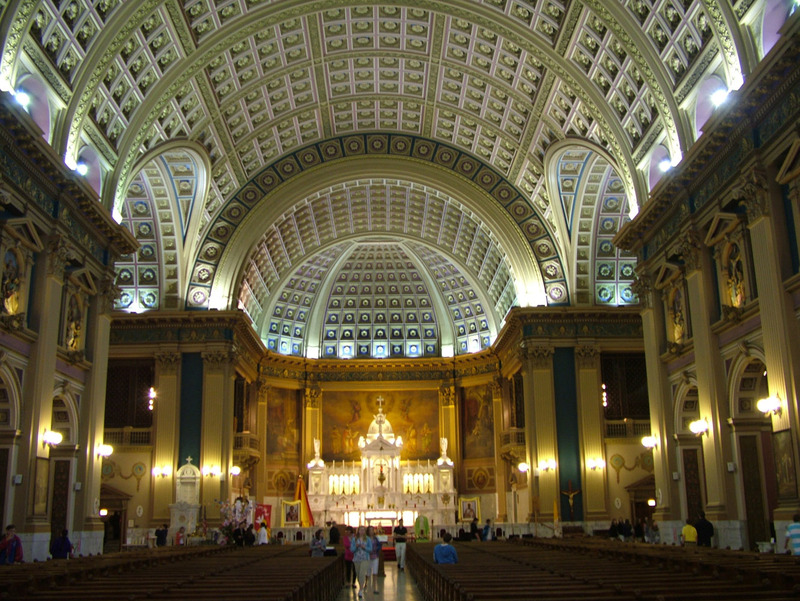 They also carefully saved the exquisite interior painting scheme, which was originally balanced by low amber windows, replaced in the 90s with blue because late afternoon sun was too harsh and Byrne designed prior to the advent of evening mass. 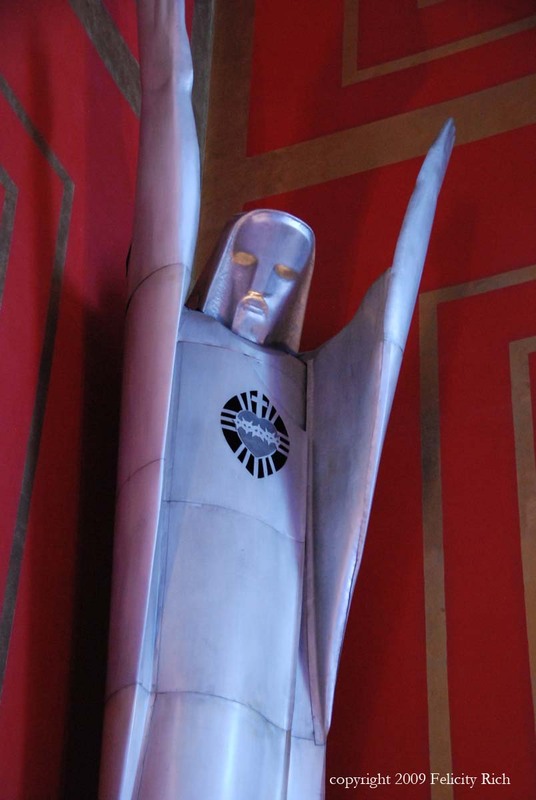 Byrne and Iannelli considered this perhaps their greatest work, and Iannelli was in the zone, from the forceful exterior Xavier emerging from the rough limestone to the towering aluminum Christ as Sovereign Priest that makes the incredible visual sweep of the interior worthwhile. 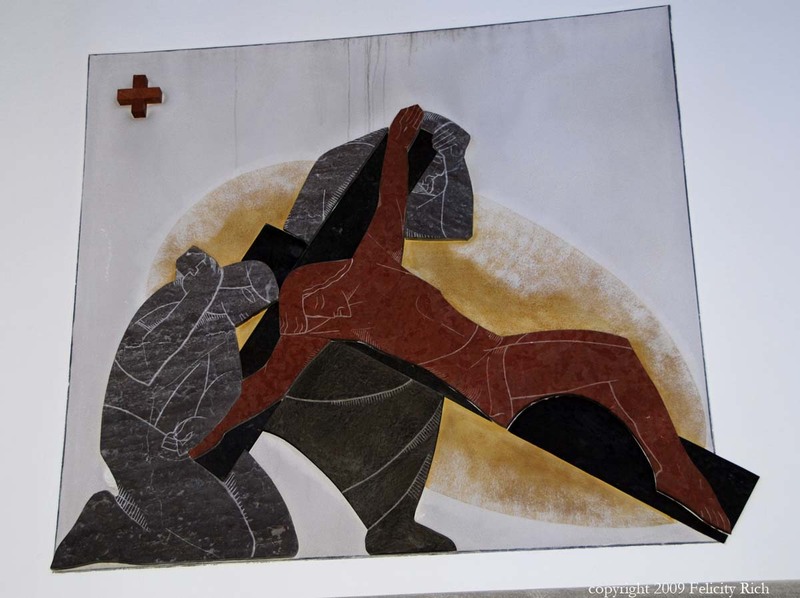 Iannelli’s incredible stations of the cross are perhaps even more amazing than his singular sculptures because he crafts whole narrative worlds with deceptively minimal gestural forms and simple incised lines – there are no wasted strokes here. Like my visit to Tulsa and Windsor (and Racine and Chicago and St. Paul) I was impressed with how well the community is taking care of Byrne and Iannelli’s design. Perhaps all it takes is the recognition of what that design gives to the community. This is a fundamental preservation precept: landmarks give something – a enduring and inspiring place for spiritual, communal celebration, in this case – and the community responds by maintaining that place. A building like St. Francis Xavier I think gives the lie to the Goethian quote about architecture being frozen music. It isn’t frozen at all – it is dynamic and living. 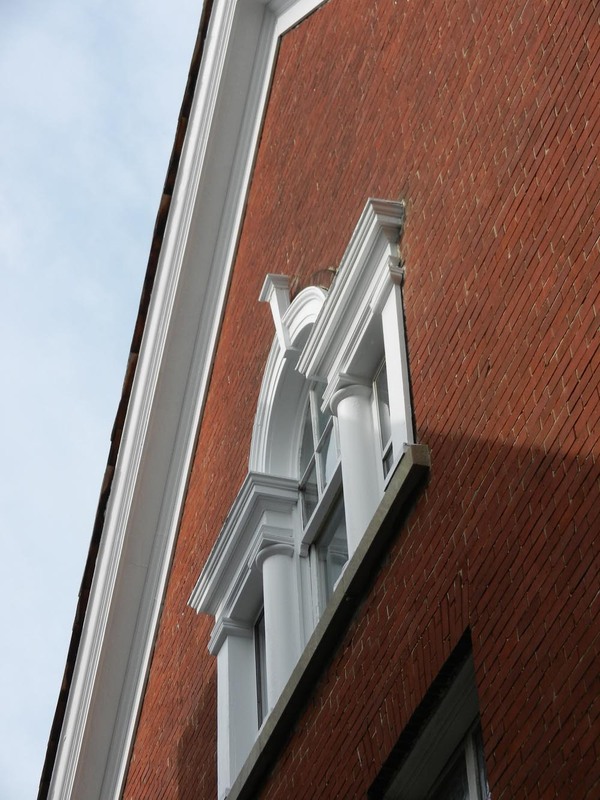 We preserve buildings not to freeze them but to perpetuate their vibrant and living dynamism. Some people get that. 1. Another detail about the landmarks ordinance strike-down: the plaintiffs (and no one plaints like these whingers) represented two landmark districts where there had been previous attempts to downzone. This makes the decision slightly less nutzoid – perhaps they thought they were following takings precedents focused on the character of government action. It is still an incorrect decision – those precedents focused on unfunded government programs replaced with regulation, not two types of regulation – but this expains why Jack Guthman was quoted in the story, since he loves to say that landmarking is sneaky downzoning. 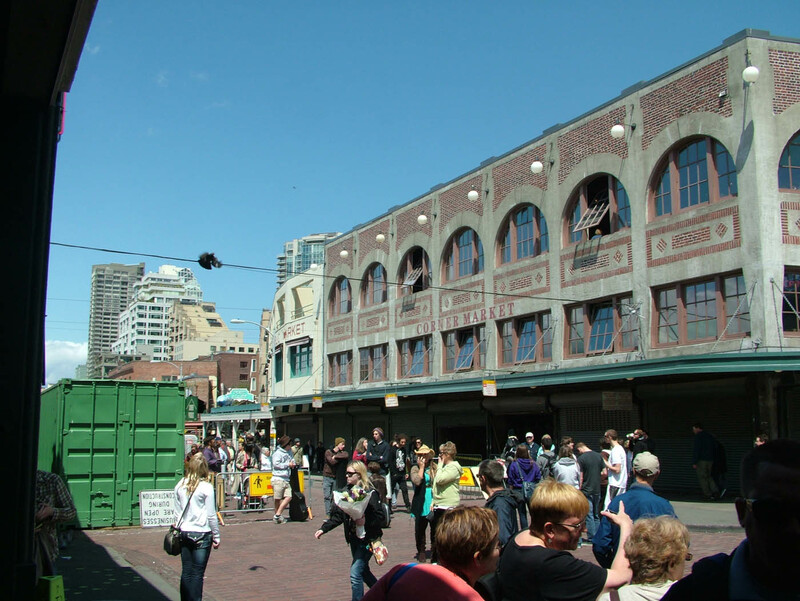 Landmarking is a planning tool like zoning, but when it comes to districts, landmarking has never achieved the same effect, which is why Brooklyn Heights, Old Town, Astor Street, Mid-North and Ukrainian Village were downzoned AFTER they were landmarked. Because when you are trying to limit new development, you need zoning. Landmarking you need when you are trying to save buildings, which is what was happening in Arlington-Deming (who lives there, I wonder?) and East Village. 2. 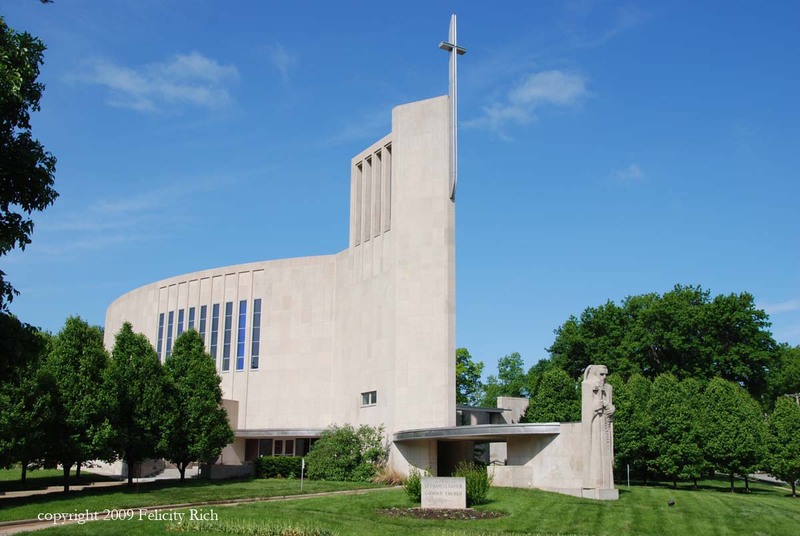 Thursday night I went to the Solemn Benediction and reception at the Shrine of Christ the King Sovereign Priest, which is the former St. Clara/St. 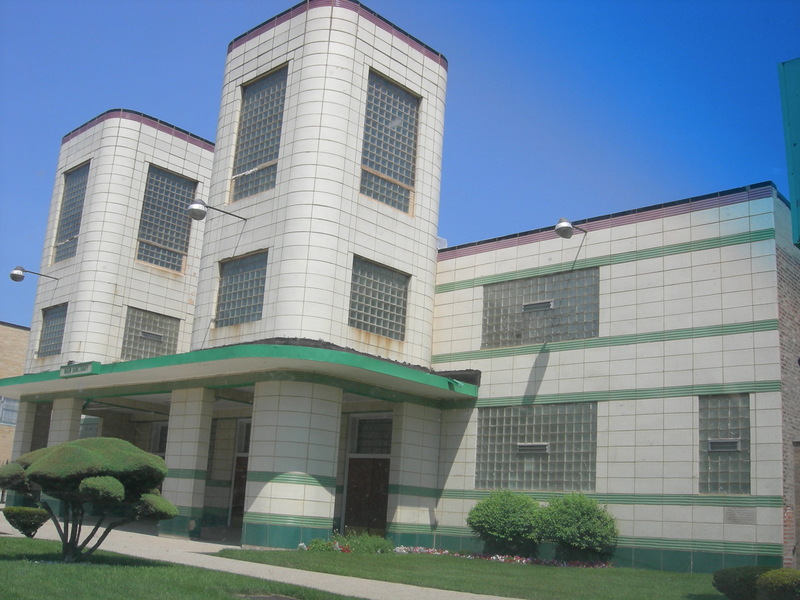 Gelasius in Woodlawn, a Chicago Landmark. They have done a lovely job sprucing up the old church and rectory and they are working to build their events programs, congregation and fundraising. Here is a quick view of the place, which still needs a ceiling, although I like the view to the structure. 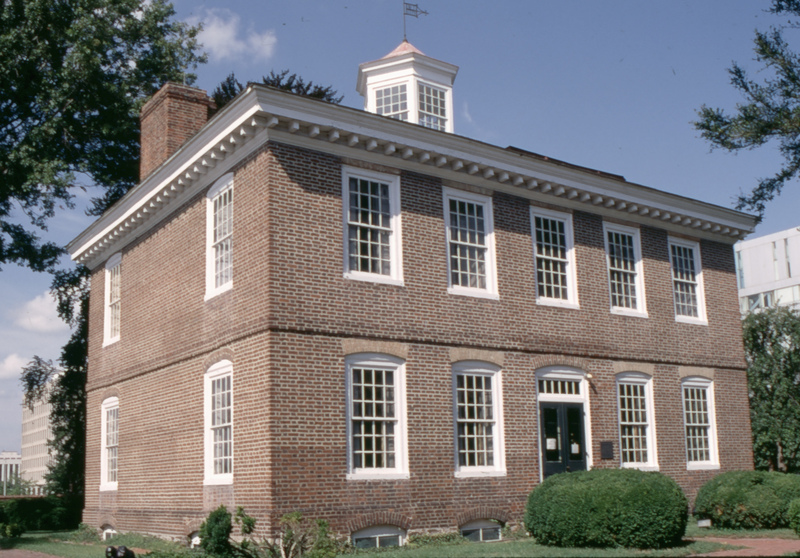 http://www.historic-landmark.org. 3. 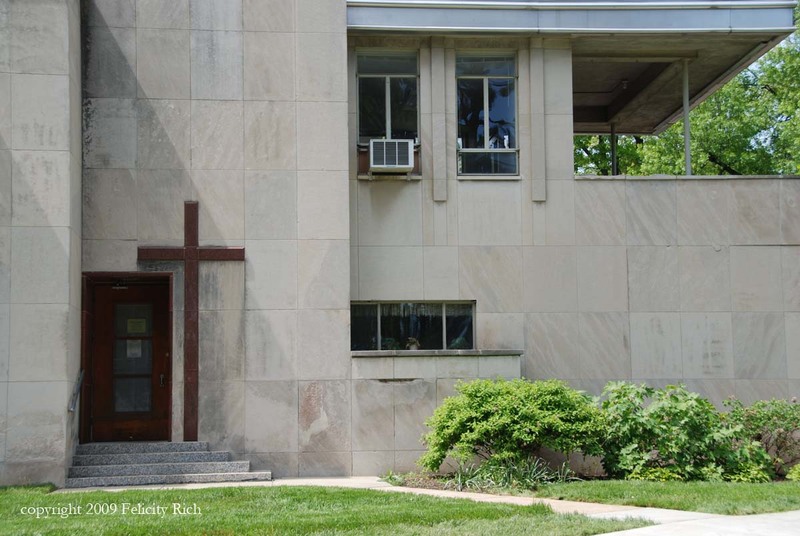 Saturday was Windsor, to the Academie Ste Cecile International School, originally the Holy Redeemer Seminary, one of the most significant works by Prairie School architect Barry Byrne, a redesign of the monastic plan that a visualist like Le Corbusier could not achieve. 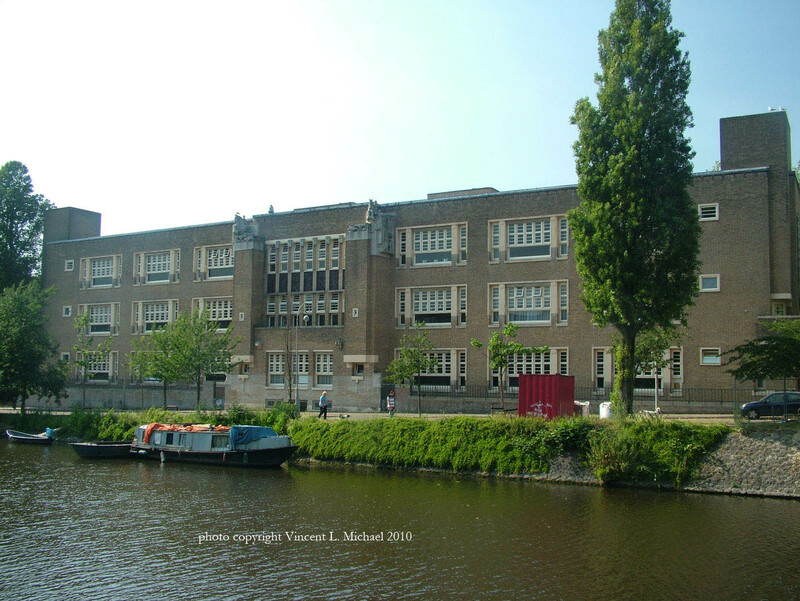 We first visited in Summer 2003, and school leader Mlle. Therese Gadoury has been kind enough to request my input on her architectural plans since then, which was the reason for my visit. They did a sensitive addition recently and are now planning another dormitory and eventually a concert hall. A final view of the chapel, solemn and modern. 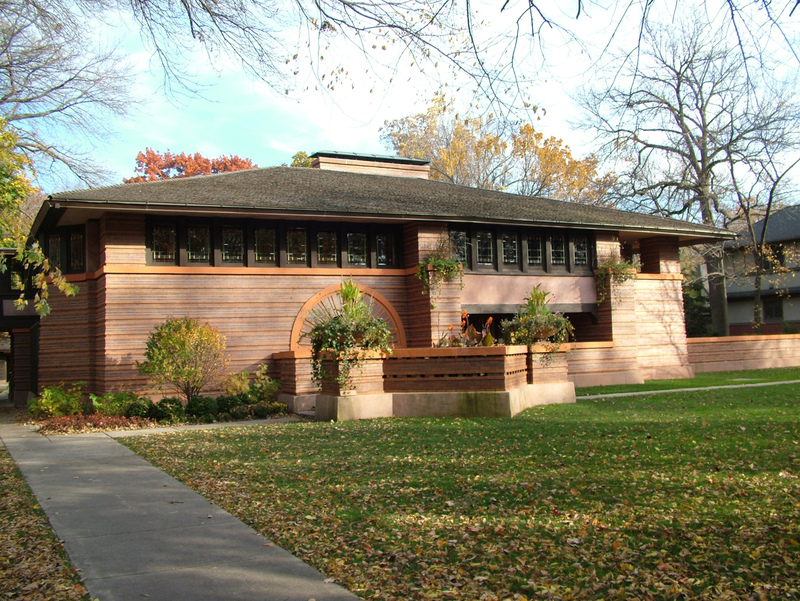 Friday I gave my first Powerpoint lecture on Barry Byrne, although I have given lectures on the only Prairie School architect to build in Europe for 10 years – it was all slides until a couple of years ago. 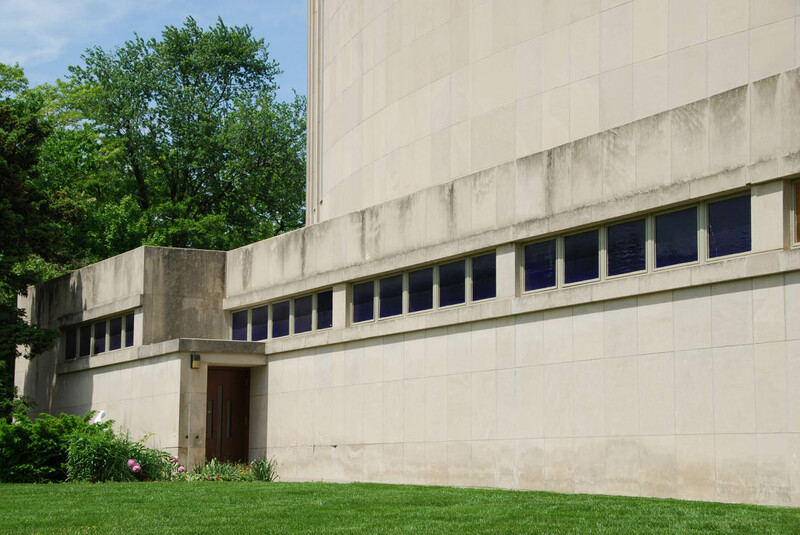 Great audience for the break-the-box lecture series at Unity Temple and kudos to new UTRF Executive Director Emily Roth! Saturday, sold the house. 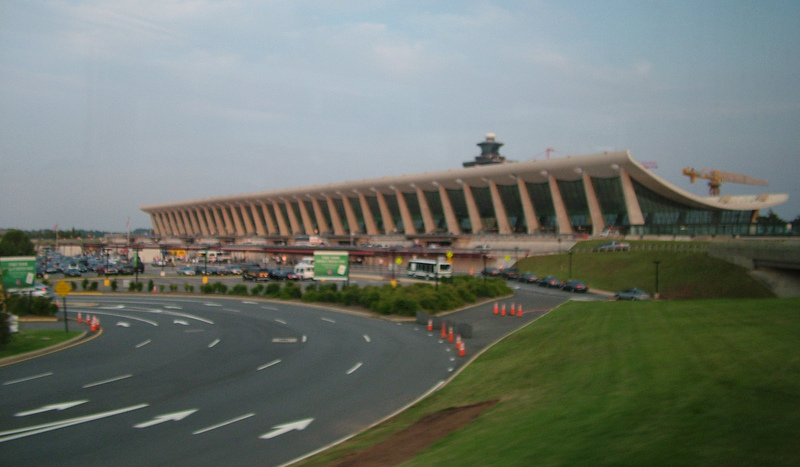 Tomorrow, discussing The Modern with SAIC colleagues, then off to DC to meet with AIA on putting preservation into architectural curricula. 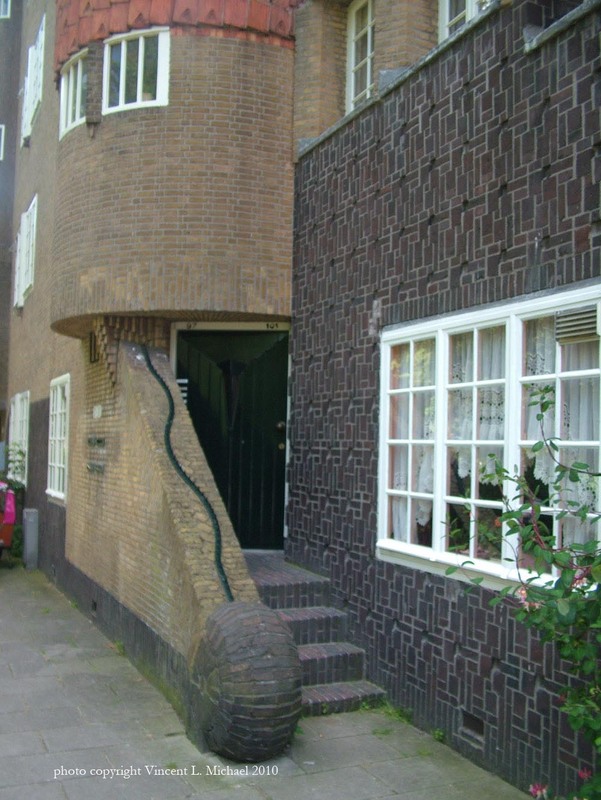 It is amazing how resistant some architects are to preservation. They see it as stifling creativity. Huh? Do you define creativity by how blank your slate is when you start? By how much you get to twist and reshape the world without input from others? Is that dumb or what? Isn’t it harder and MORE creative to devise an architectural solution in the midst of existing conditions? Aren’t there always existing conditions? I don’t get it, but maybe that is because I don’t mind formal and discursive oppositions taken by new architectural interventions into existing fabric. 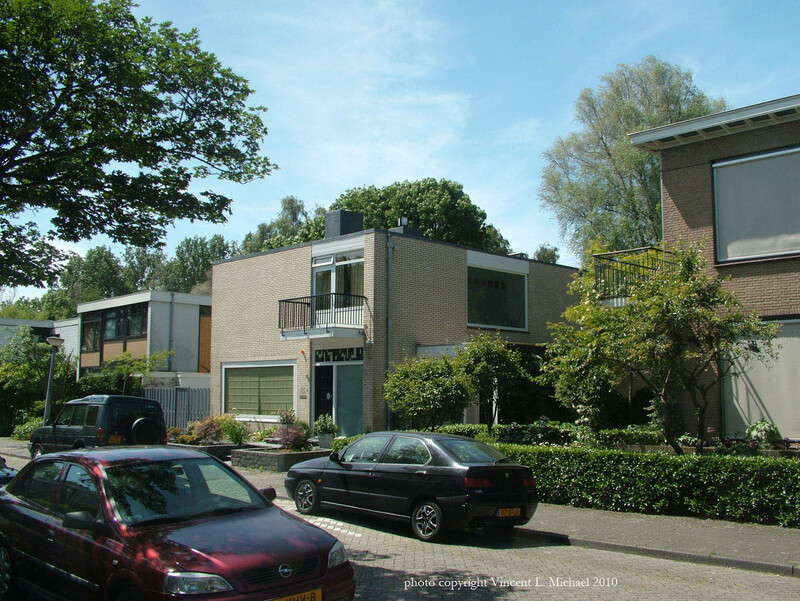 Plus, if blank slates are better for creativity, why does every bit of exurban landscape LOOK EXACTLY THE SAME? I suppose one answer is that architects weren’t involved, but that just begs the question Why Not? At any rate, many architecture schools teach no preservation even though three-quarters of all architectural commissions are for existing buildings. This resistance is especially amazing in the new GREEN GREEN GREEN environment. How can you run out and get a LEED certification and use it to SELL NEW PRODUCT? How is selling new product sustainable? “I made it out of bamboo so it is renewable.” Yeah, well, I made it out of what was already there. 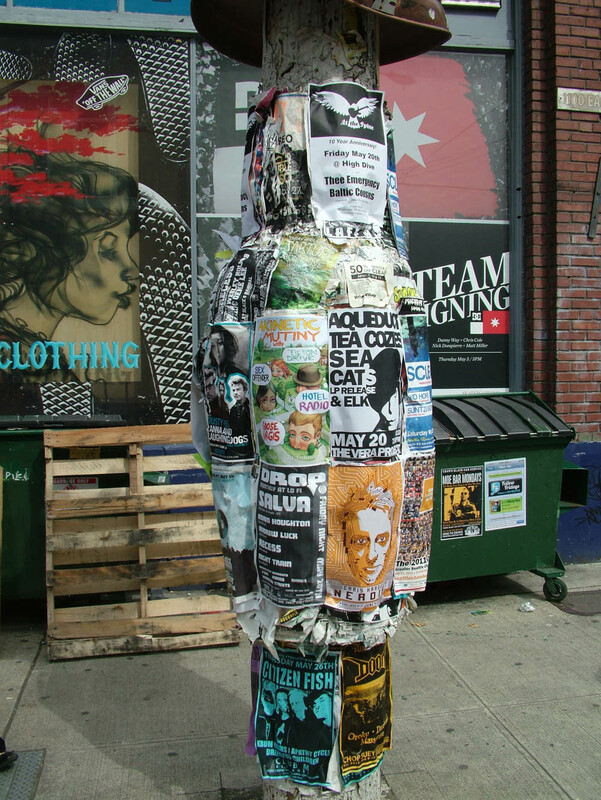 “I used recycled materials” Great – how did they get there? In a fusion-powered truck? My materials WERE ALREADY THERE. Green may be the newest fashion but if architects and others want to prove that they are more than fashionistas they are going to have to embrace a sustainability you can’t buy at Home Depot. You can’t buy sustainability – you have to make it locally, ideally on-site. That’s called preservation. There is a perception problem caused by numbers. In real estate, people value buildings and their systems and materials and finishes based on age, which makes sense for about 10 years. They talk about a new building as if it were 10 better than a building 10 years old and 100 better than a building 100 years old, but this assumes that all buildings at all times were created with the same lifespan. That is not so. In fact, buildings built before 1930 are generally designed to last for a hundred years or more, from the structure to the windows and doors. Buildings built before 1920 are also more energy efficient than buildings built between 1920 and 2000, on the whole. This actually makes sense if you study history. From 1945 to 1970 we had to build tons of buildings quickly. We had lost a generation of craftsmen, and we had gained a military industrial production system that could churn out cheap buildings quickly. These were not made to last – in fact, they were designed like other postwar consumer products, to become obsolescent so we would buy more and stimulate the economy. They were also built during a rare period in history: from 1945 to 1970 energy was cheap. Energy was not cheap in 1910 and it was not cheap in 1880. 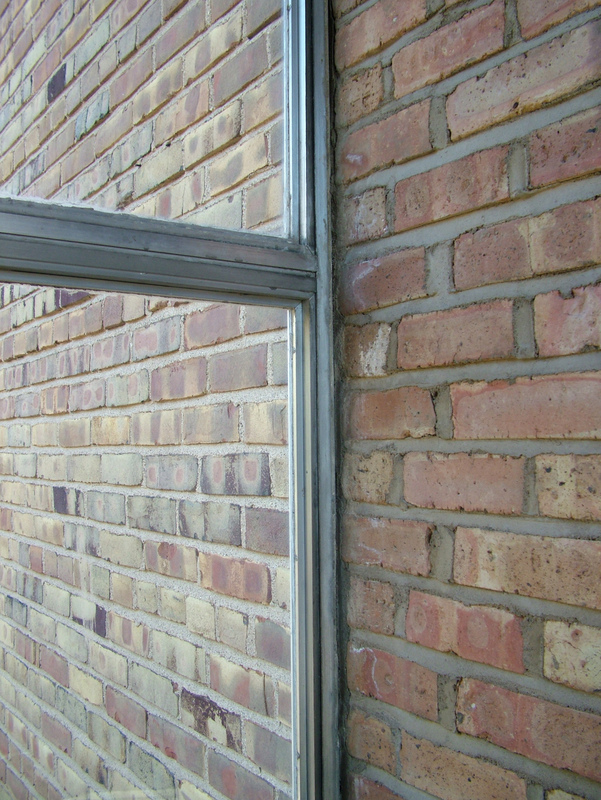 But it was cheap in 1960, so we switched from double glazing to single glazing, from plaster to drywall, from subfloors to plywood and from cavity walls to platform frames. The problem is arithmetic. 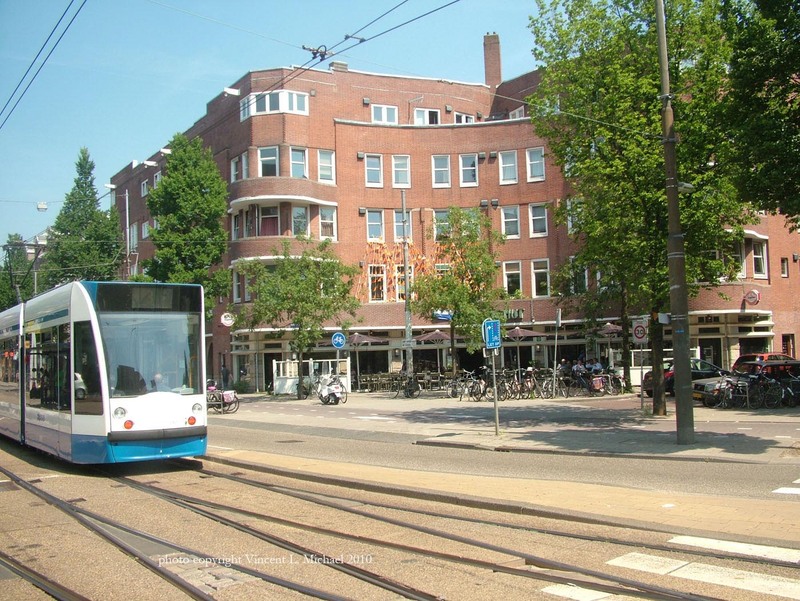 Since we know that buildings 40 and 50 years old are inefficient, we think that buildings 90 or 110 years old must be more inefficient, when the opposite is true. The past does not work arithmetically. 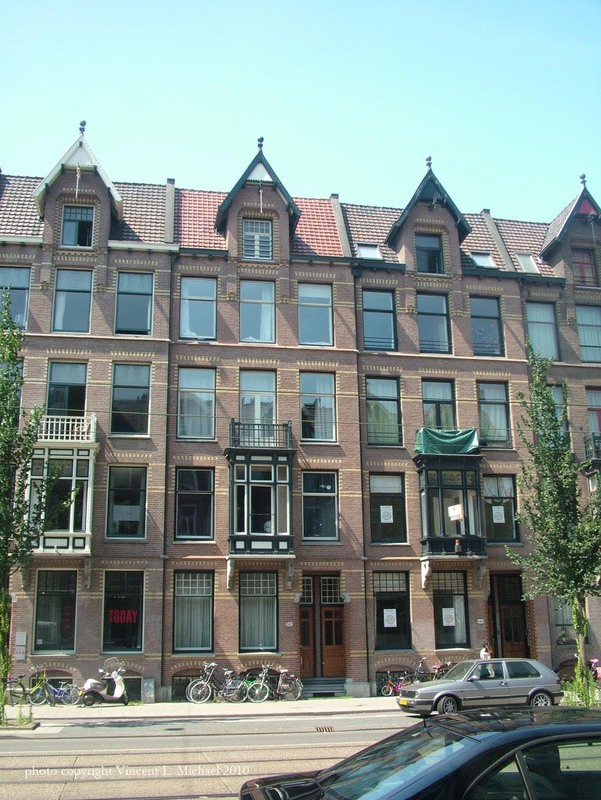 A building 100 years old can last twice as long as a building built 50 years ago. This even applies to systems. We have an older boiler heating our house right now and the heating contractor advised against upgrading it to the modern ones that operate at a low and high setting and are thus more efficient. Why did he do that? Because ours already operates on those more efficient settings! That was how they used to design boilers! Like double glazing. Next time you try on your latest green fashion, see if the mirror isn’t reflecting more than a little history.